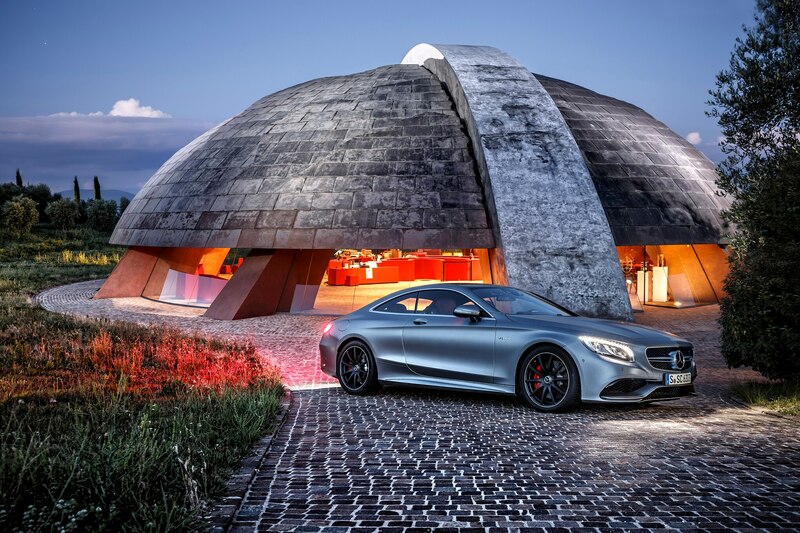 Our Design of the Year visits the big city. 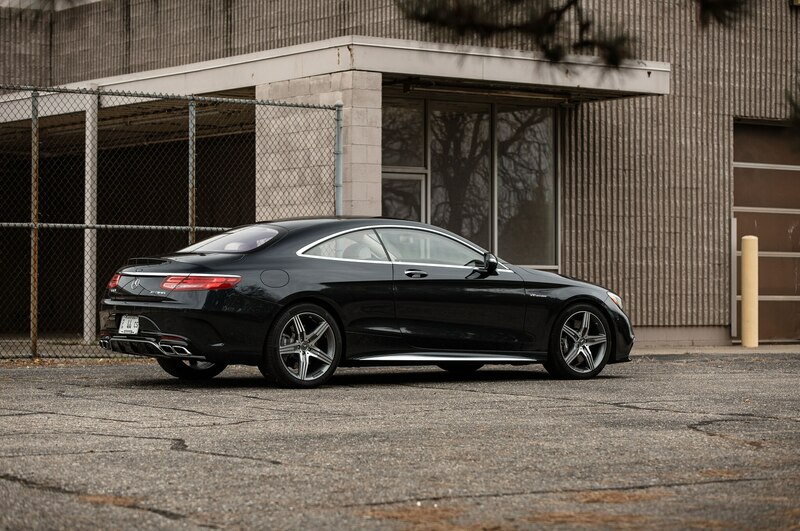 Some cars are simply too cool for my normal routine. 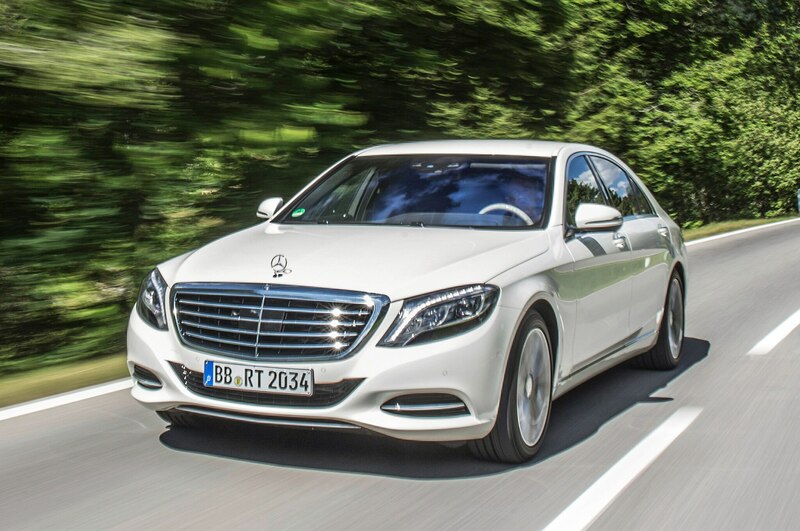 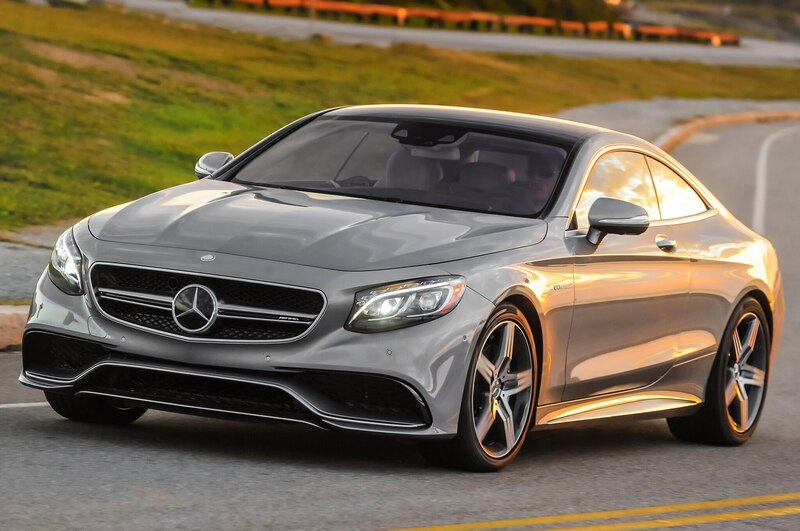 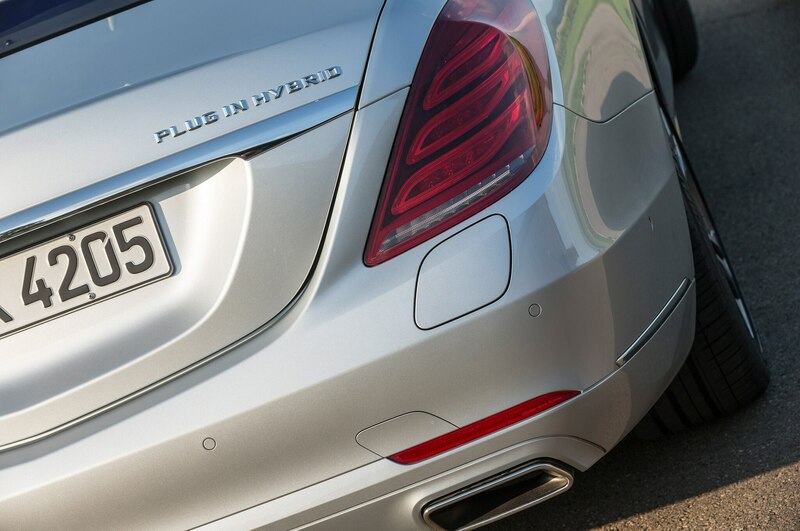 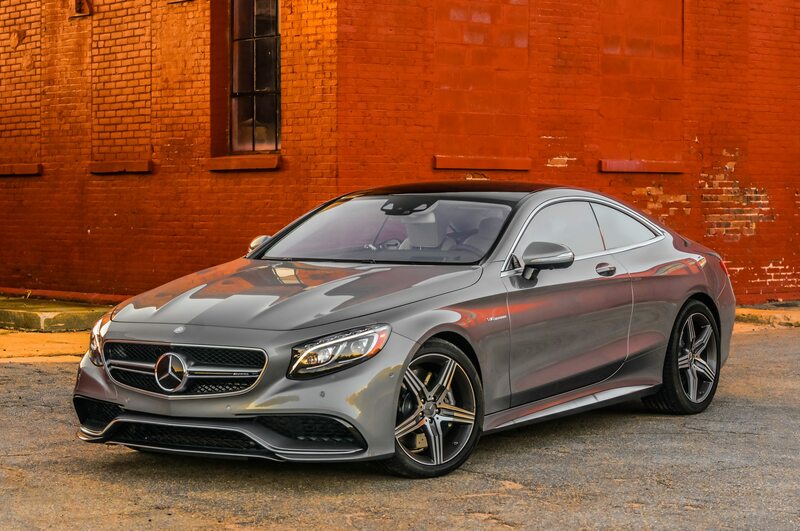 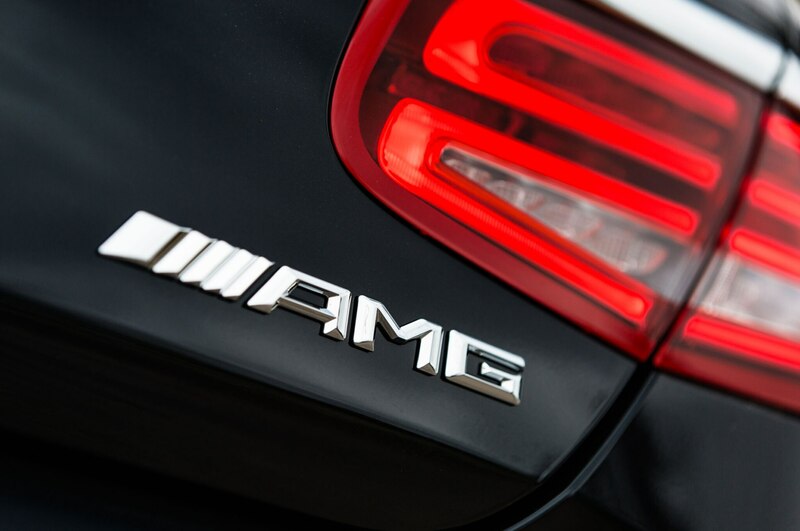 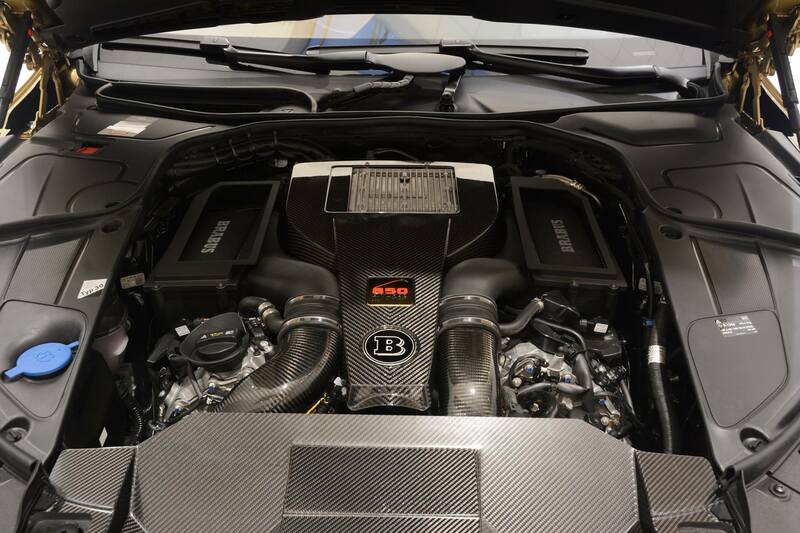 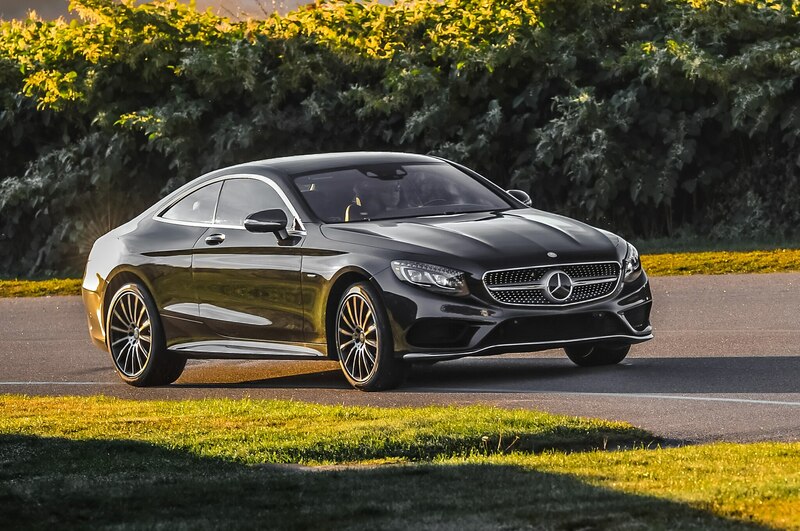 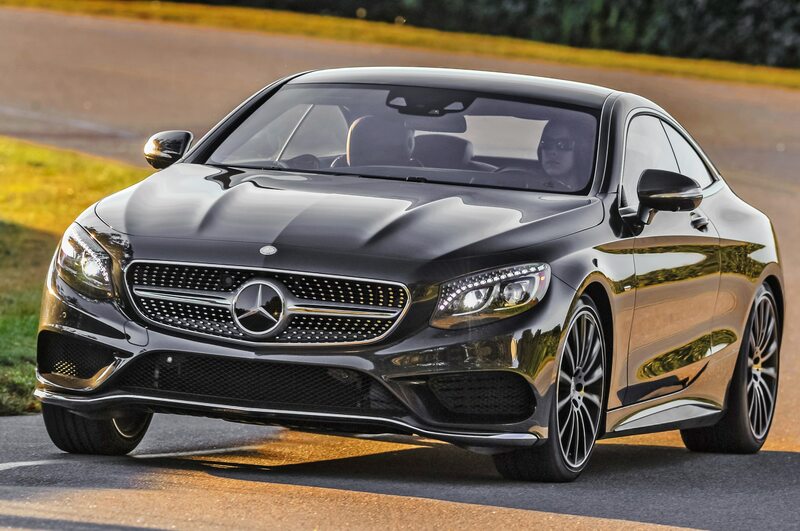 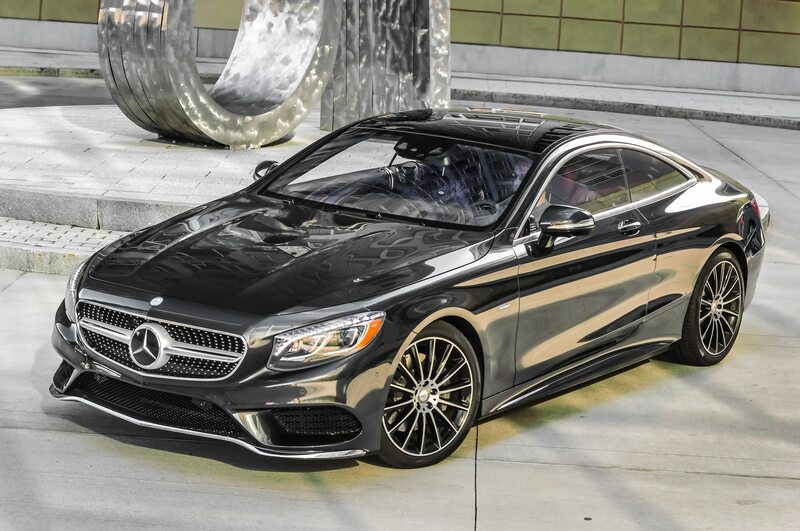 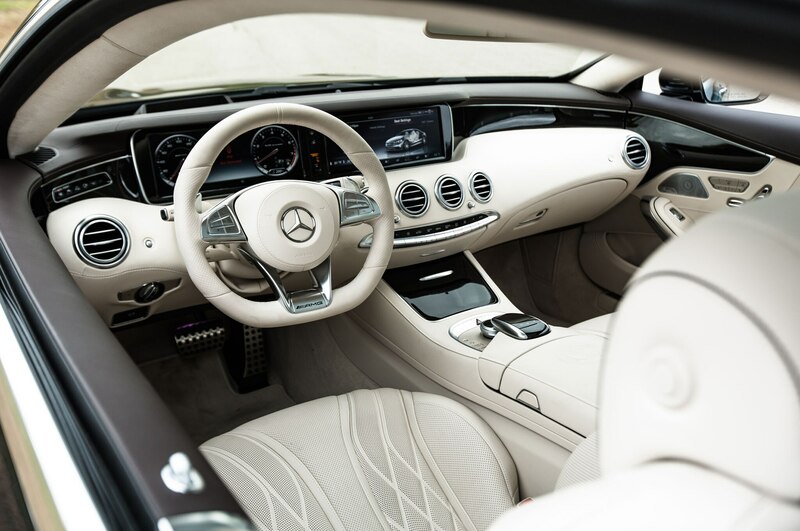 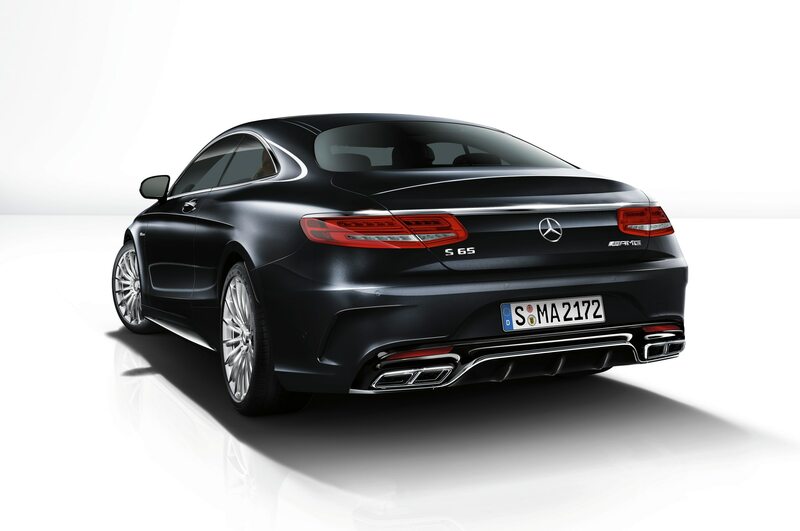 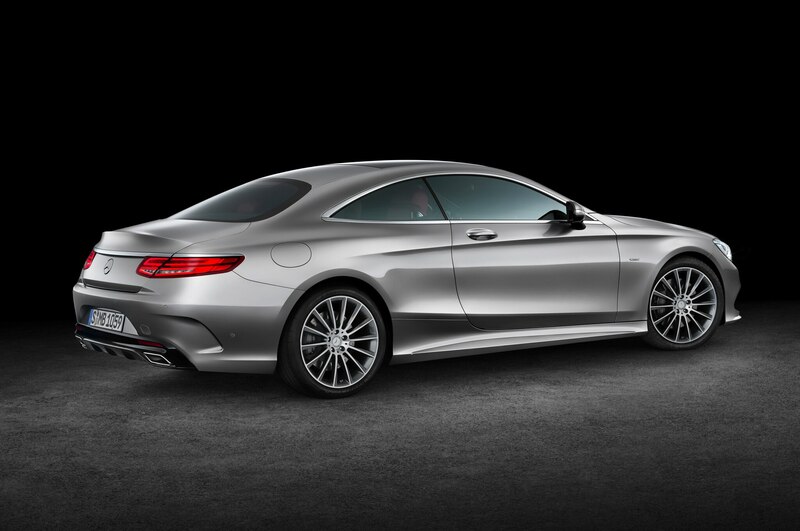 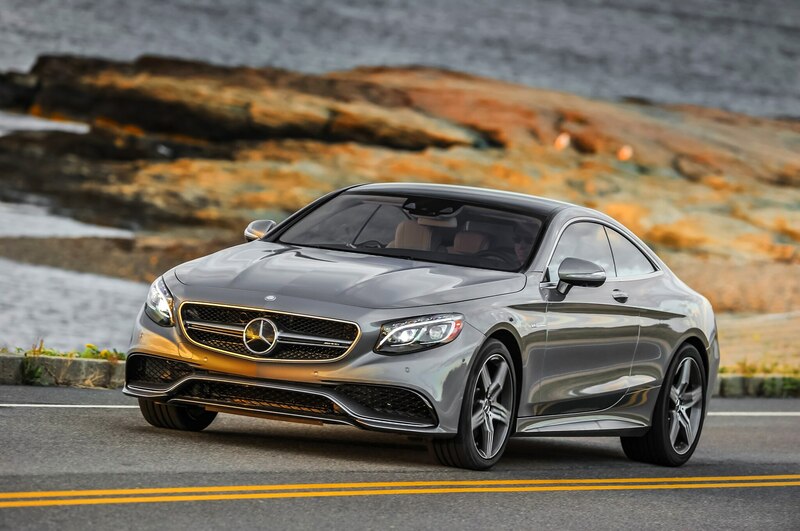 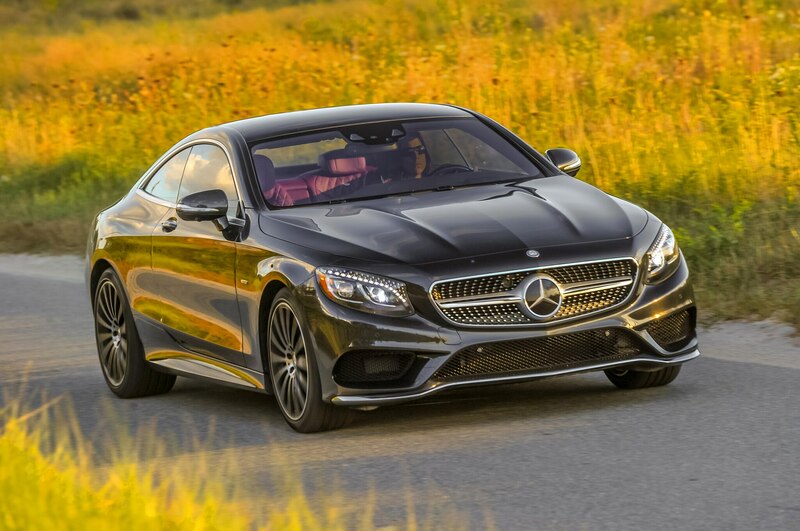 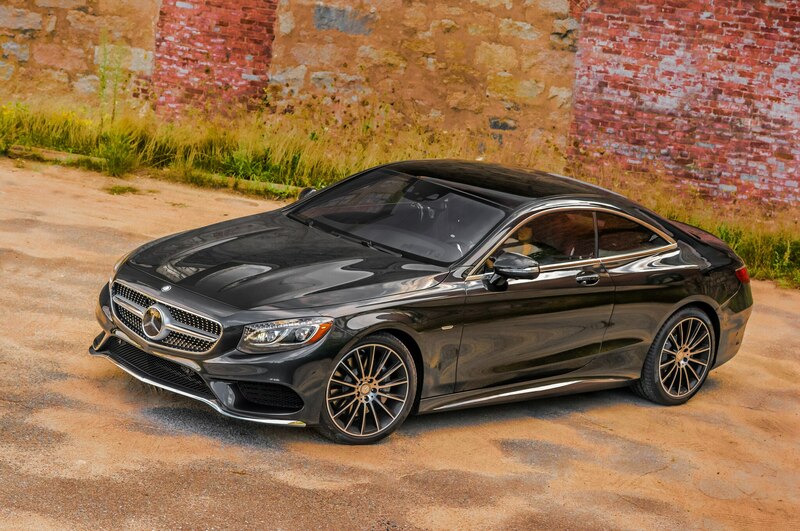 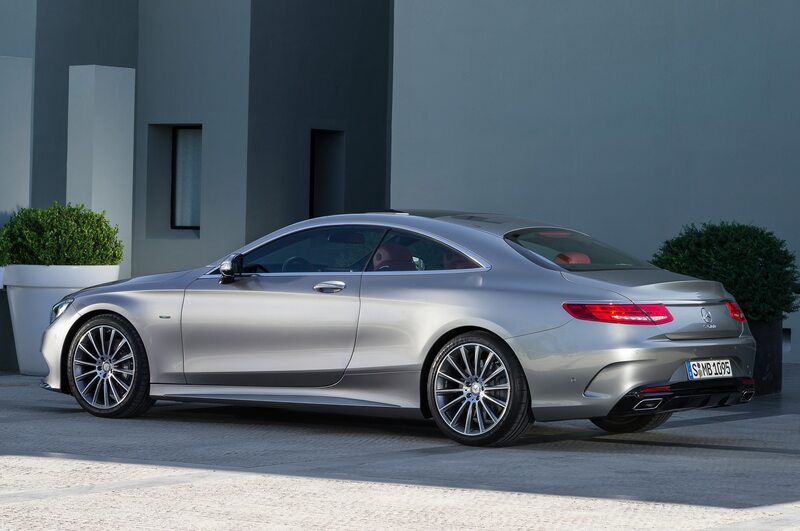 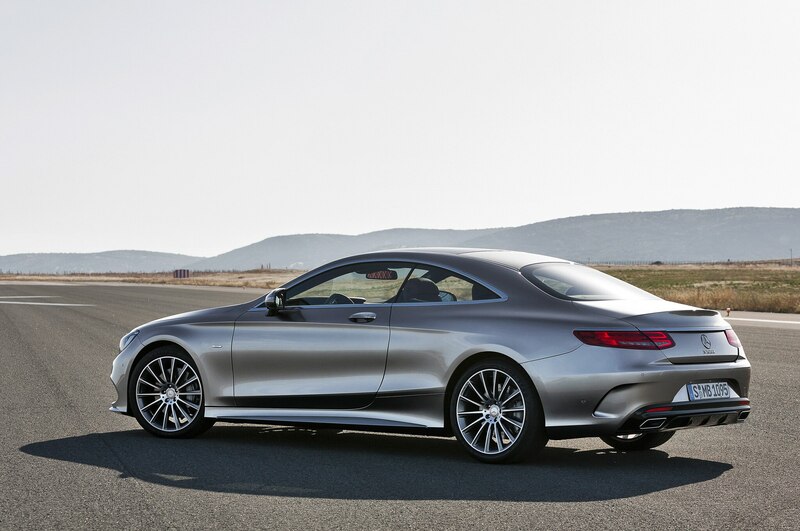 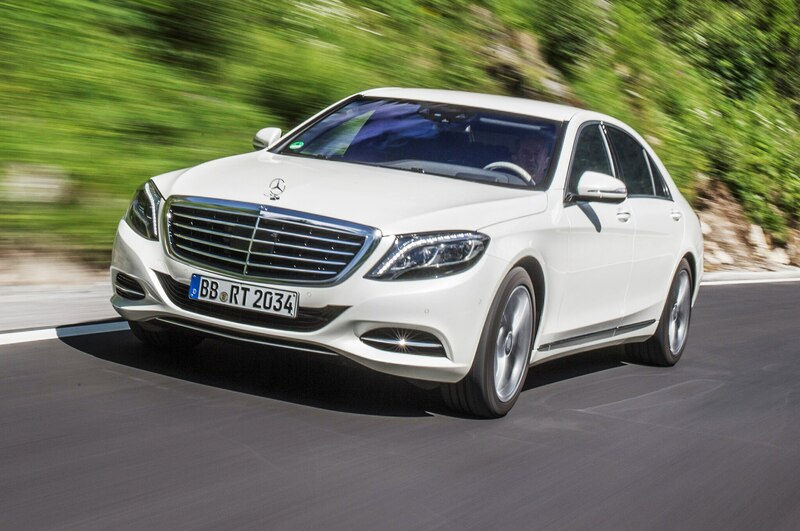 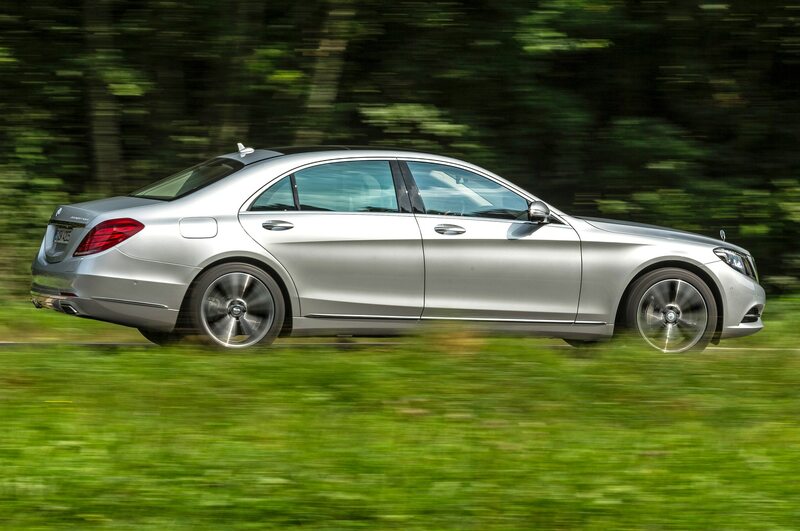 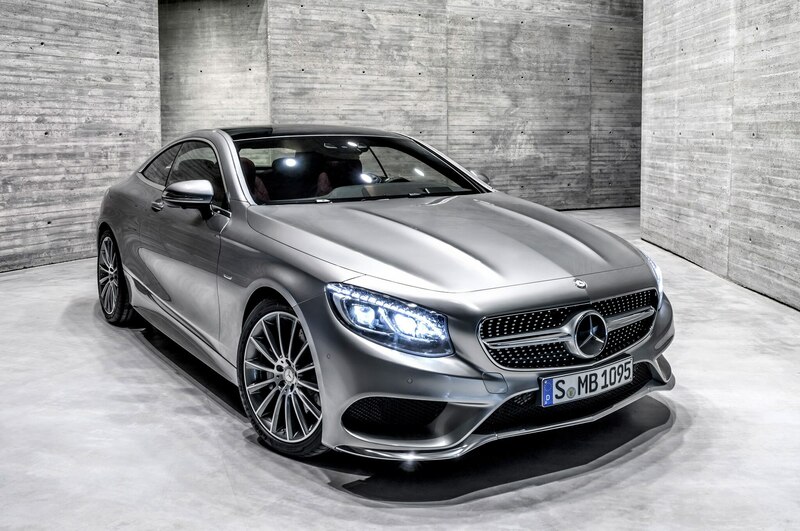 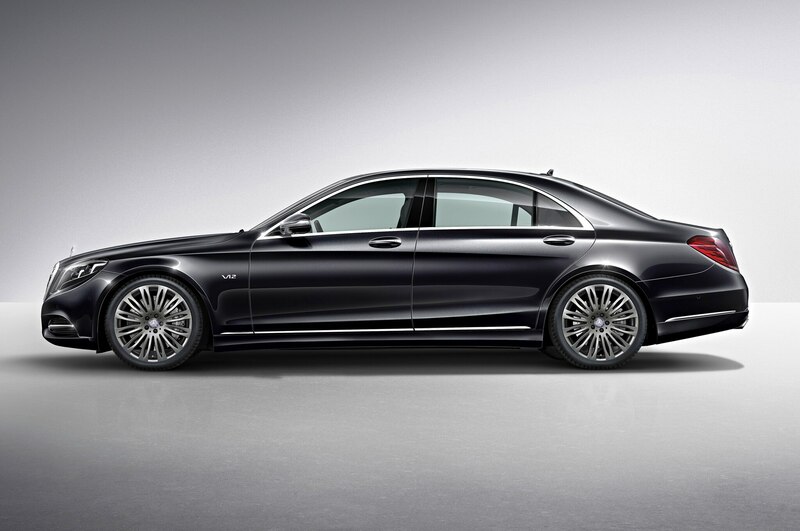 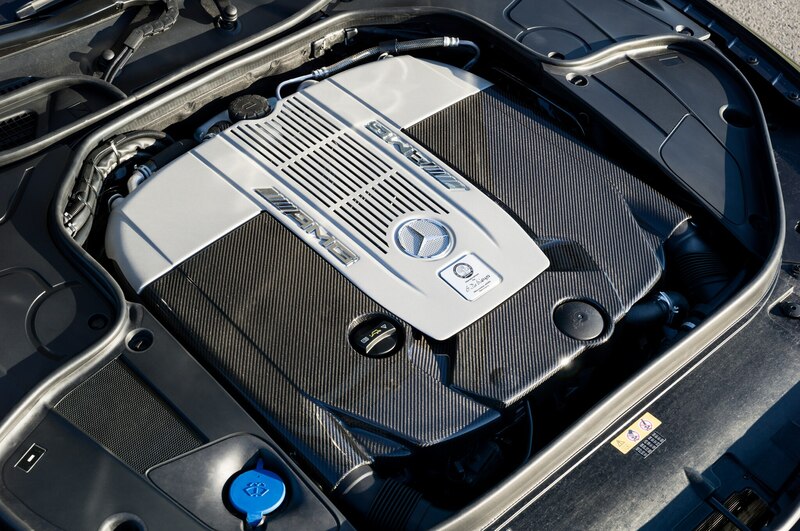 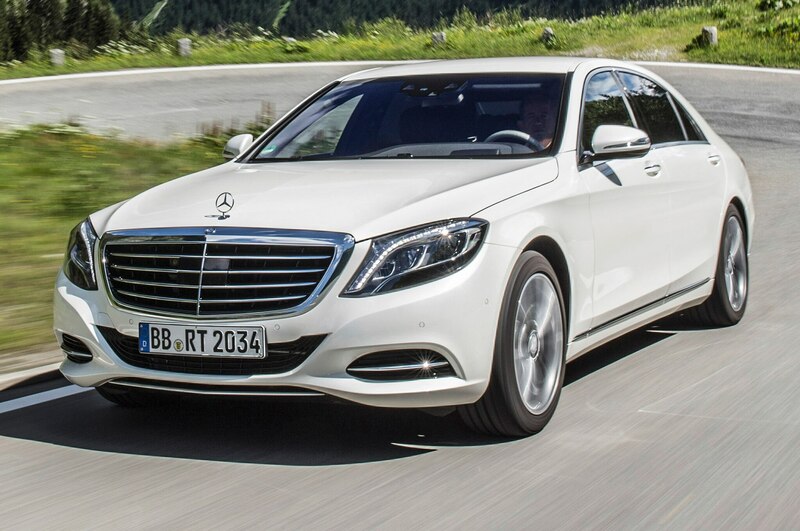 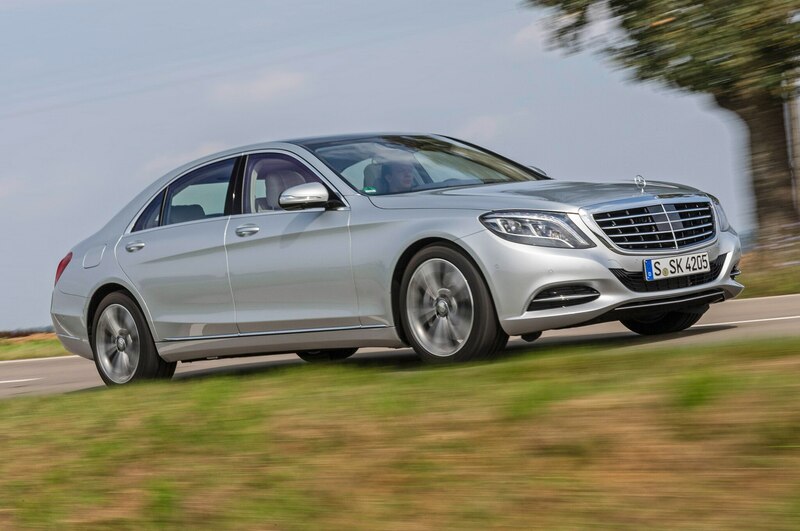 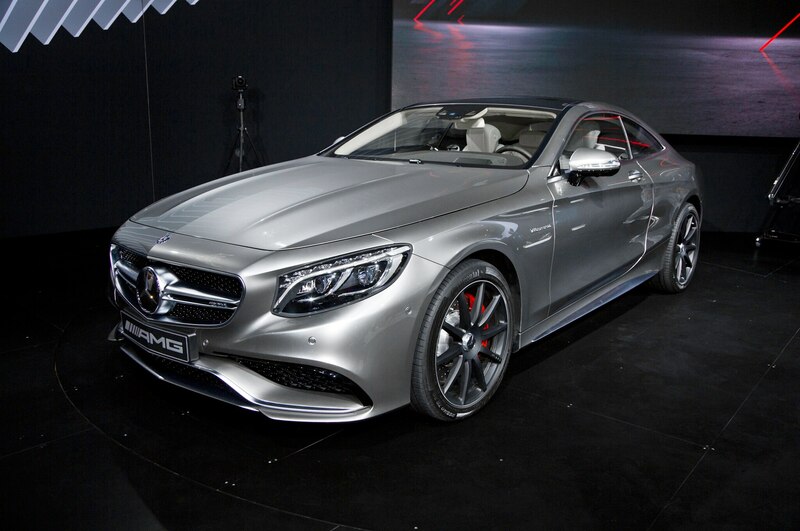 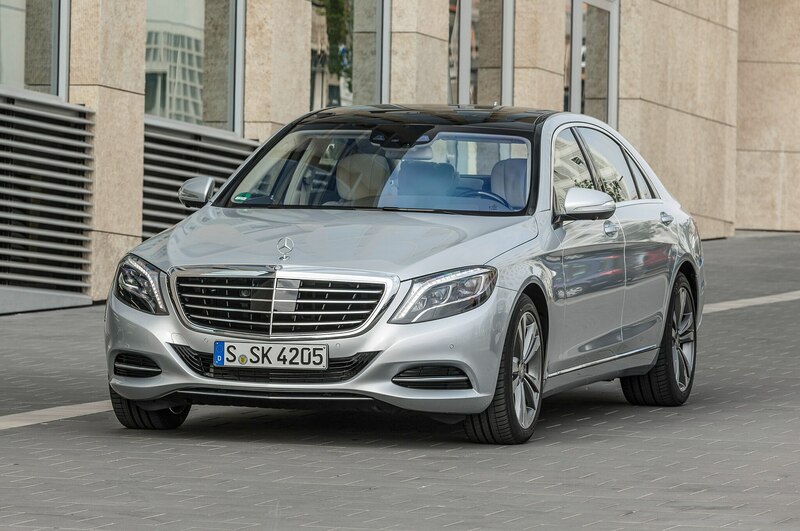 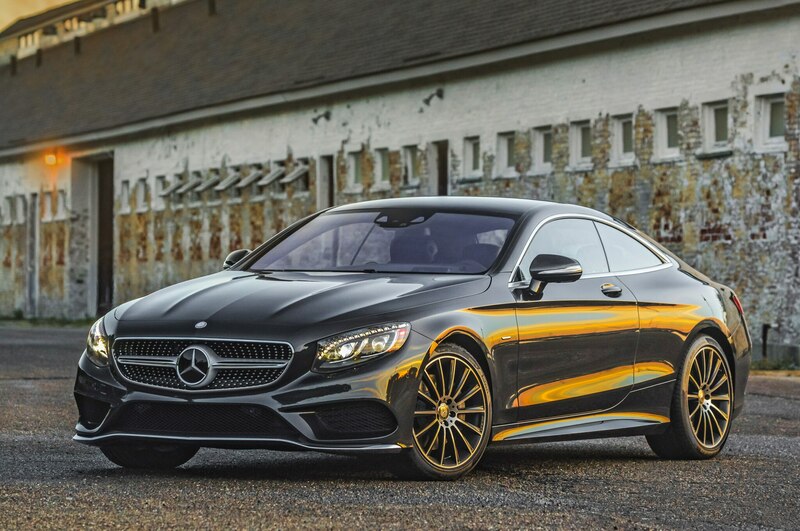 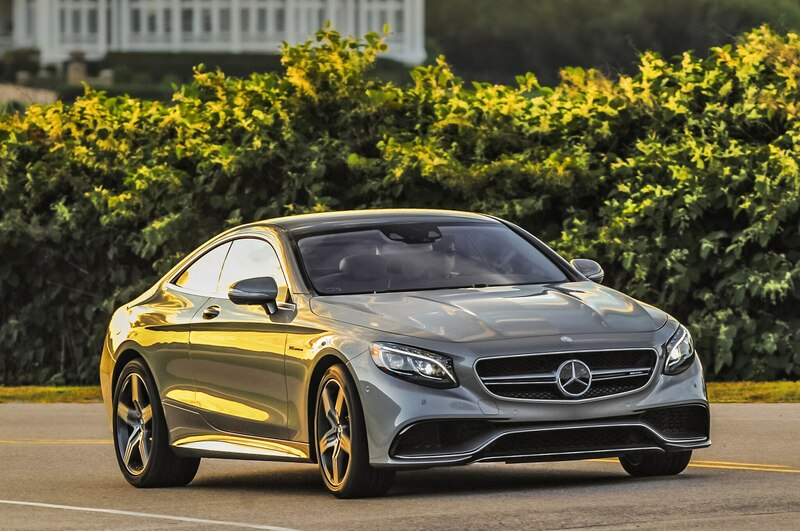 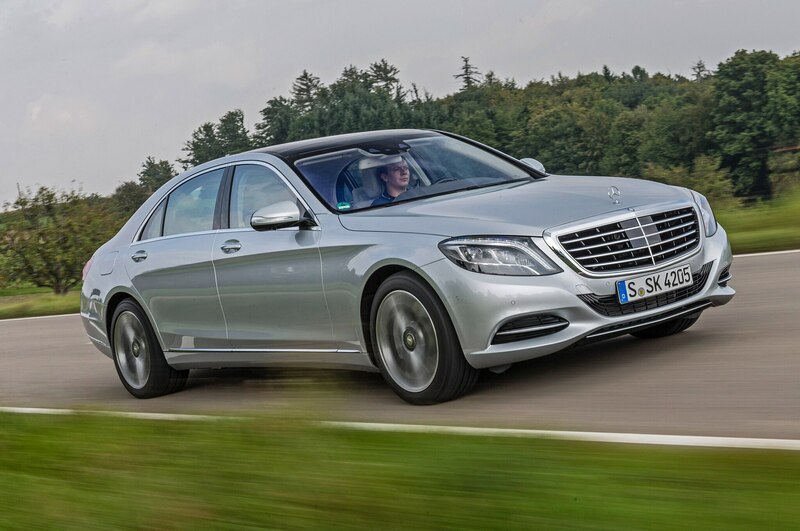 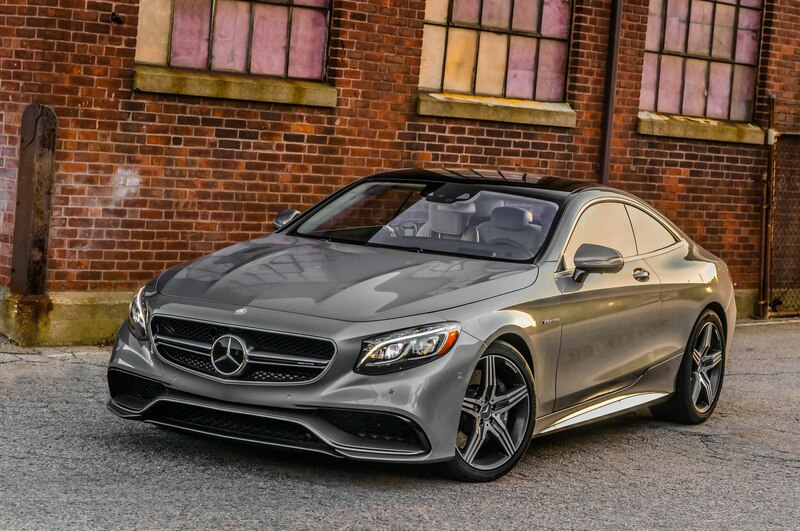 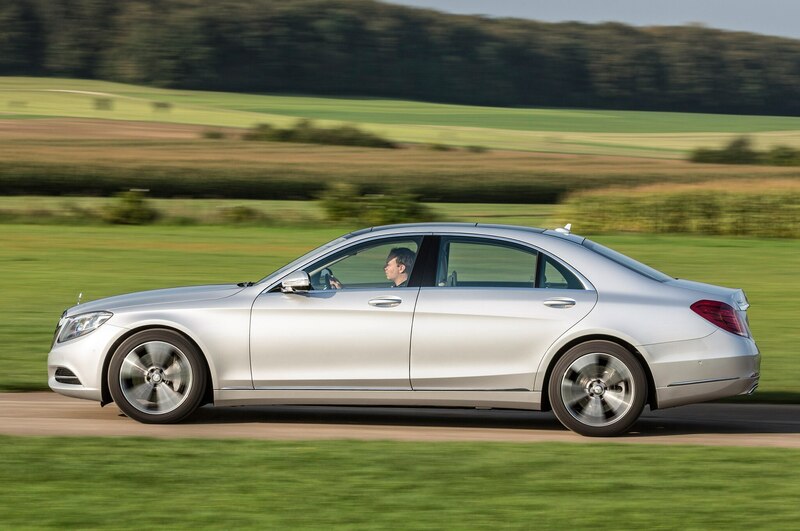 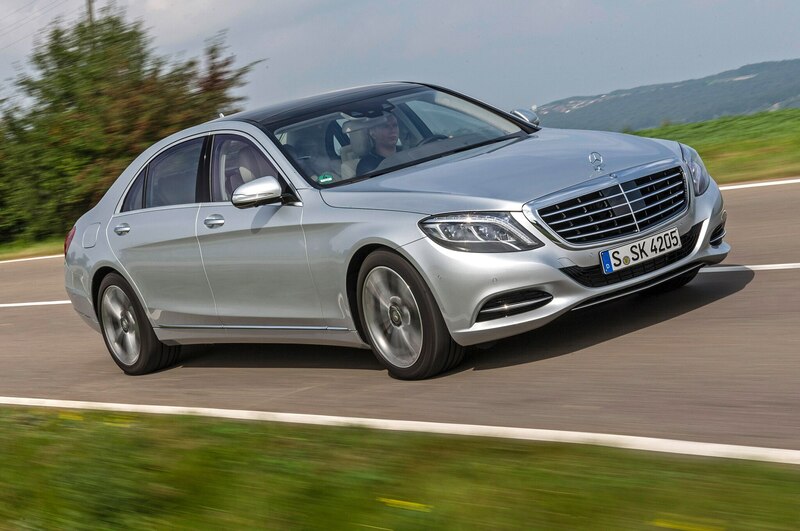 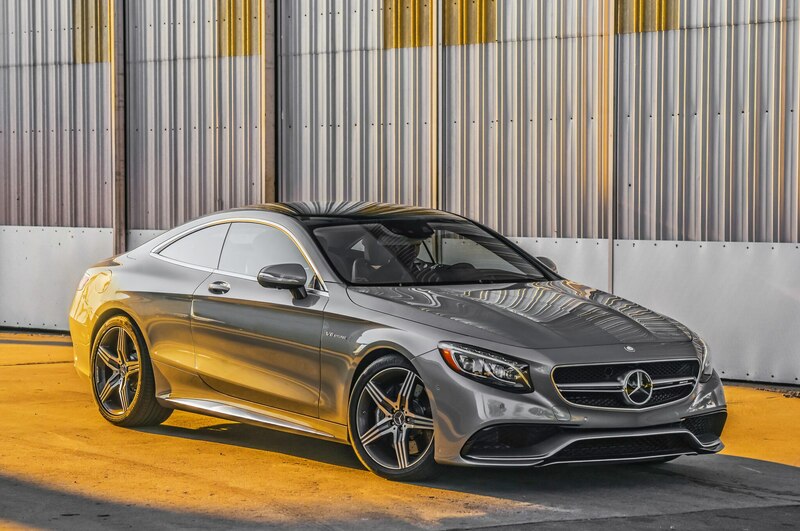 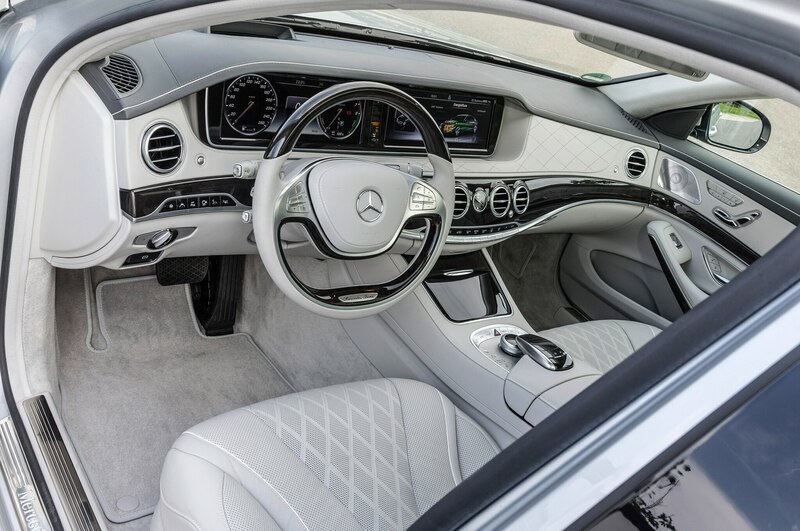 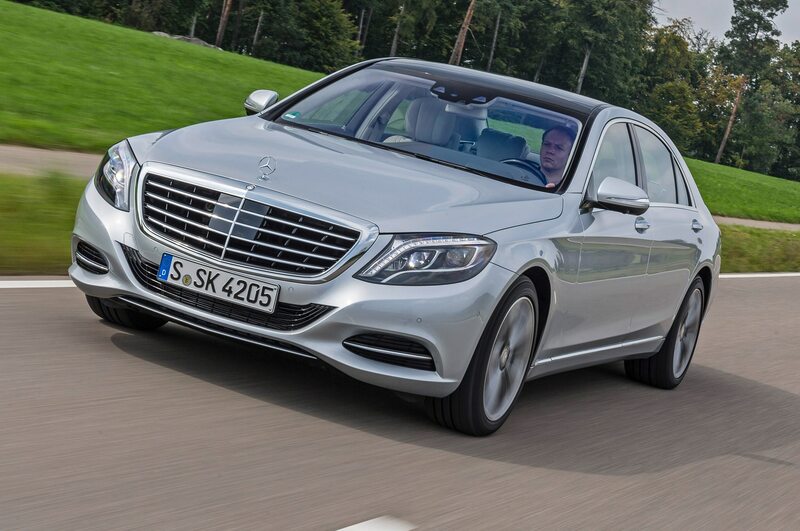 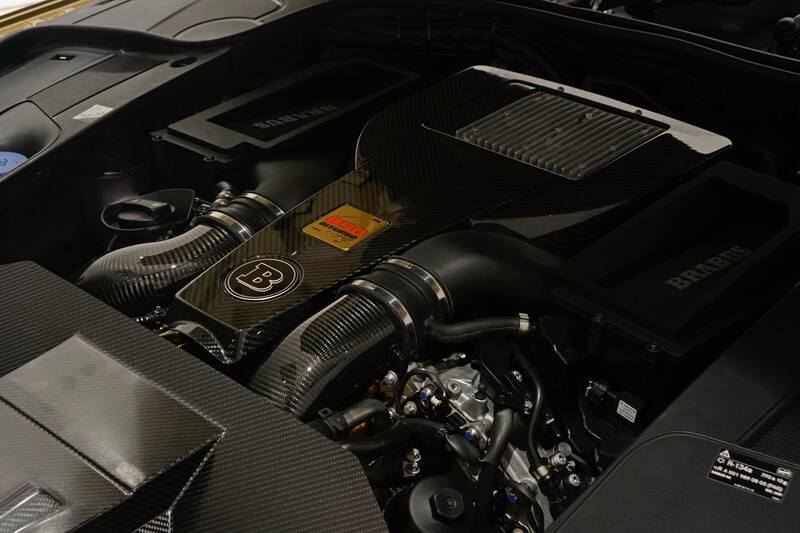 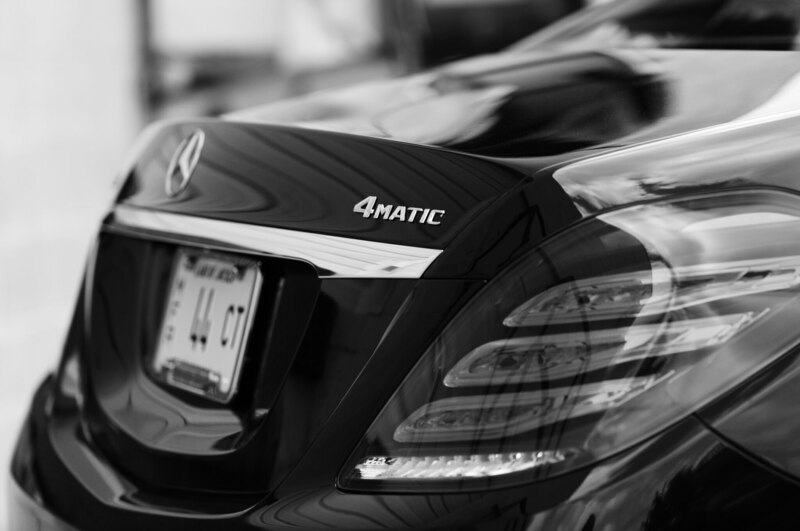 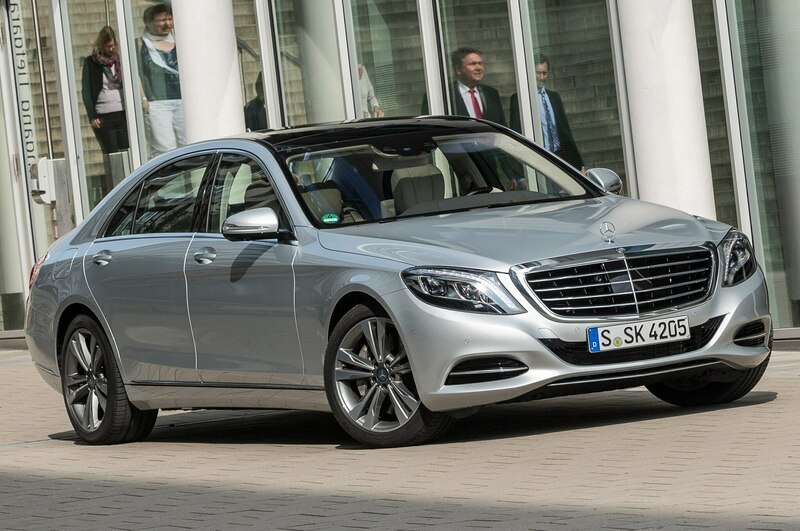 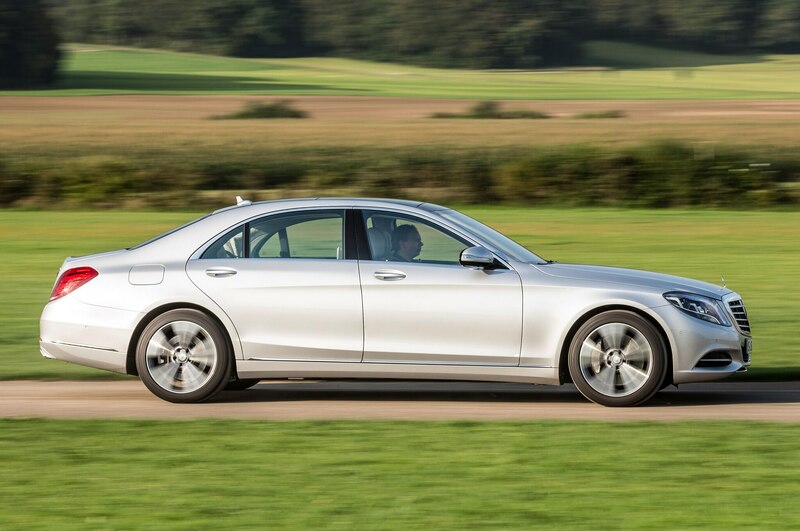 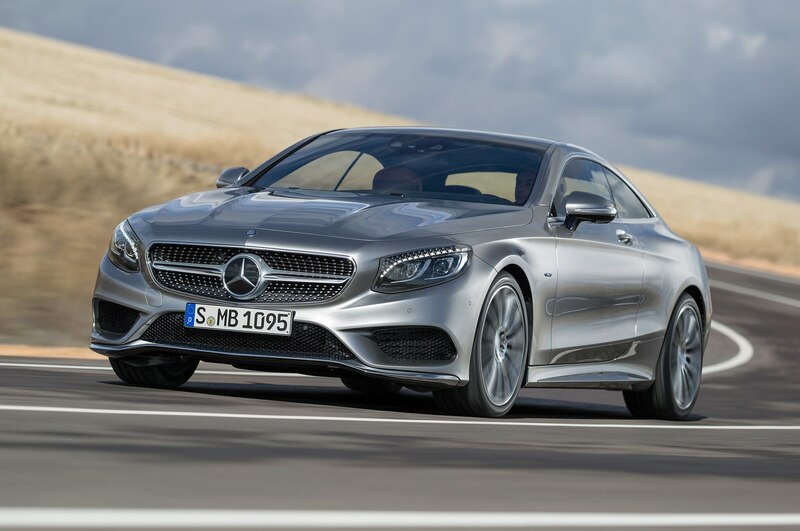 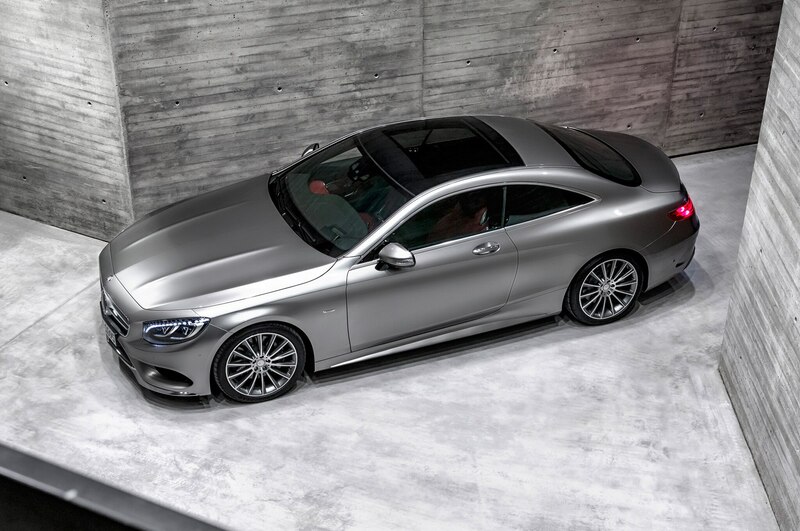 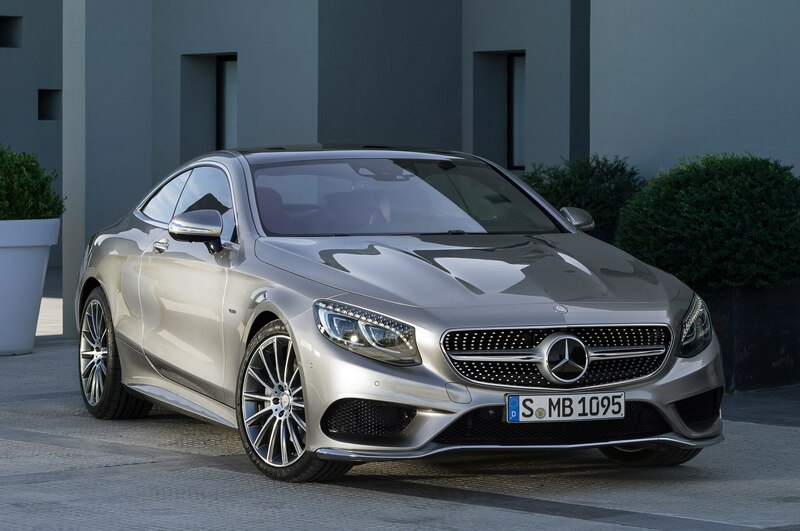 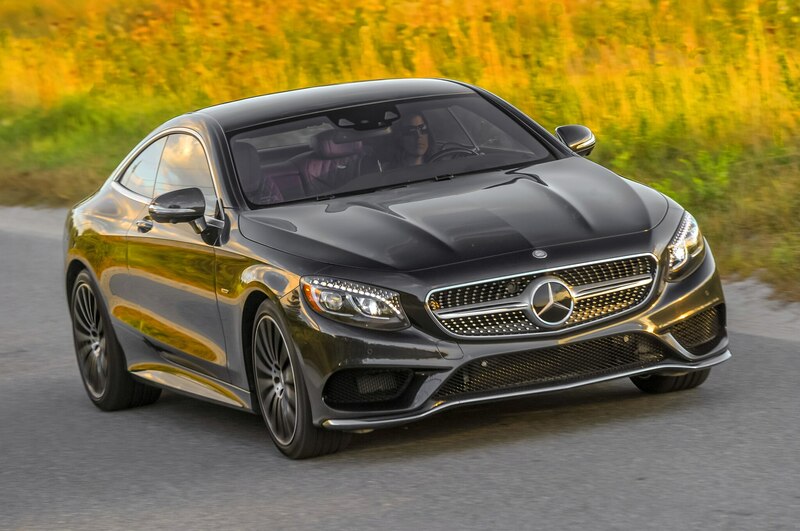 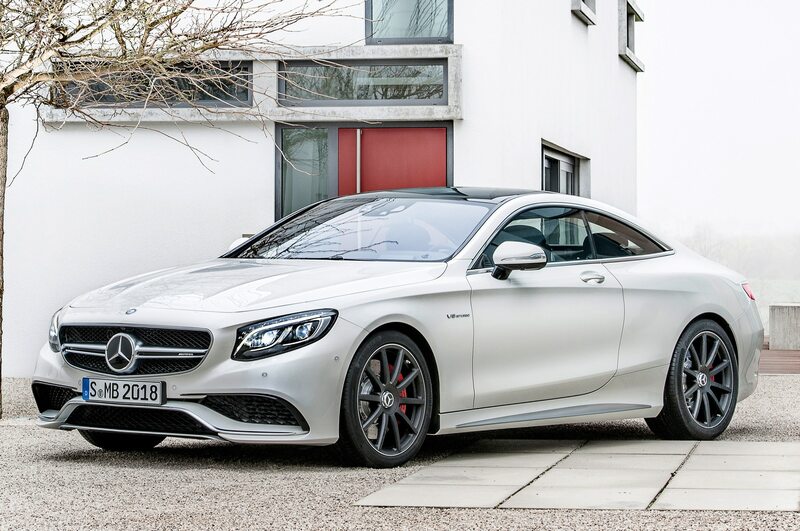 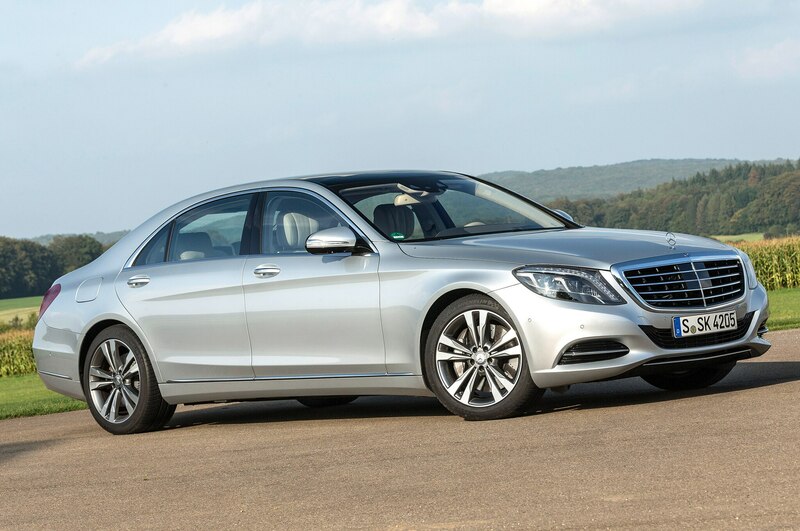 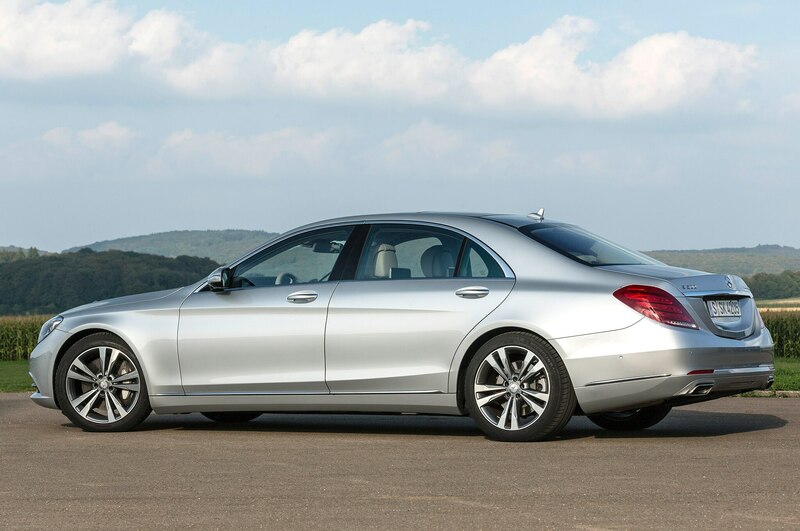 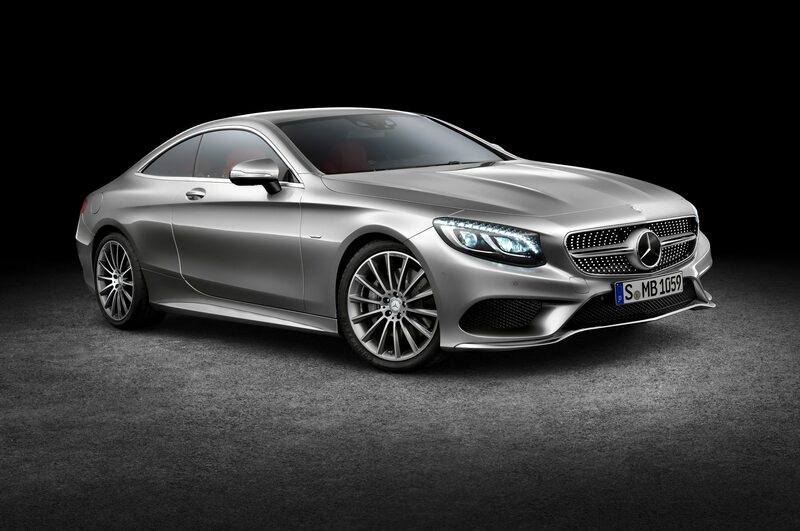 Like the 2015 Mercedes-Benz S63 AMG 4Matic Coupe. 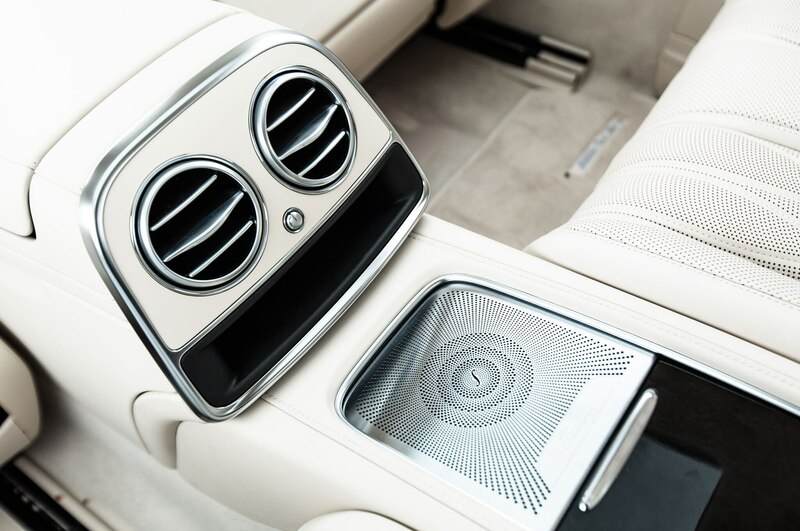 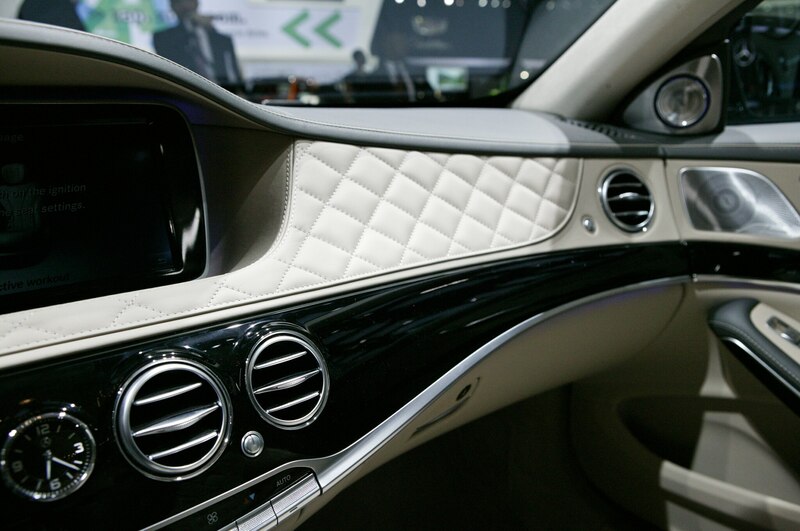 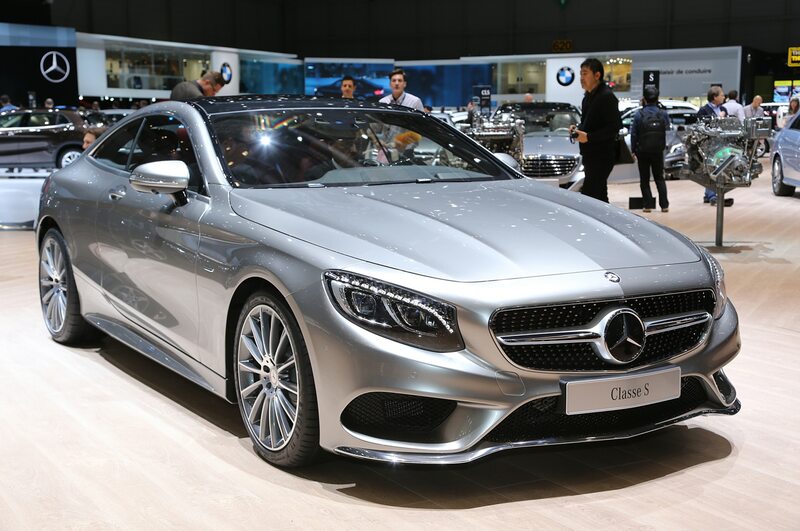 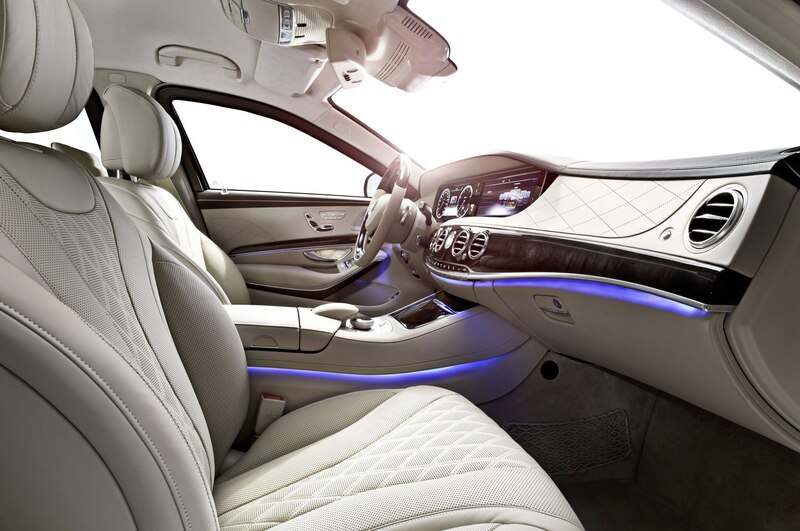 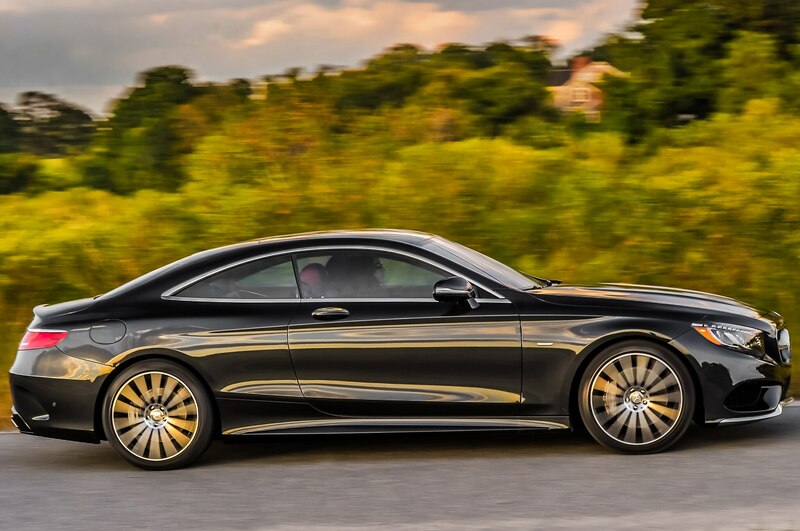 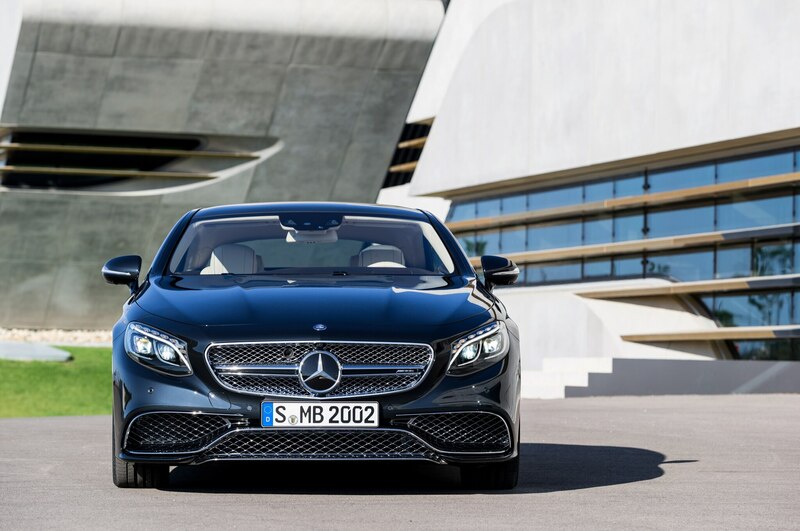 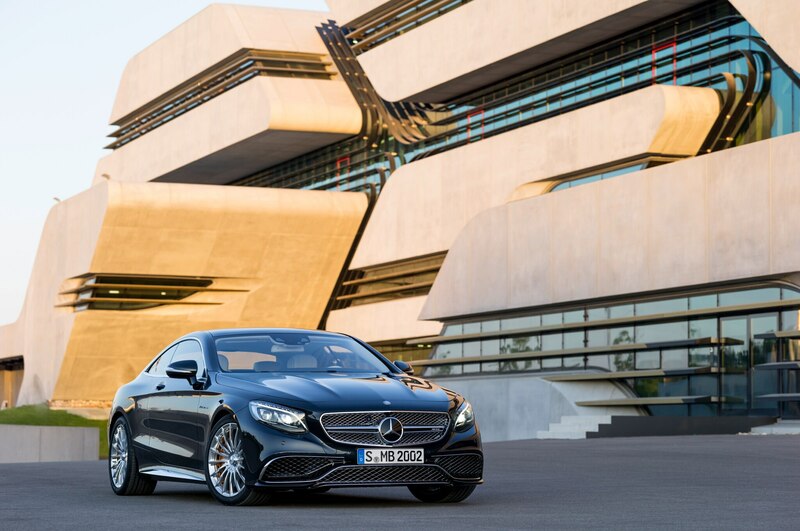 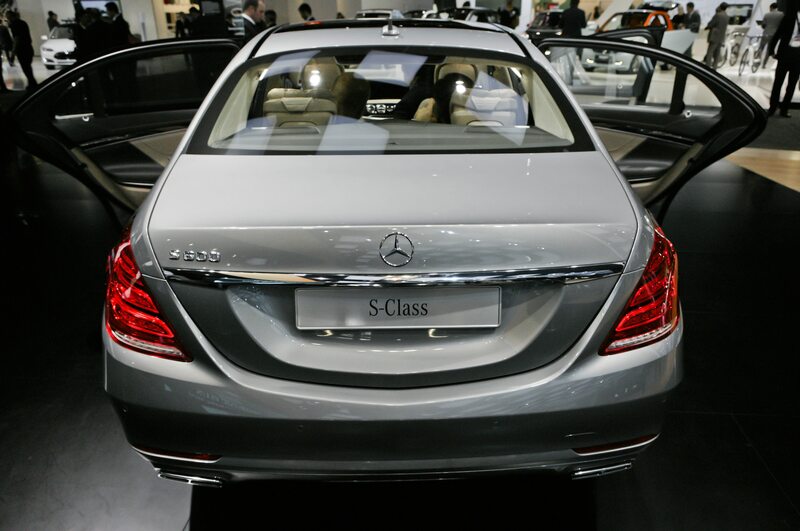 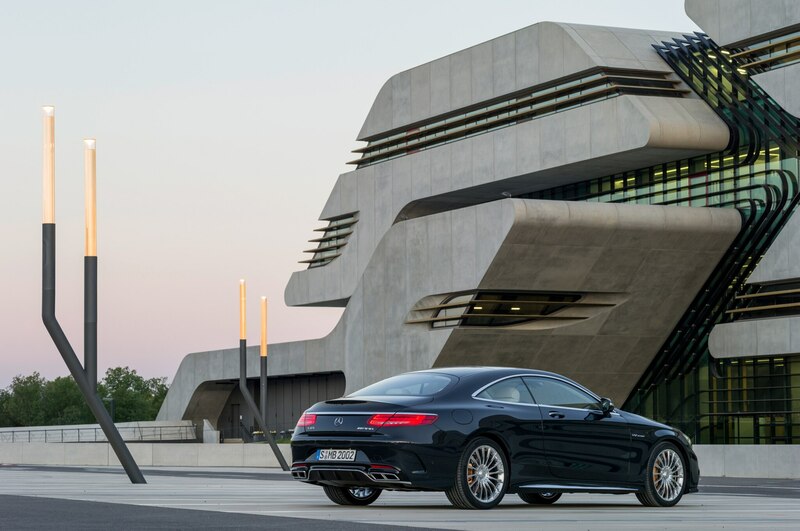 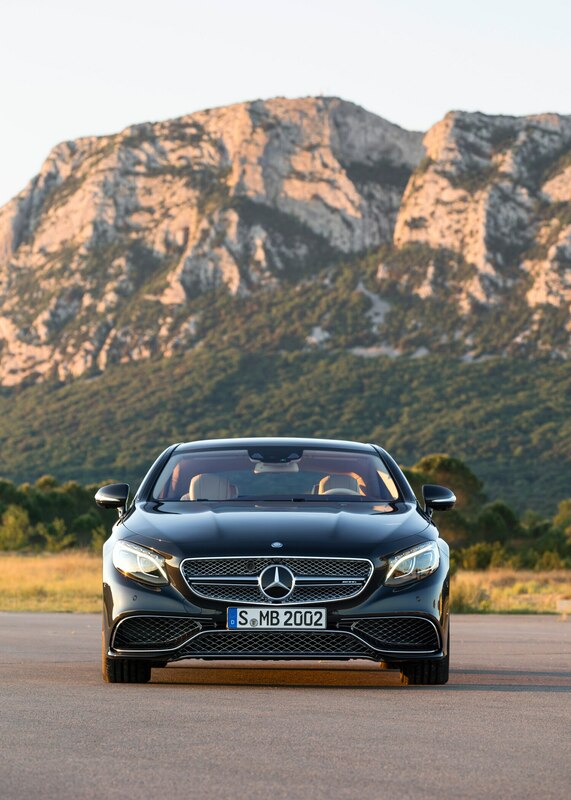 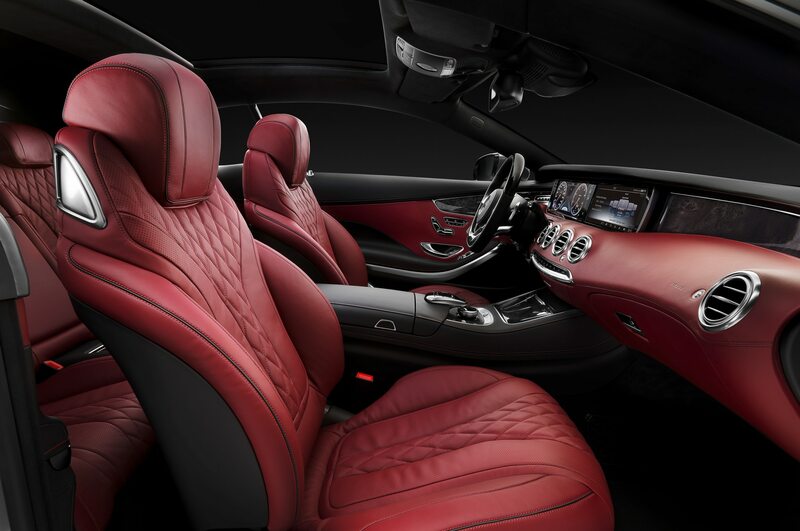 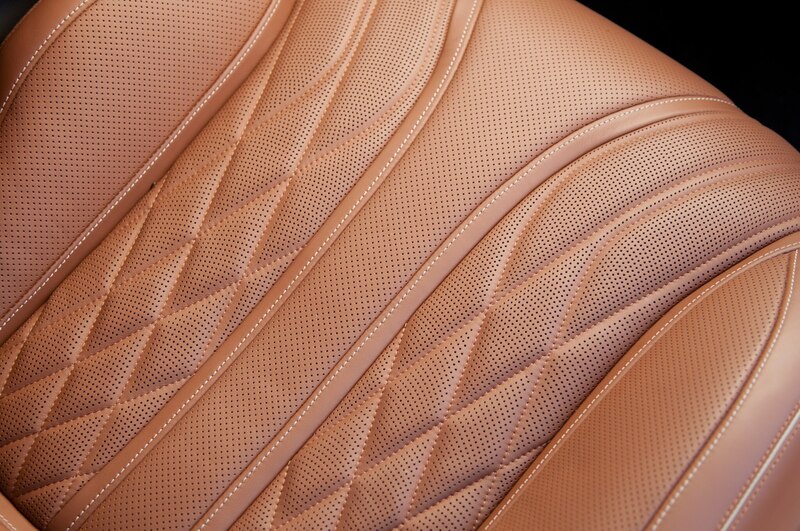 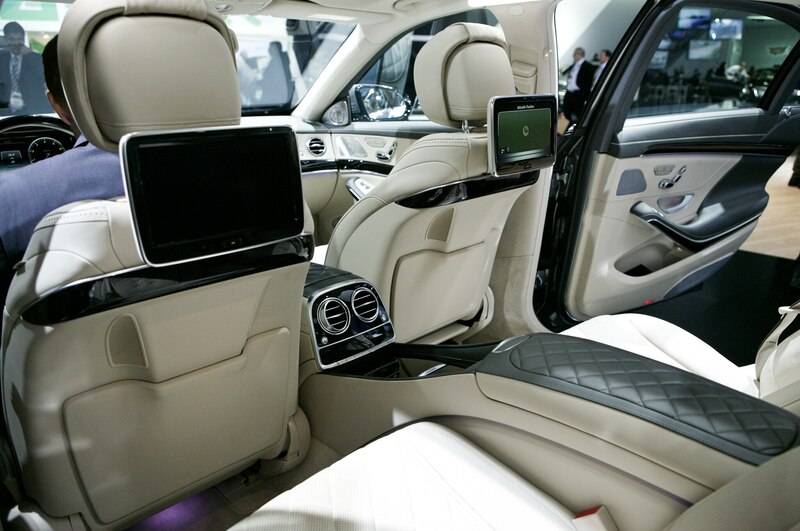 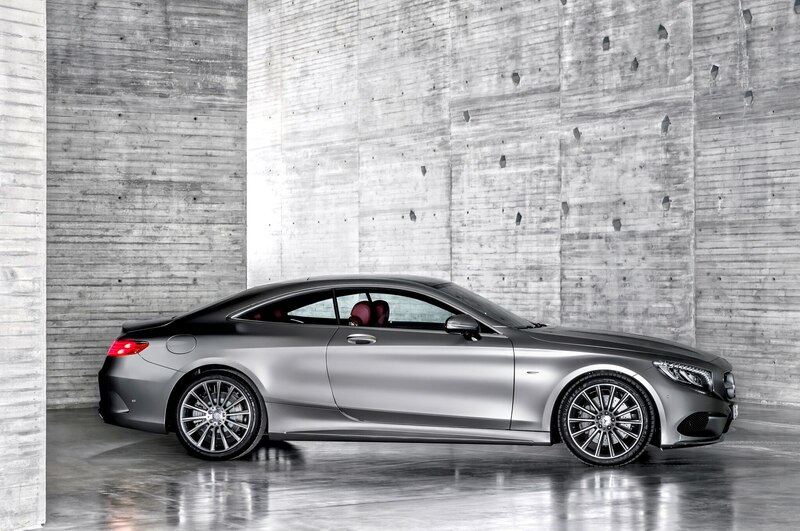 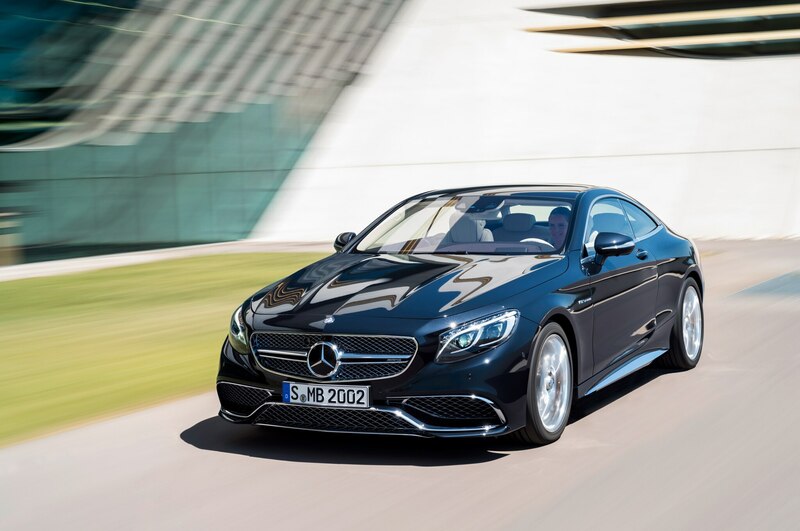 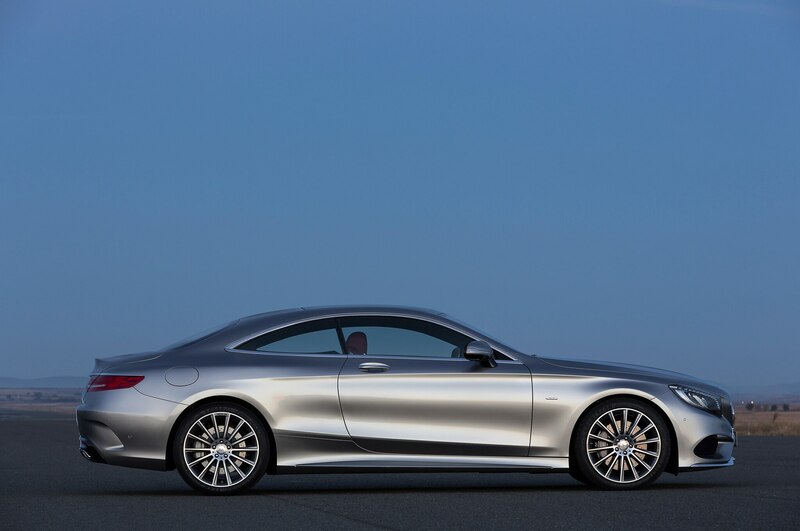 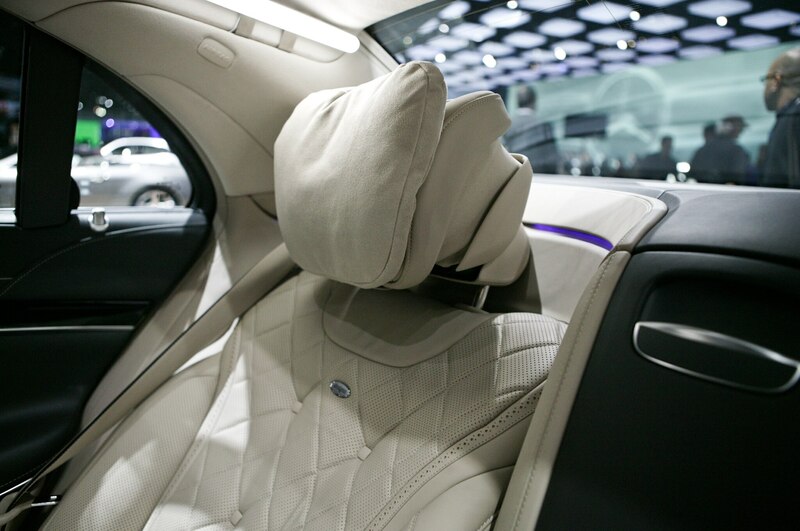 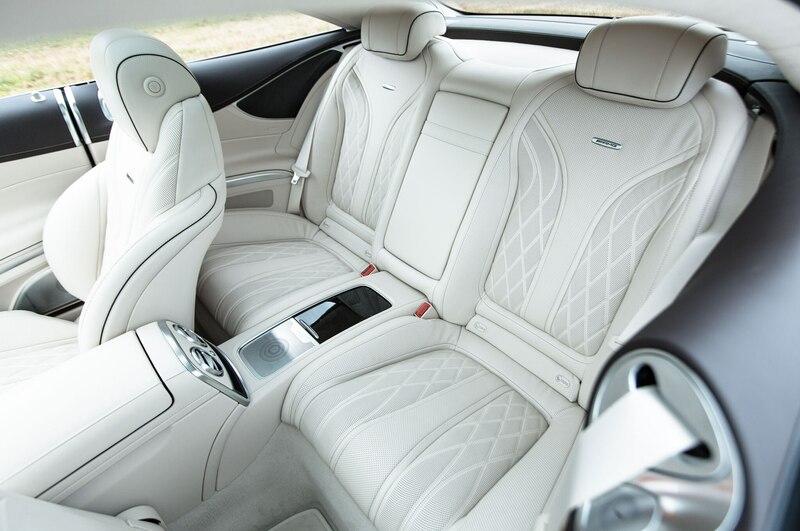 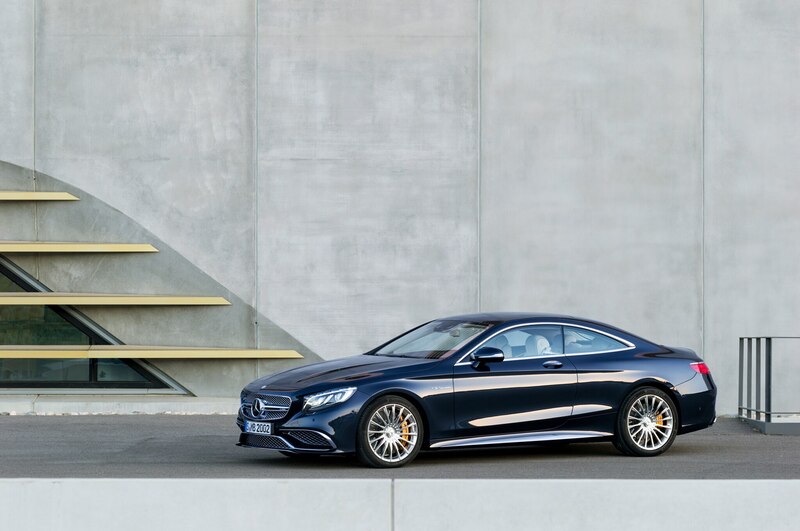 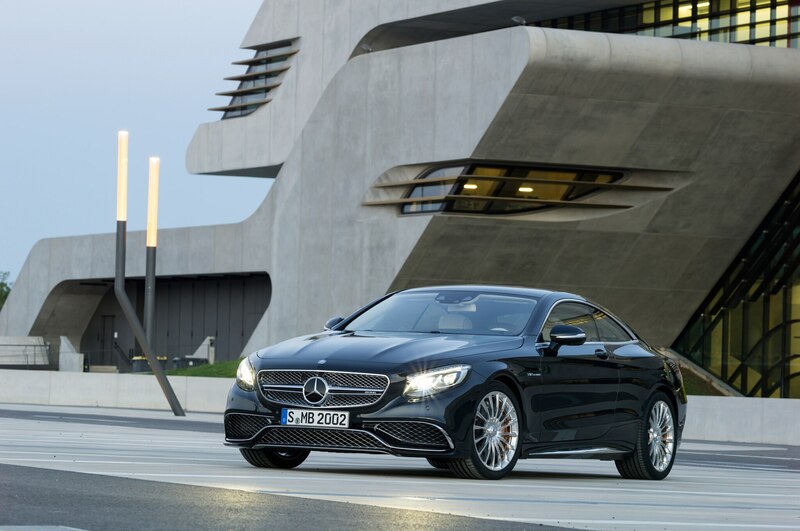 I was among the crowd transfixed by the S-Class Coupe when it debuted as a concept at the 2013 Frankfurt Auto Show. 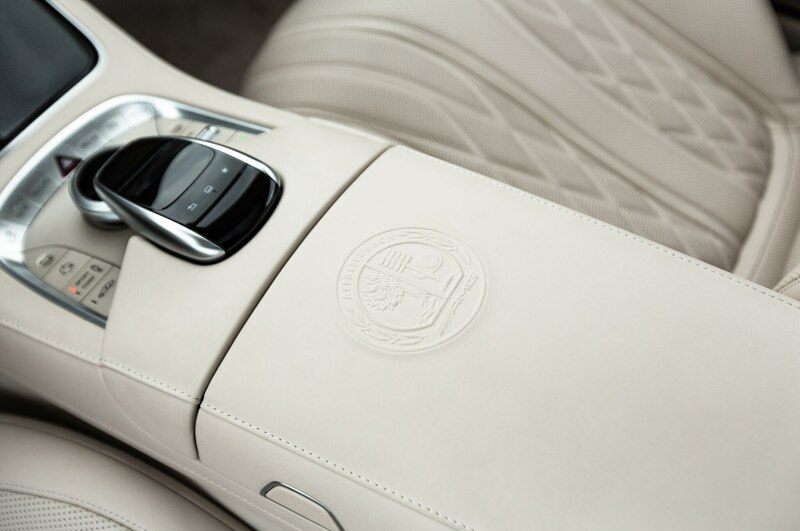 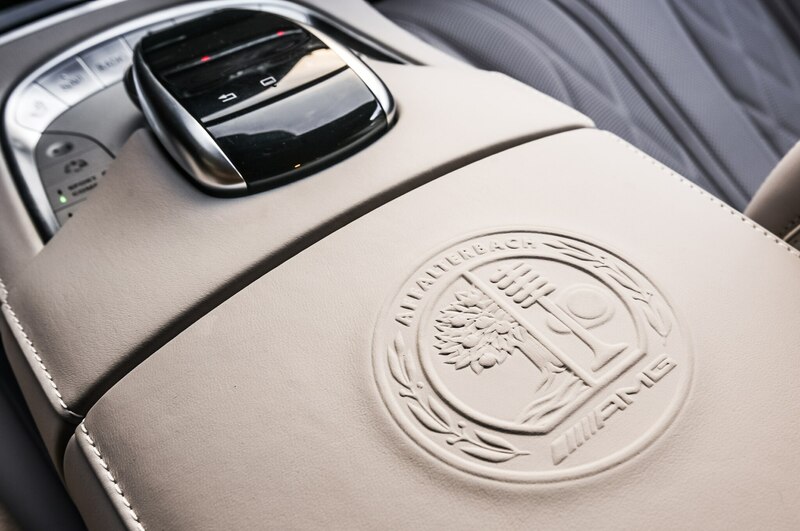 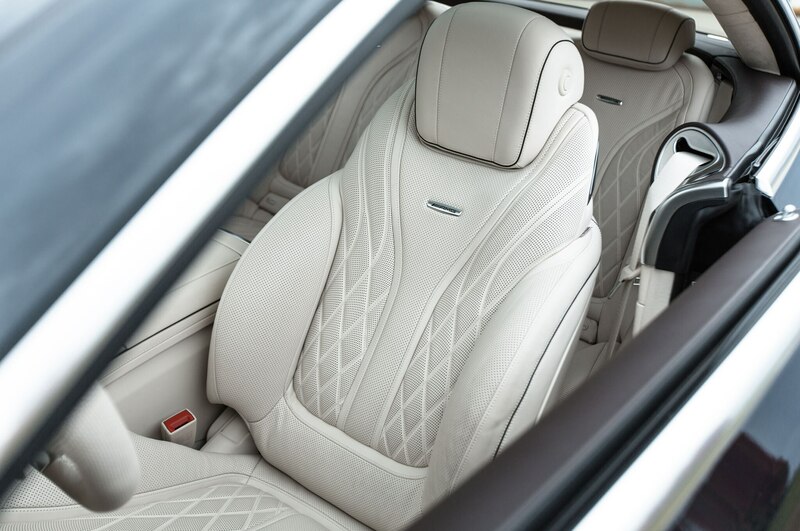 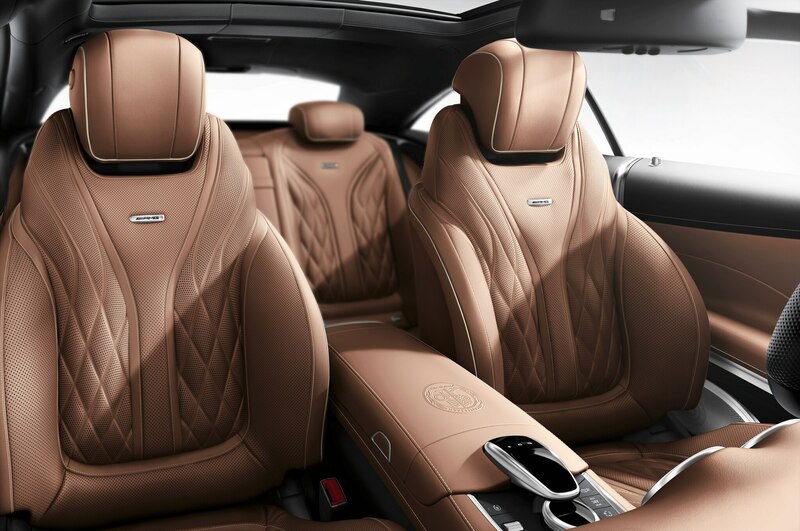 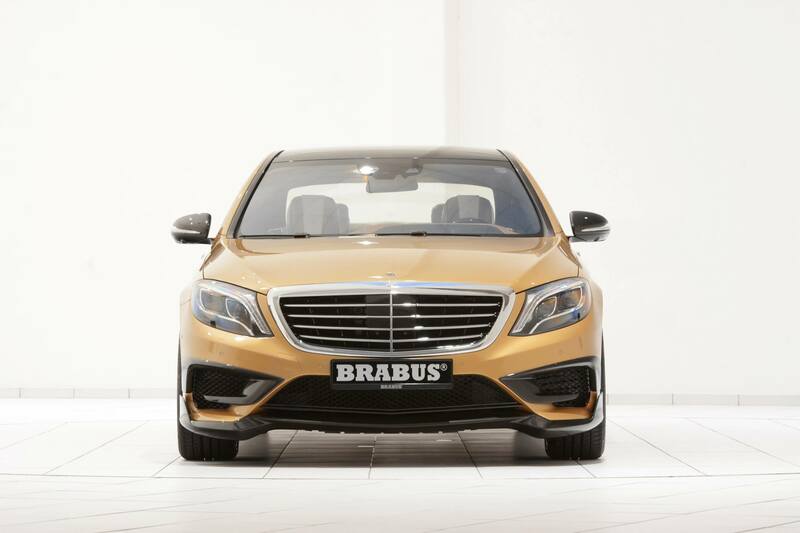 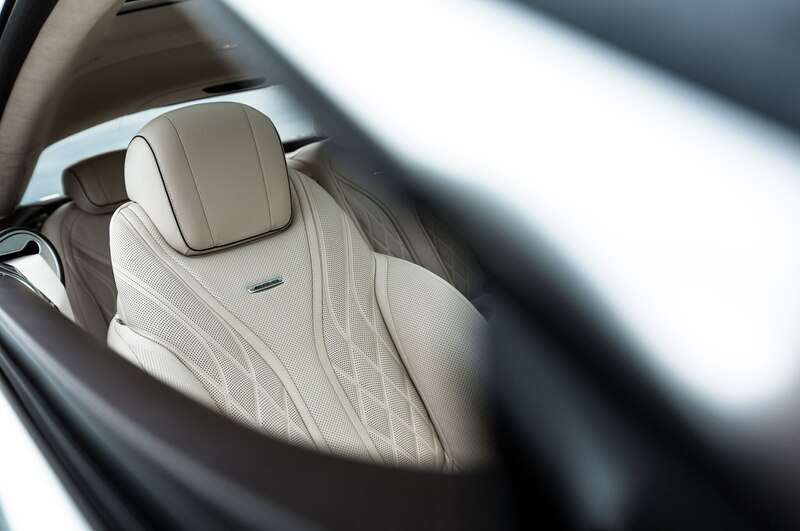 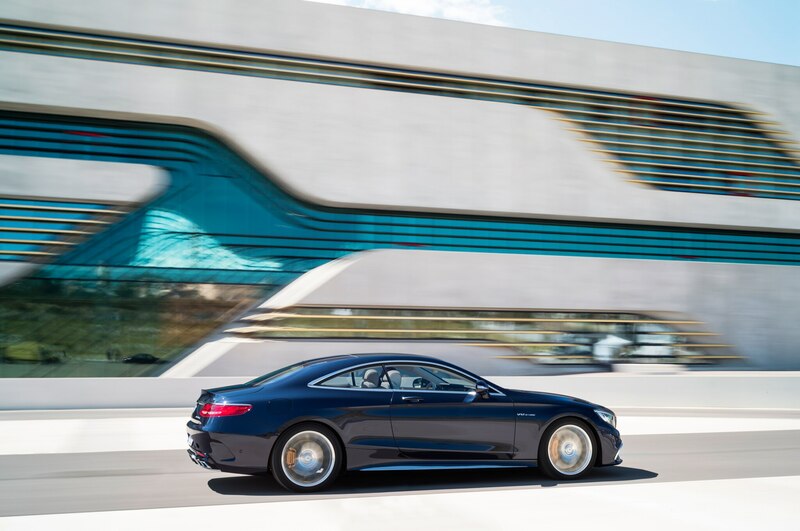 Its voluptuous curves hark back to the days when large luxury coupes — not SUVs or even sports cars — were the ultimate expression of self-indulgence. 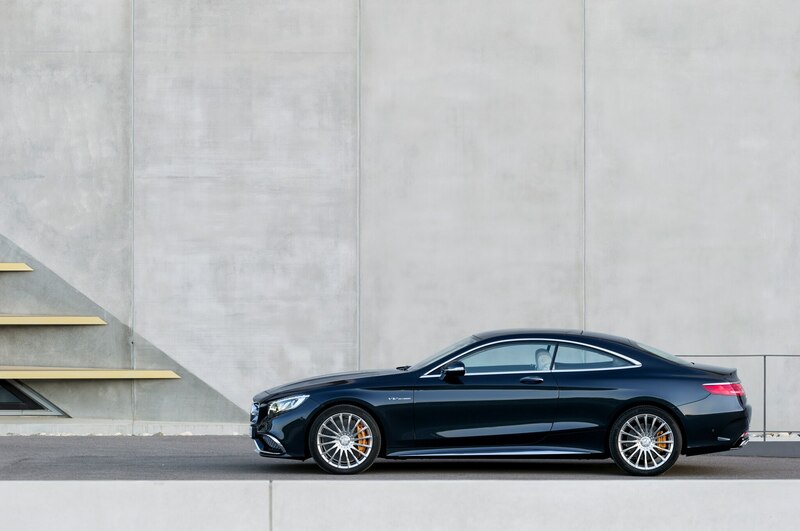 Little more than a year later the production version — which has since been named our Design of the Year — is sitting in my driveway, in high-performance AMG guise, no less. 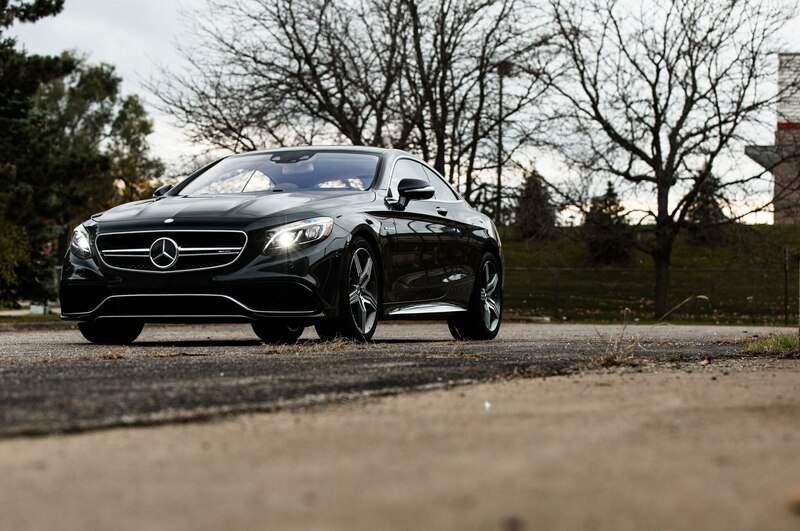 Obviously I have to show it a good time. 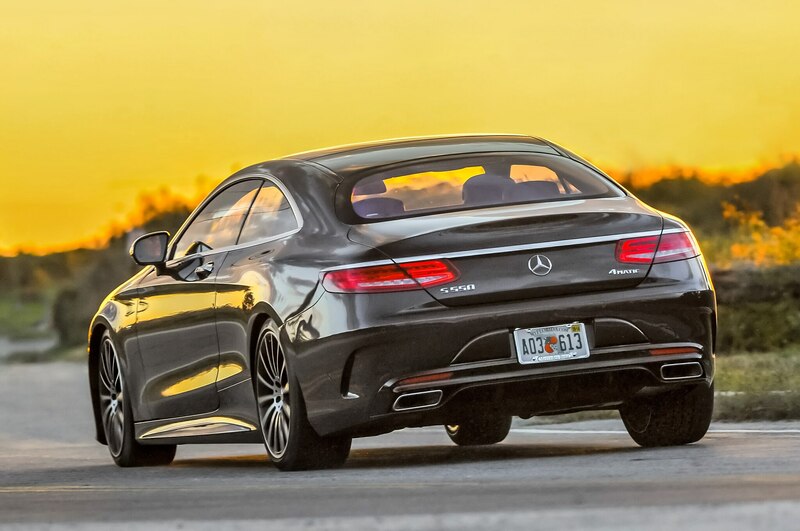 That’s why I find myself digging out my passport on a Saturday evening, chucking a backpack and camera into the S63’s generous trunk, and setting off for Toronto. 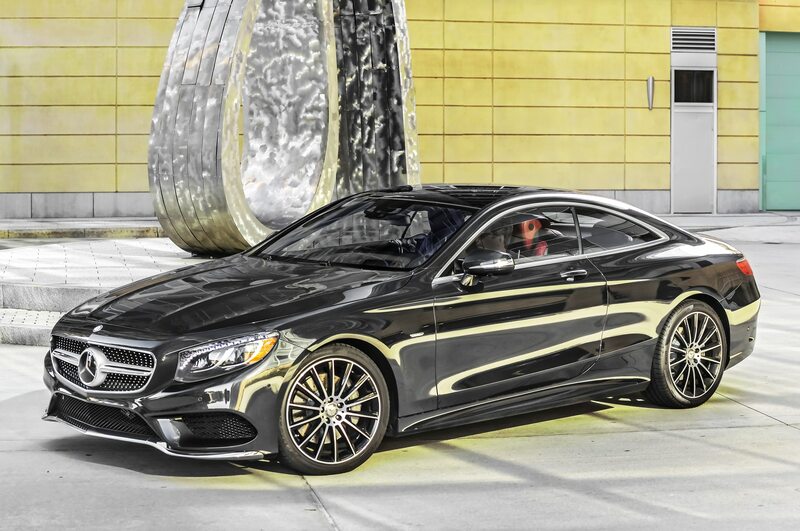 What does a city best known for a substance-abusing mayor and losing at hockey have to offer, you ask? 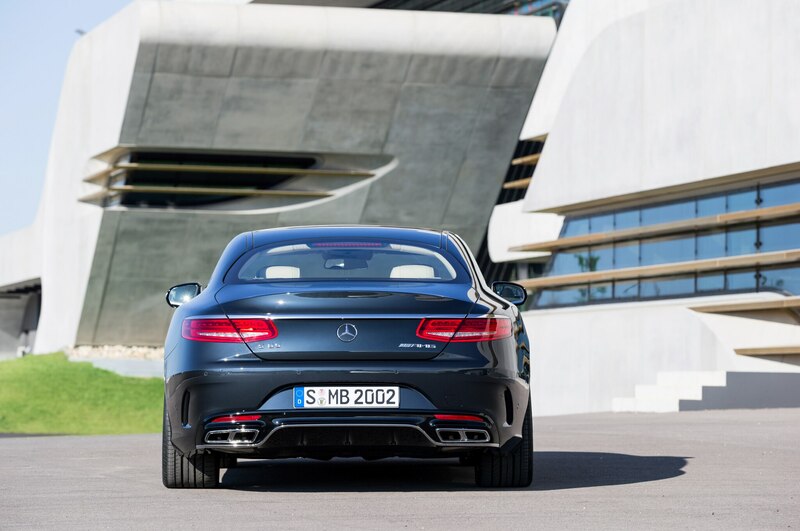 The answer is quite a bit. 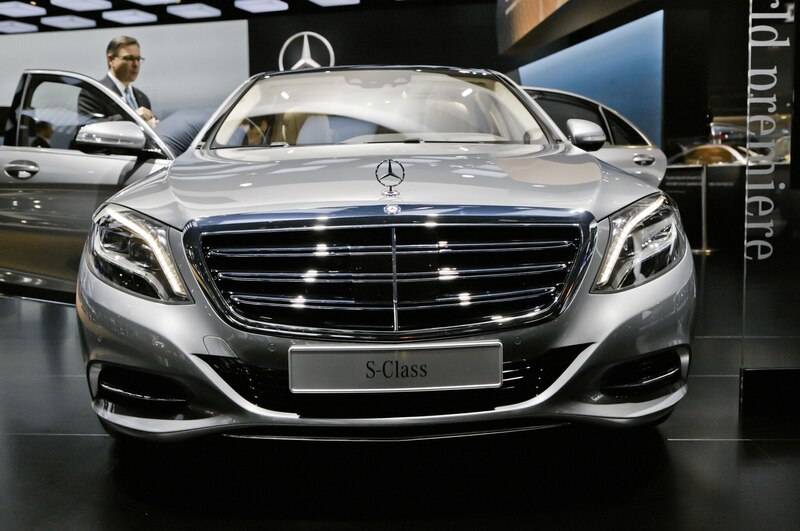 While we were sleeping (or in Rob Ford’s case, snorting), Toronto has grown into one of the biggest cities on the continent and a global center of wealth. 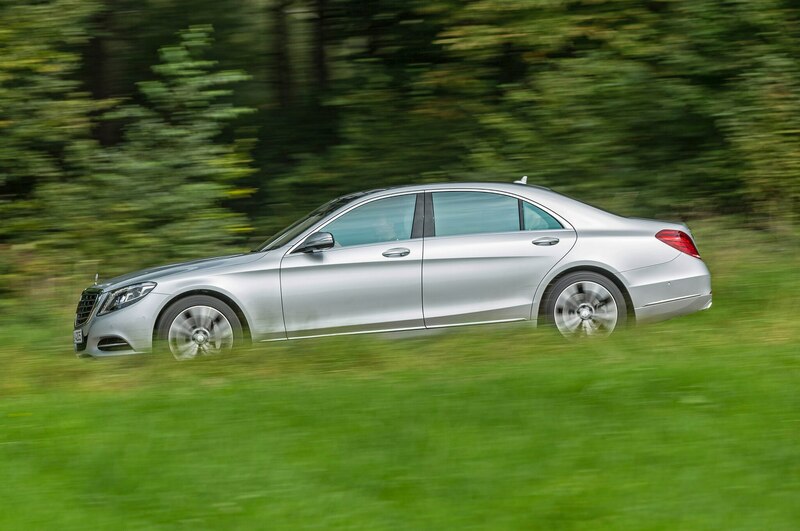 Most important for me, it’s within a single night’s driving range, and I have an all-wheel-drive 577-hp luxury car with a full tank of gas. 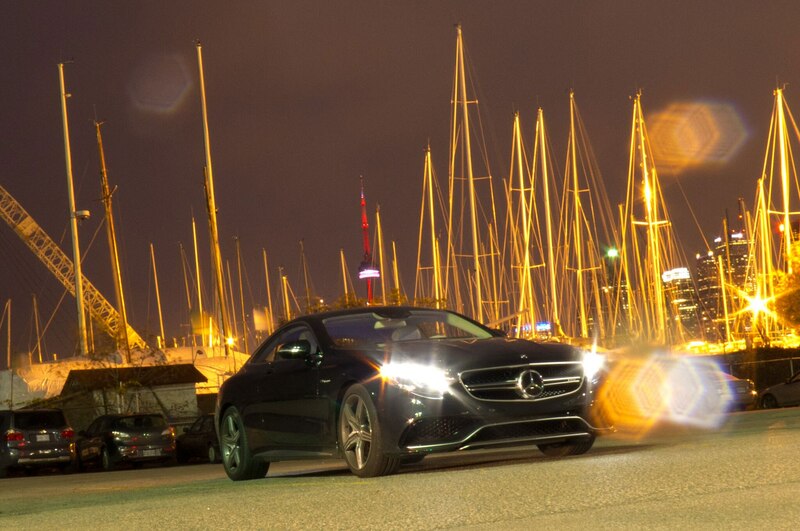 The Port of Toronto remains busy at night. 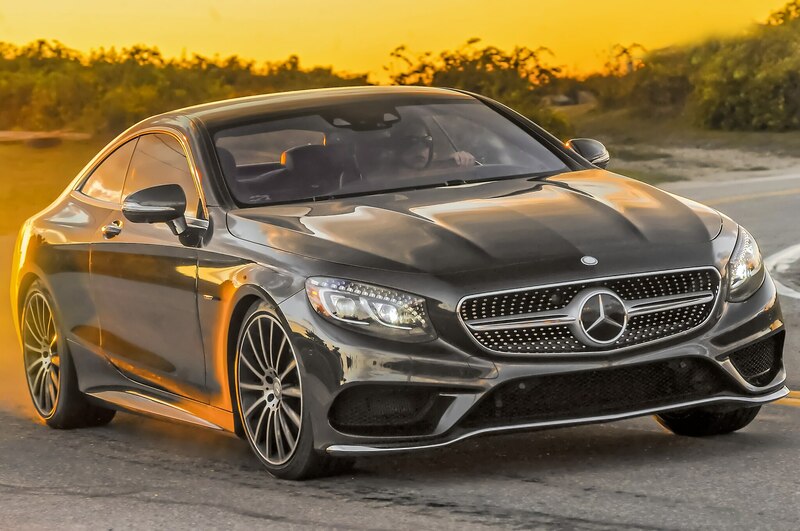 I cross Detroit’s Ambassador Bridge around 8:30 p.m., promise Canada’s customs agent that I do not have Ebola, and drive into Windsor. 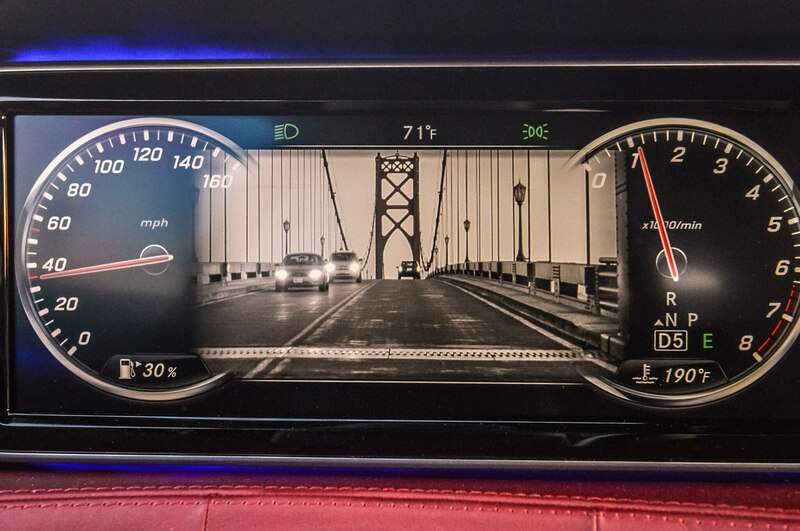 I’m instantly greeted by the invigorating sights of a foreign land. 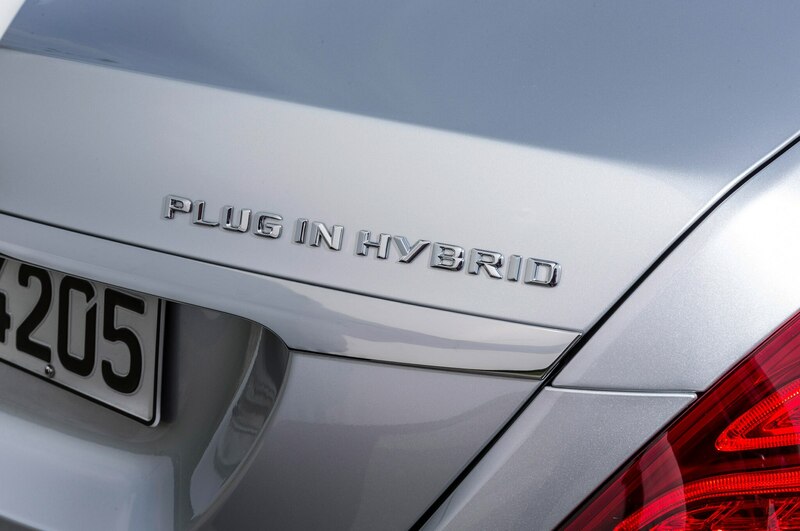 That’s a lie. 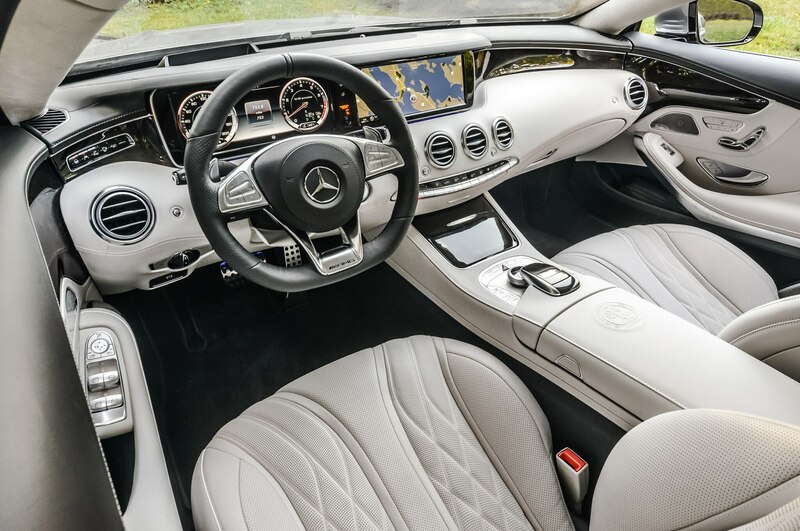 I see a McDonald’s. 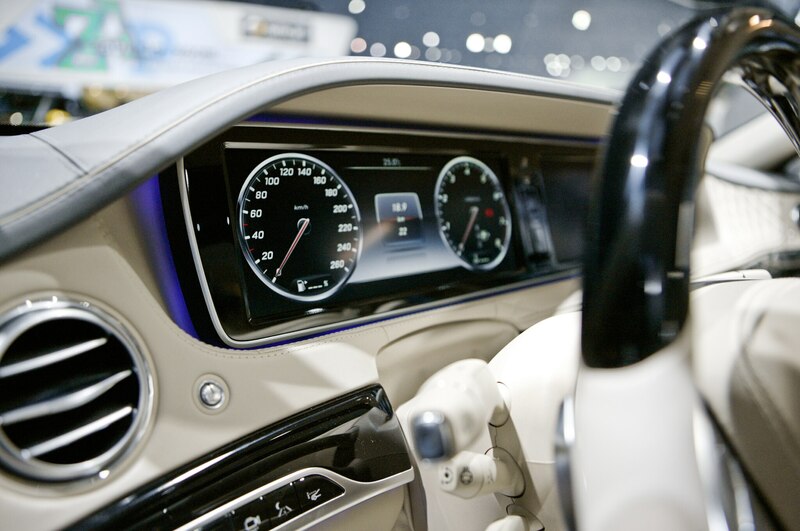 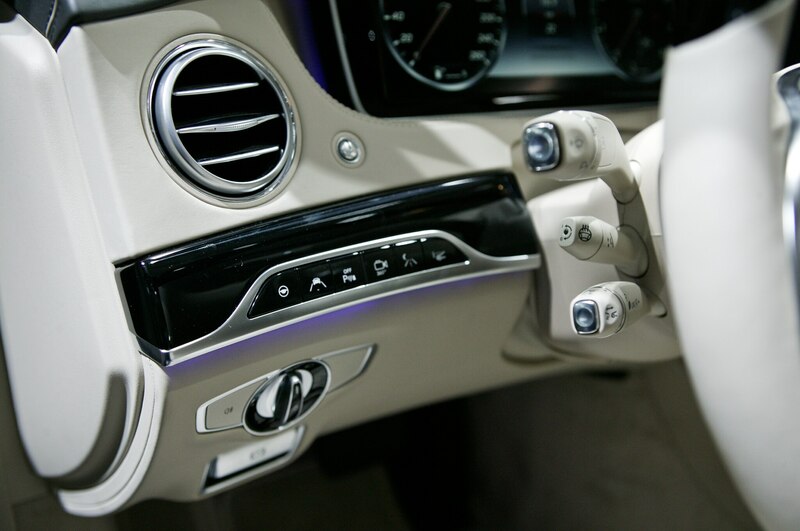 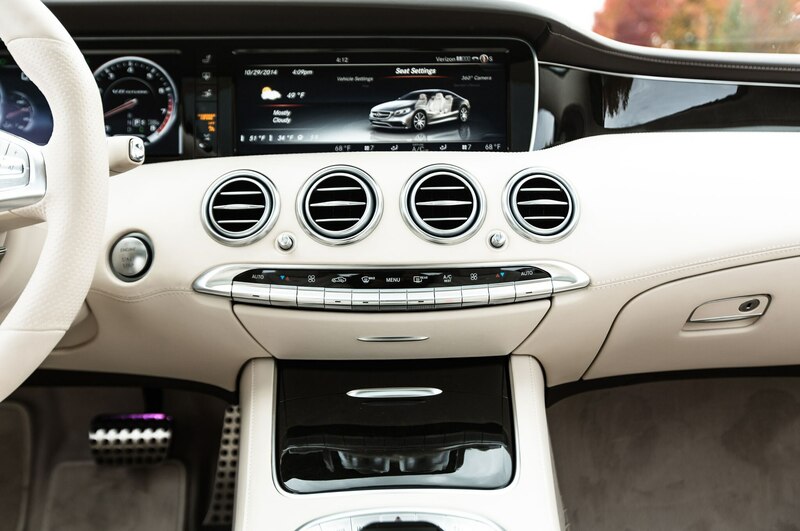 I switch the digital gauges to metric and rely on the S-Class Coupe’s seat massage for invigoration. 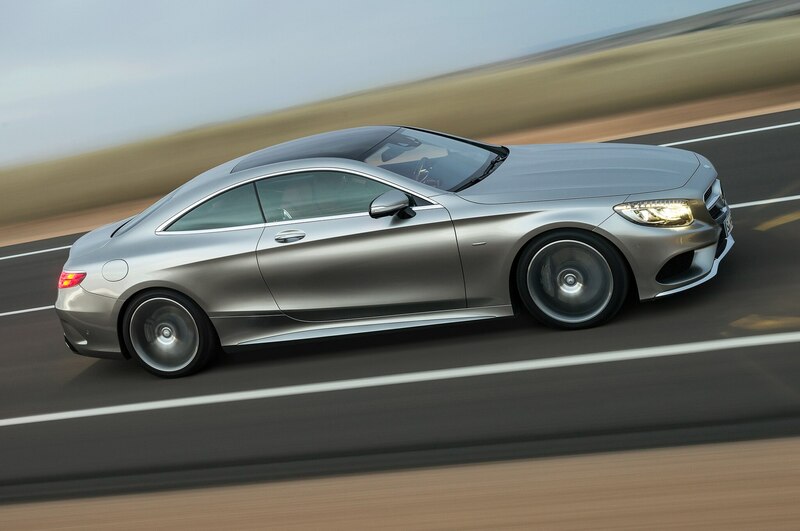 Canada starts to feel more Canadian when I climb on the highway. 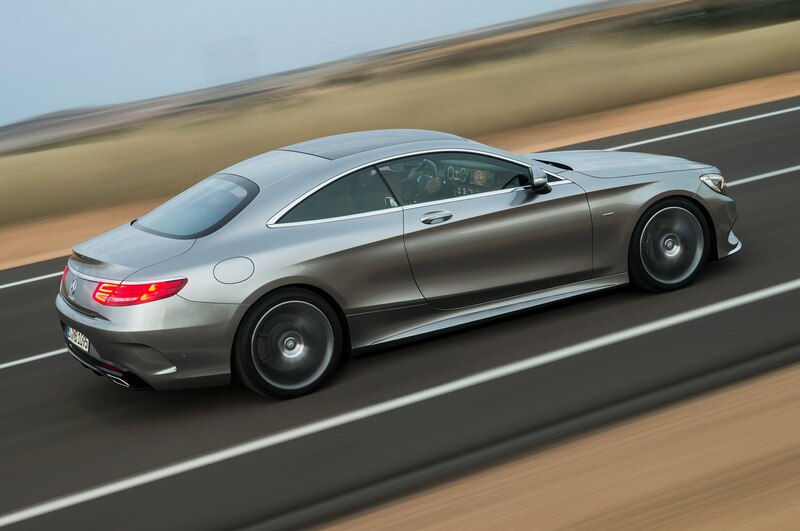 Unlike the moonscape I’ve left behind in Michigan, much of the 401 has smooth tarmac and freshly marked lanes. 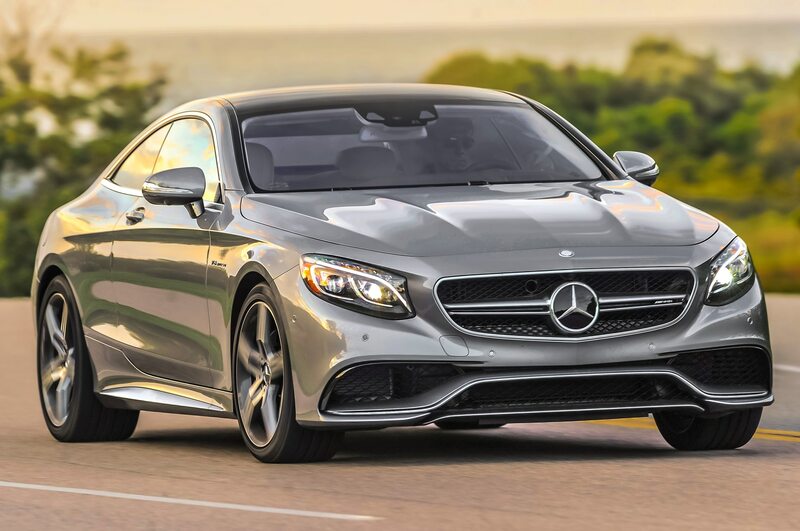 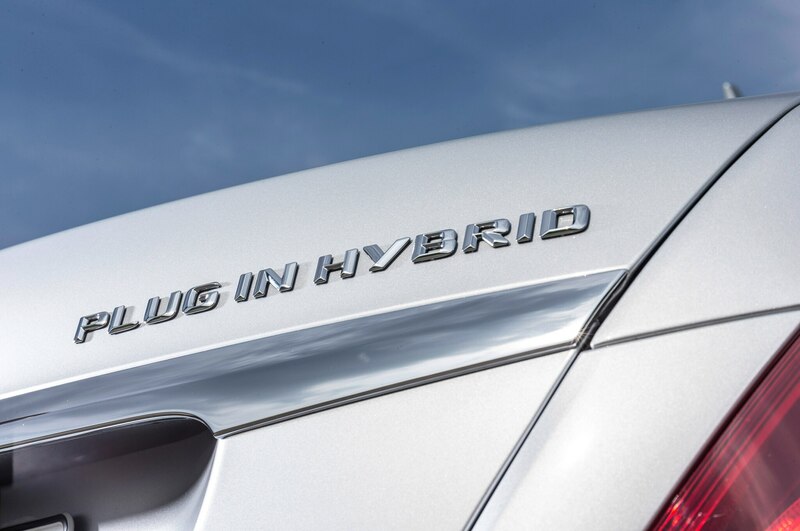 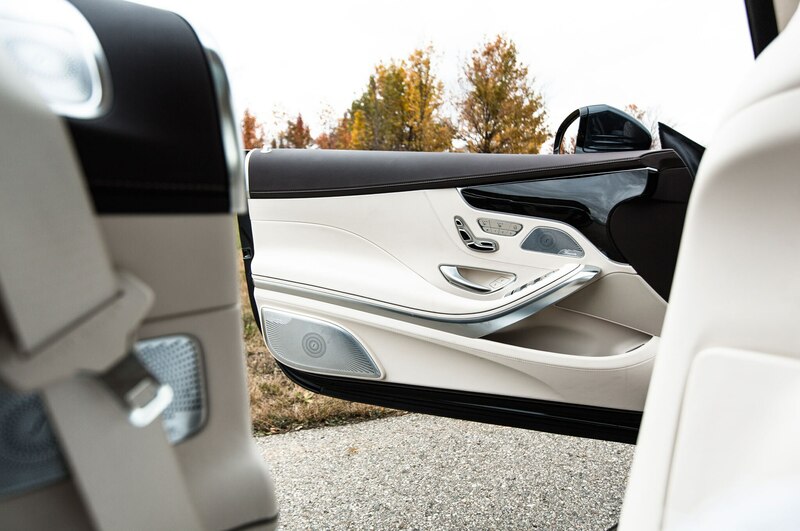 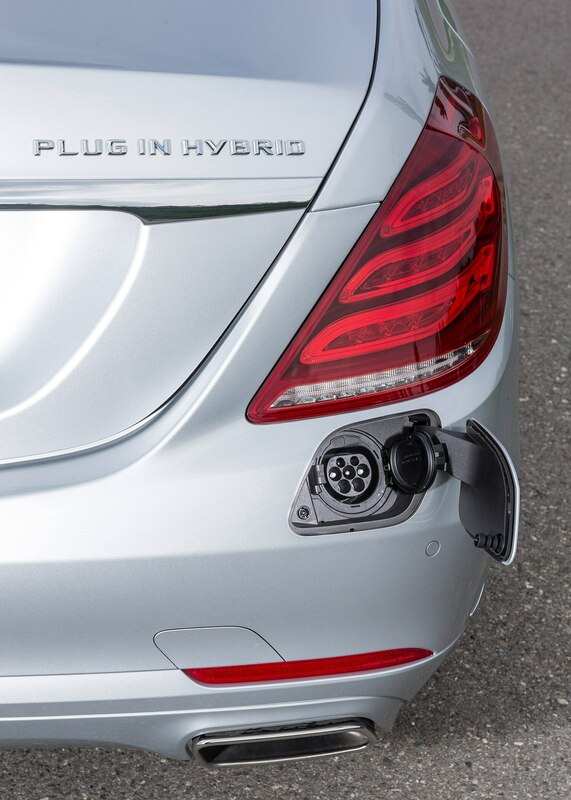 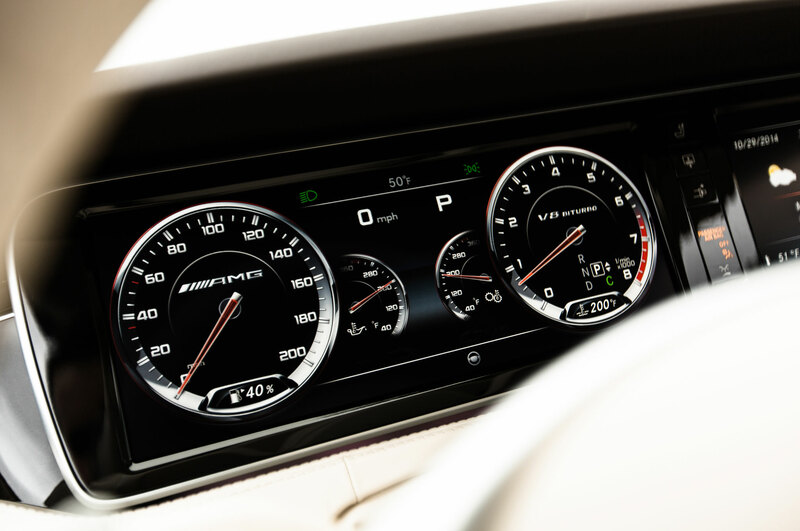 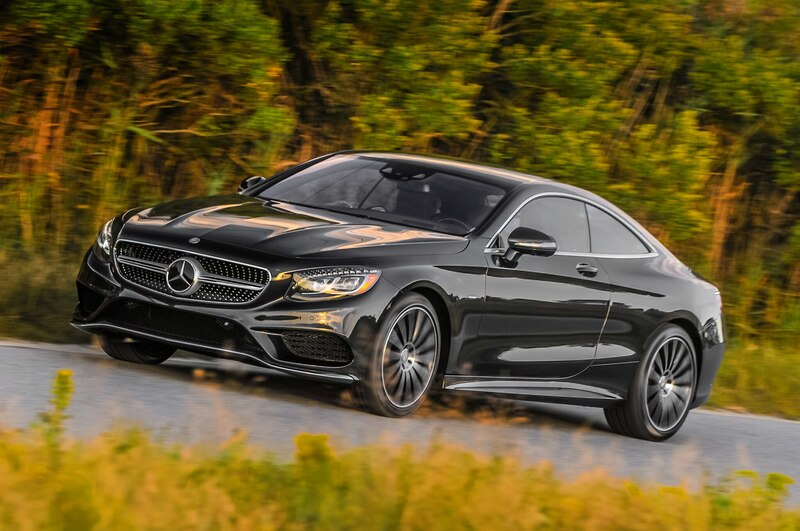 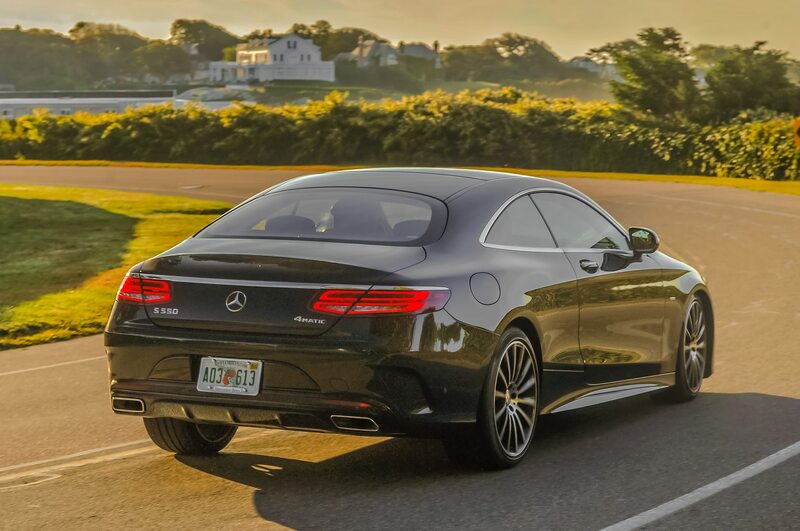 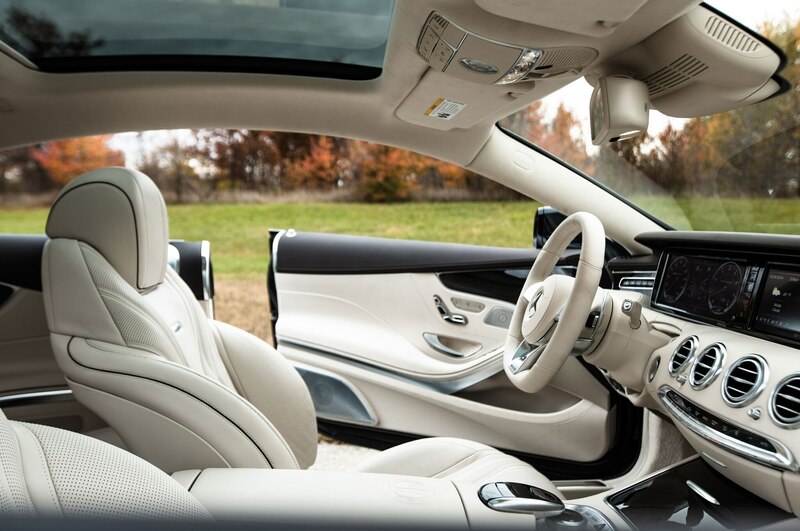 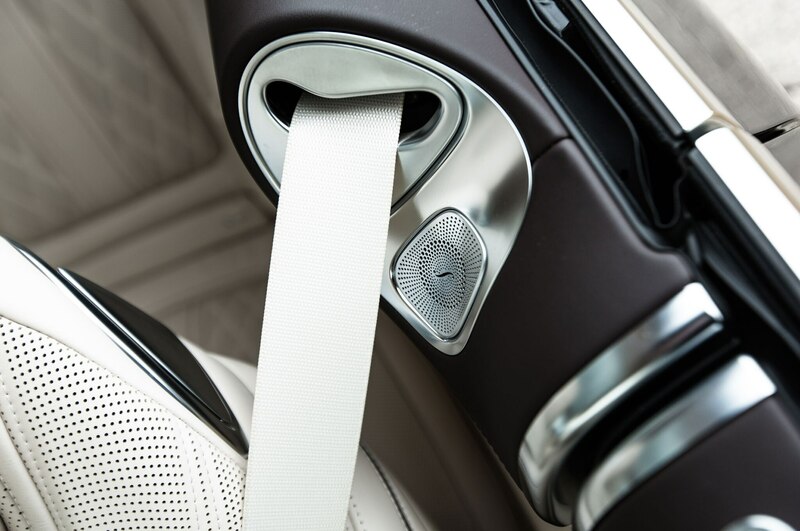 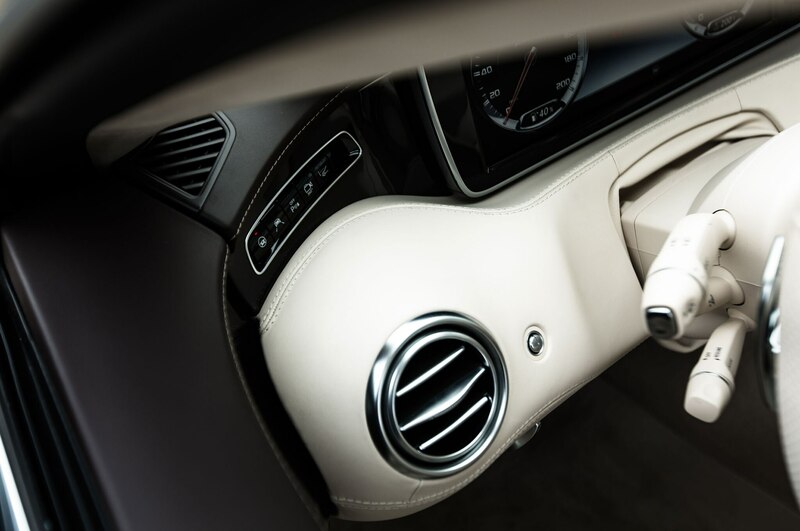 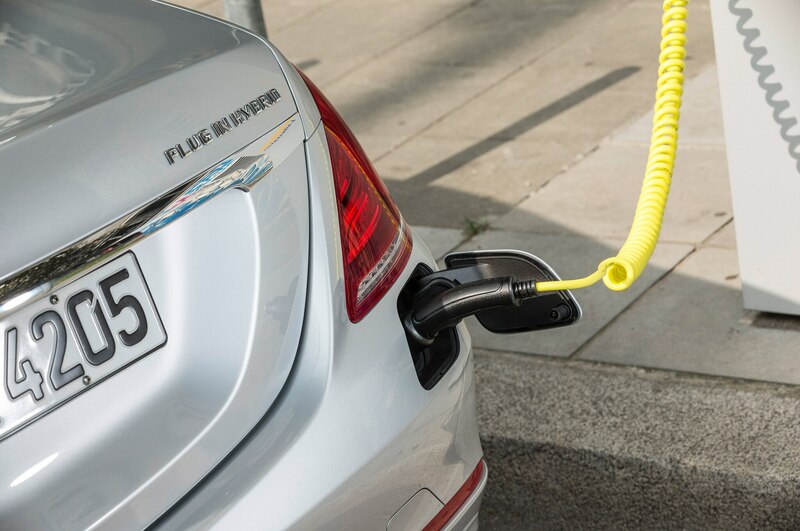 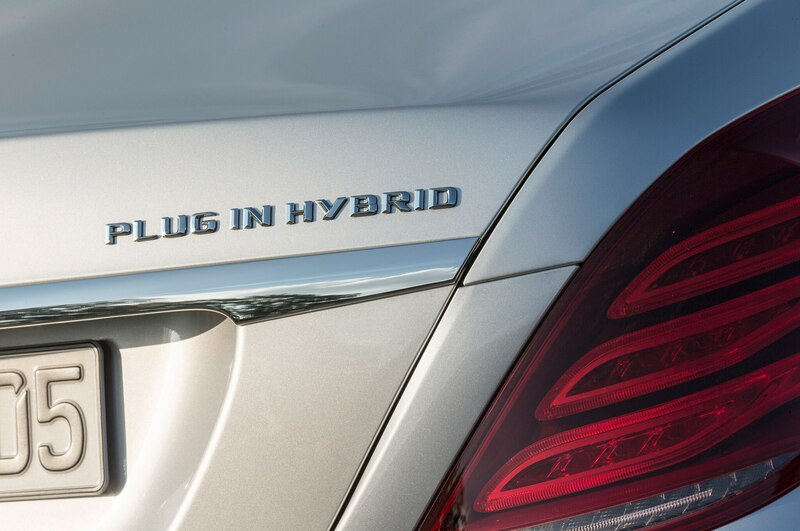 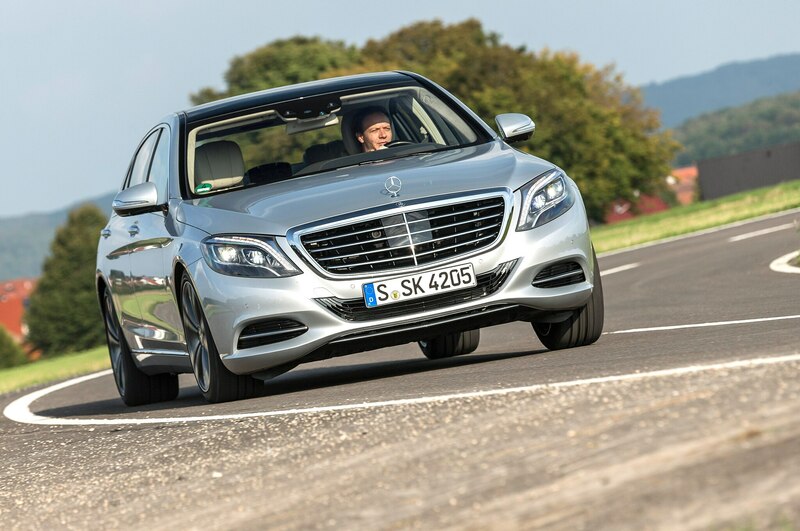 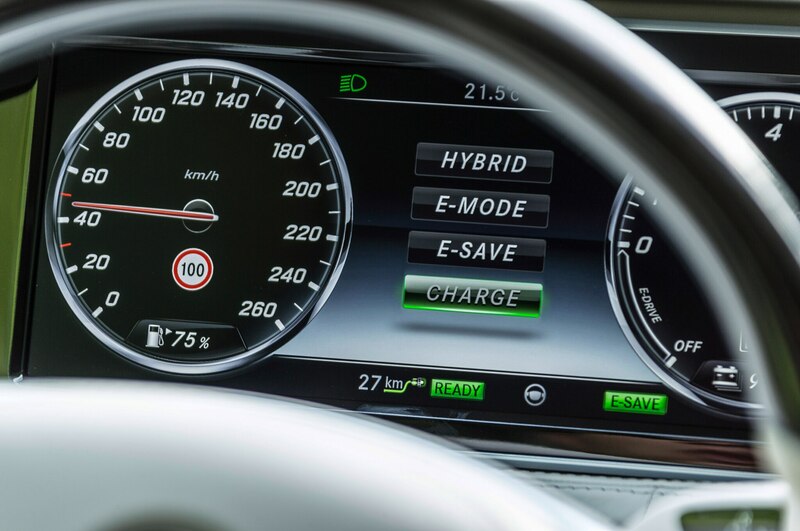 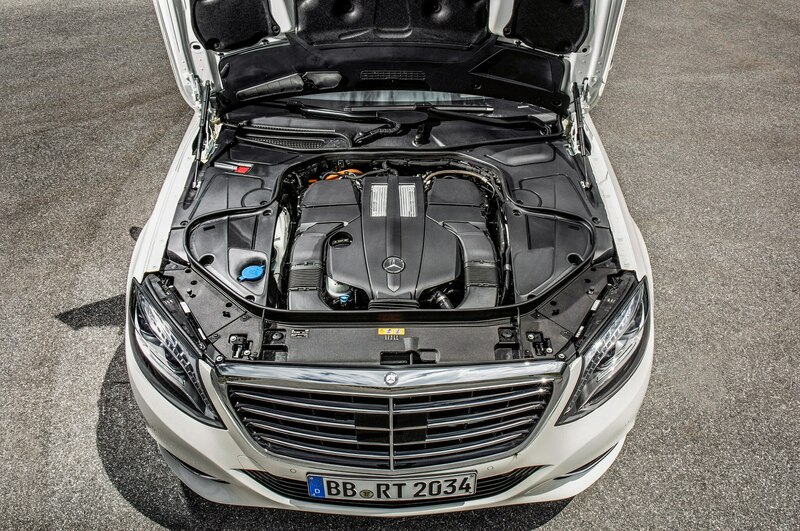 The latter allows me test with confidence the 2015 Mercedes-Benz S63 AMG coupe’s battery of driver assistance systems — active cruise control, lane departure prevention, and lane-keeping assist. 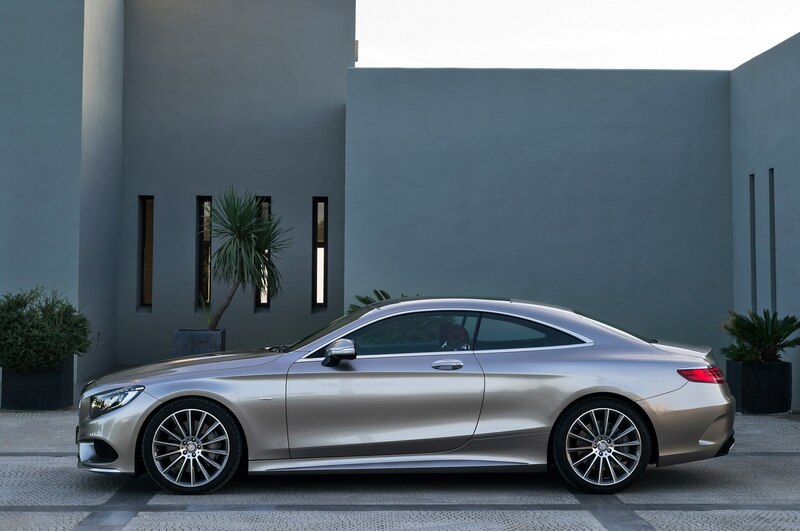 The last function is the difference maker. 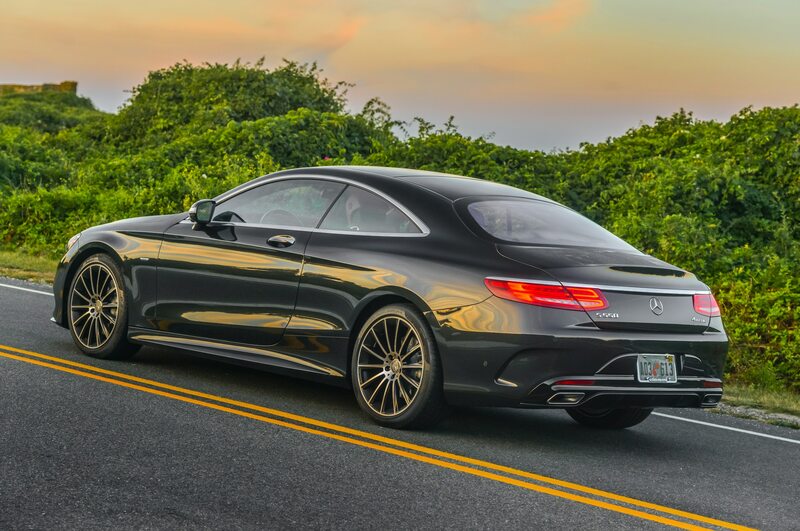 Many luxury cars with driver assistance systems work like bumper bowling, allowing the car to bounce off the lane markers. 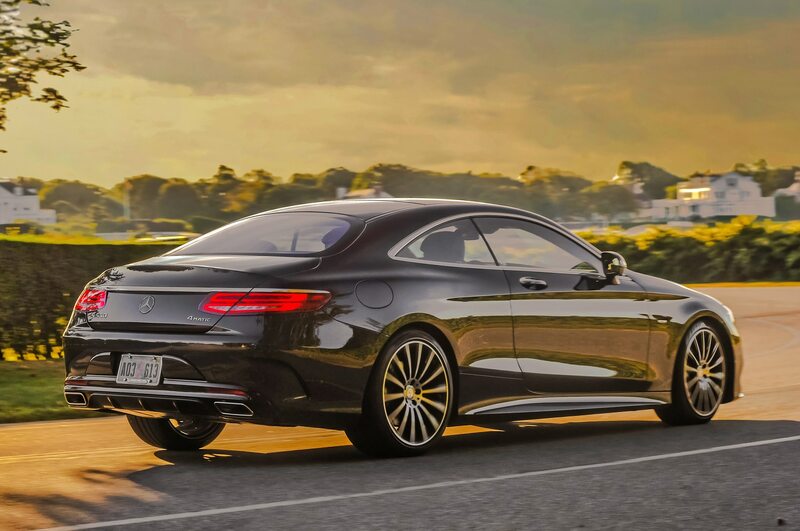 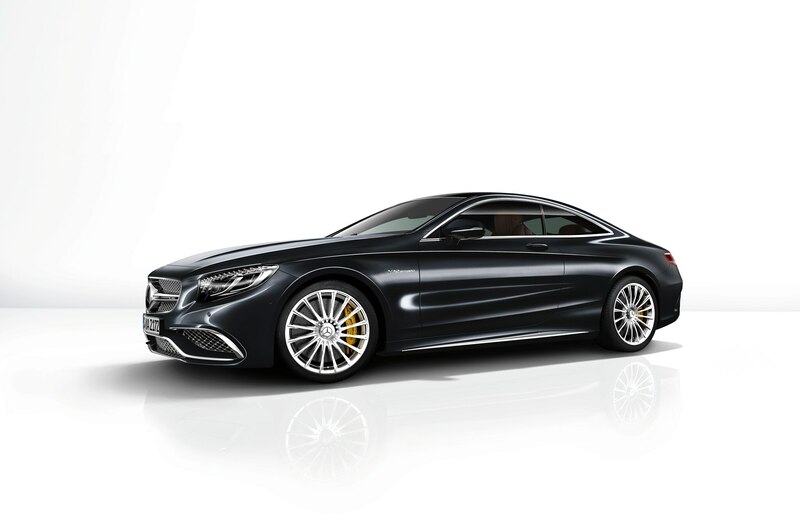 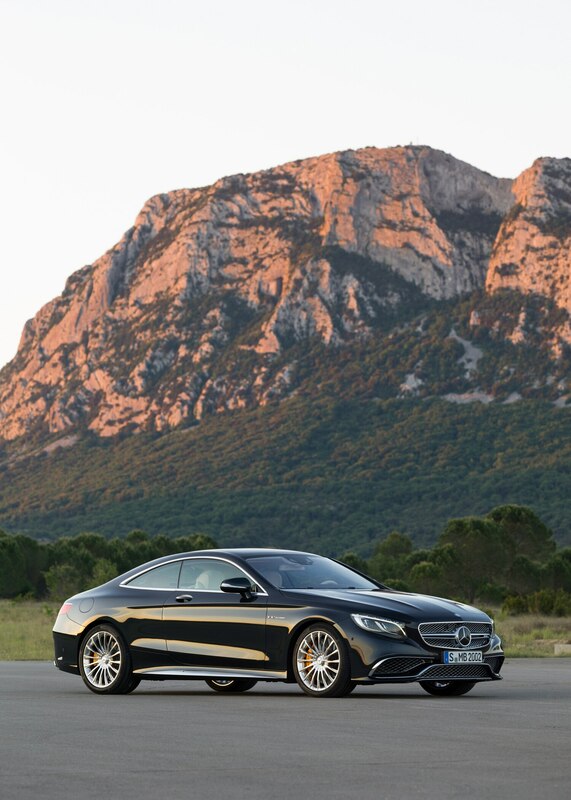 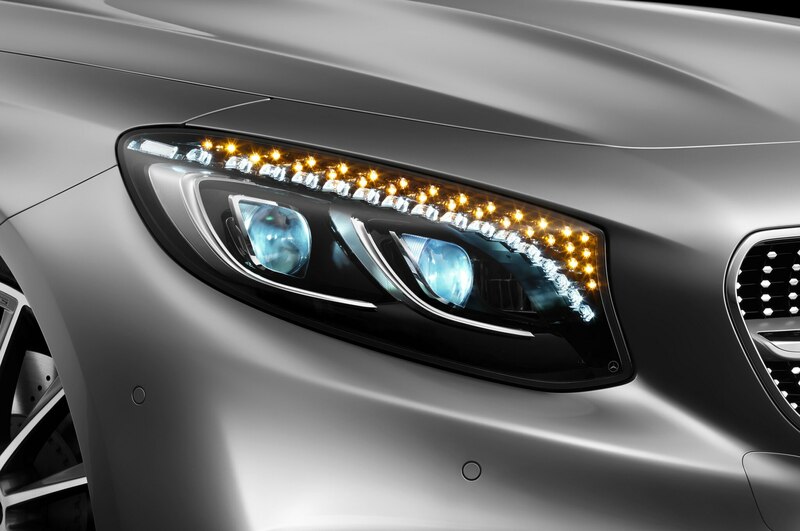 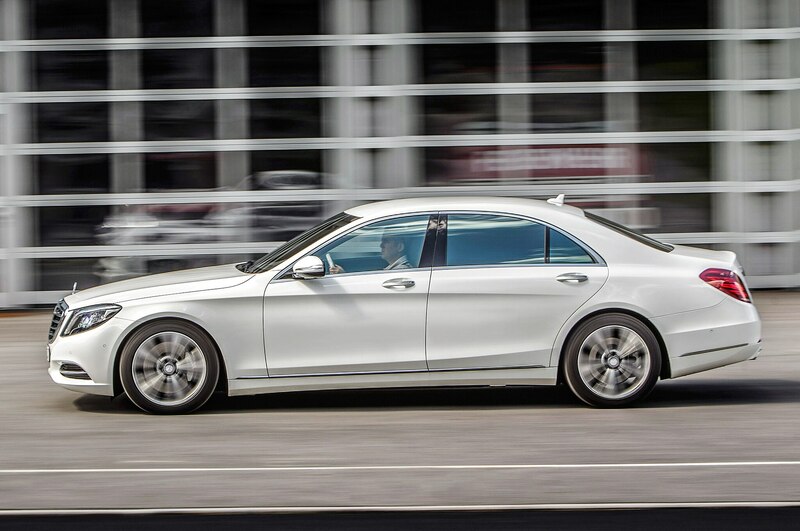 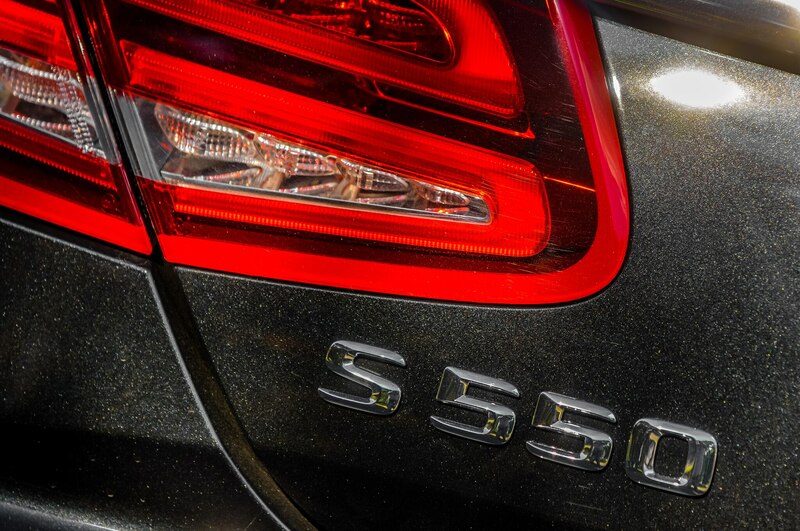 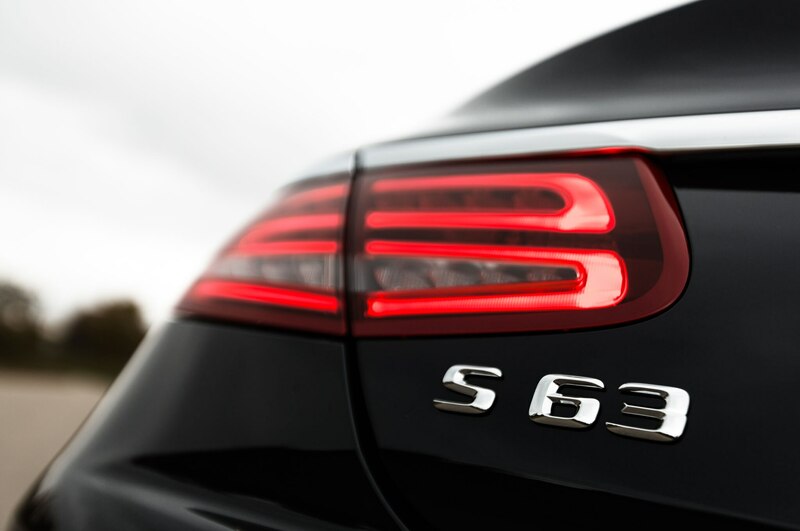 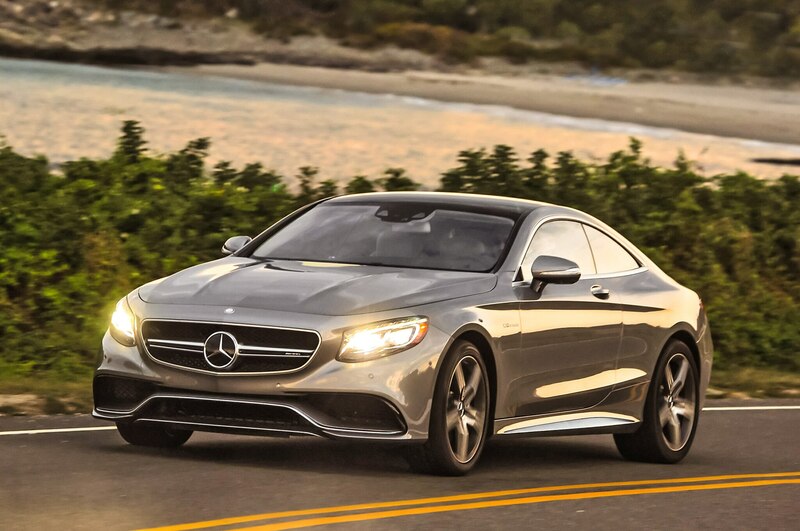 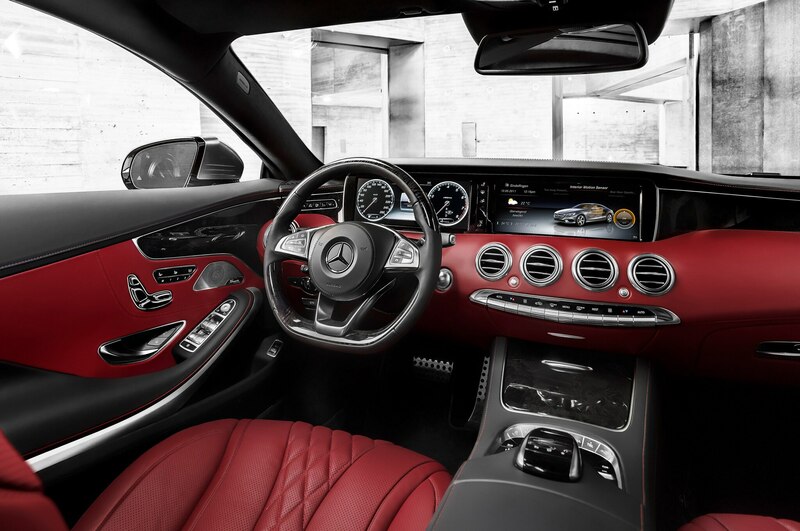 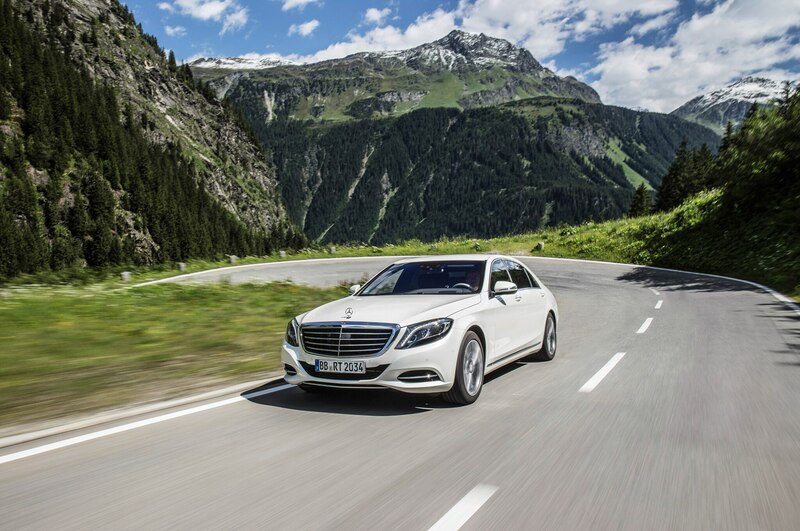 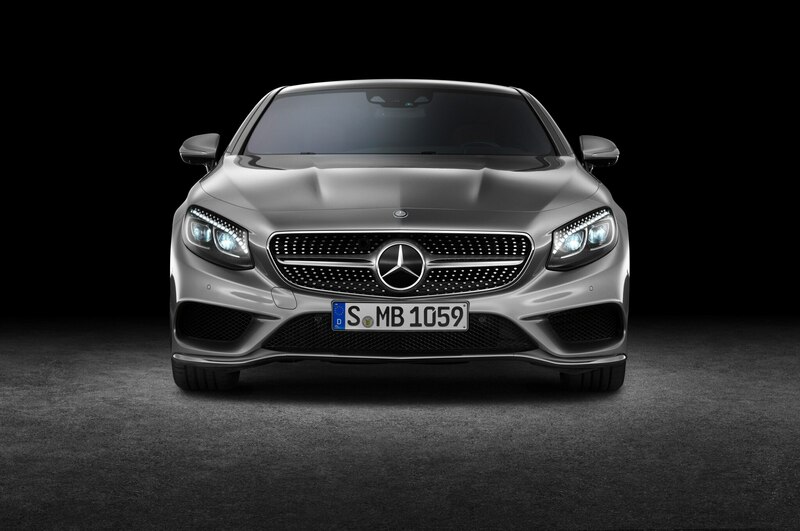 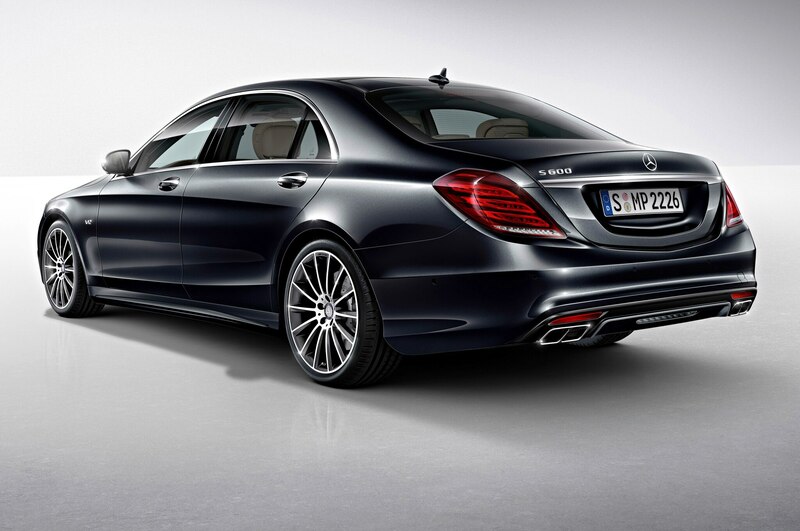 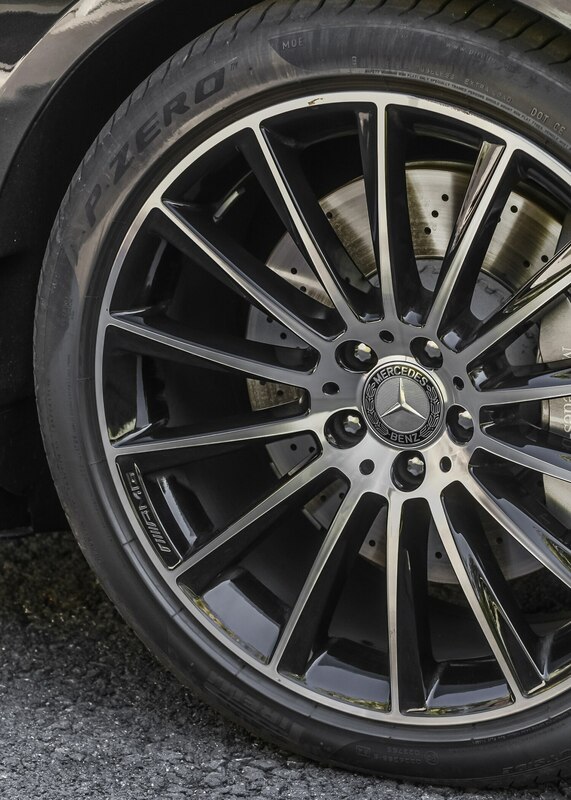 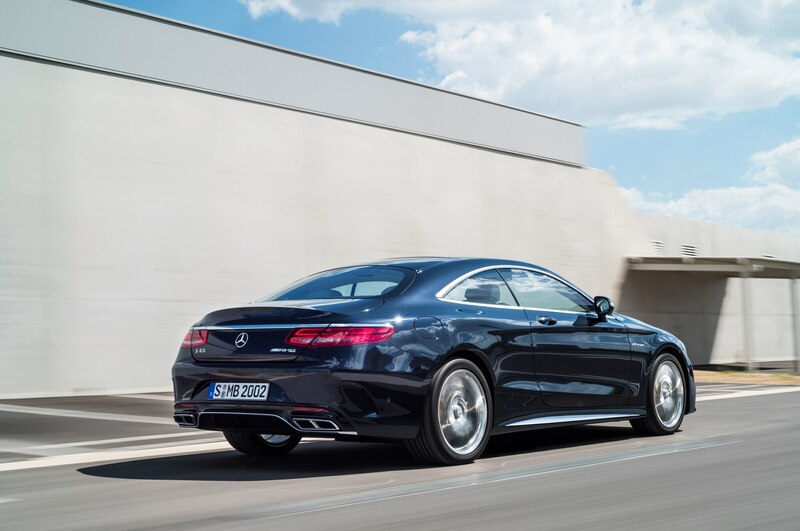 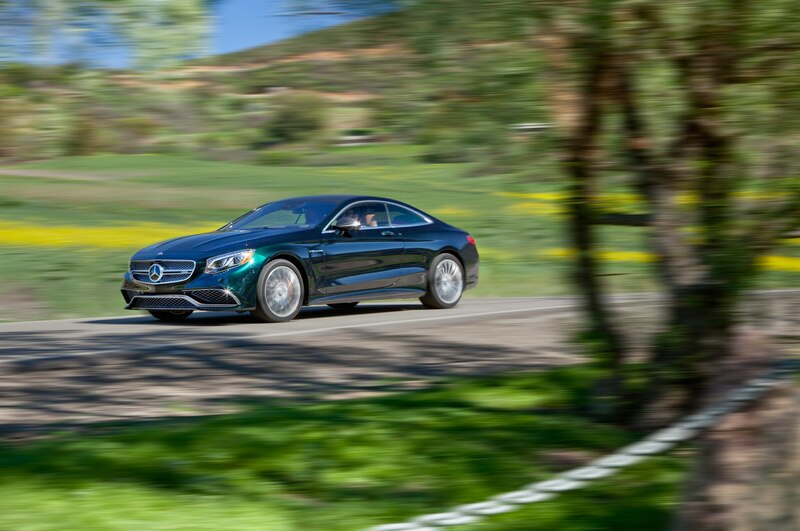 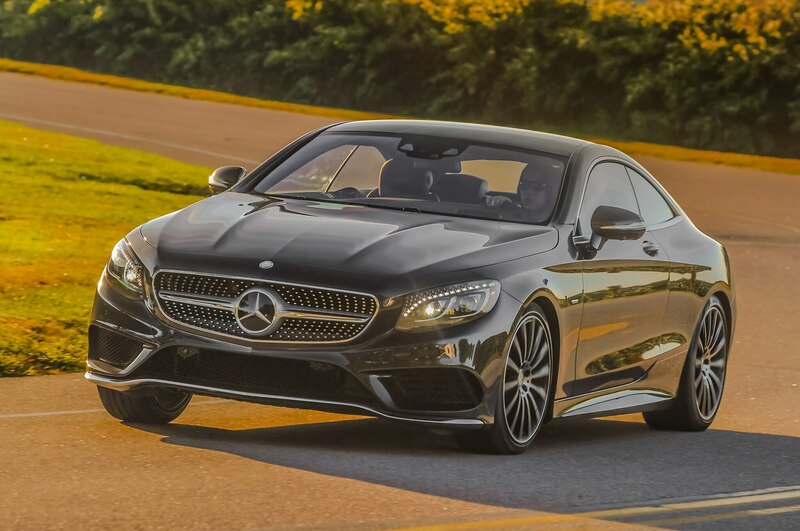 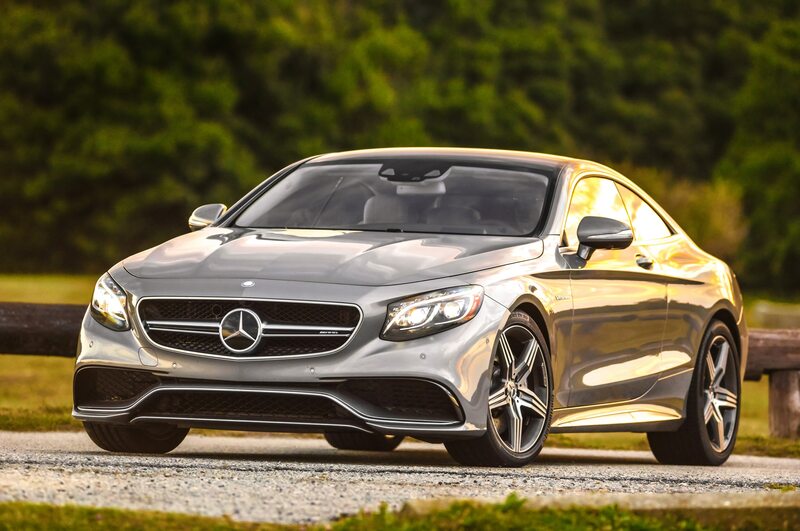 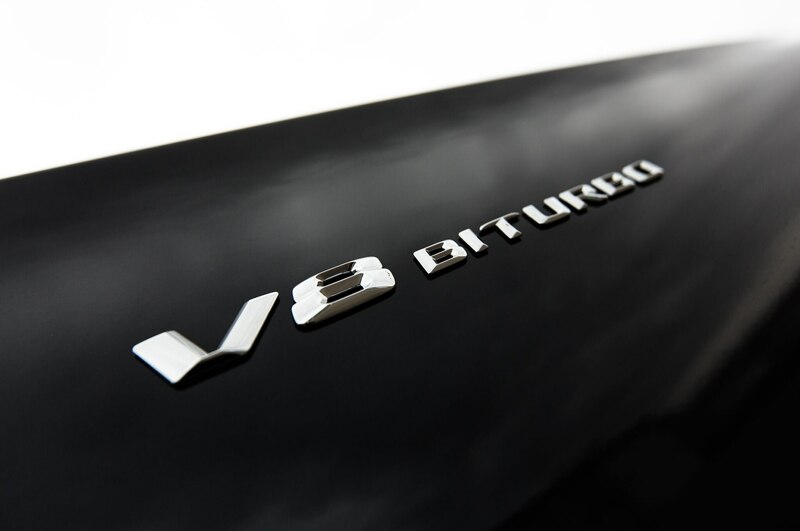 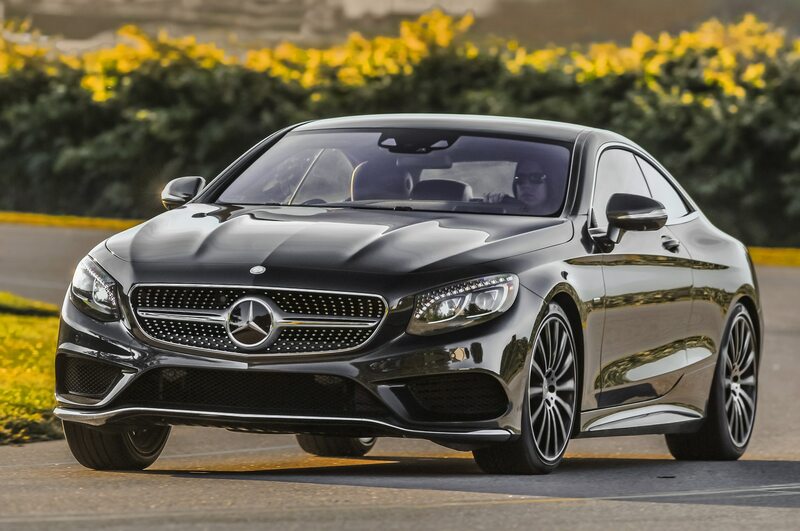 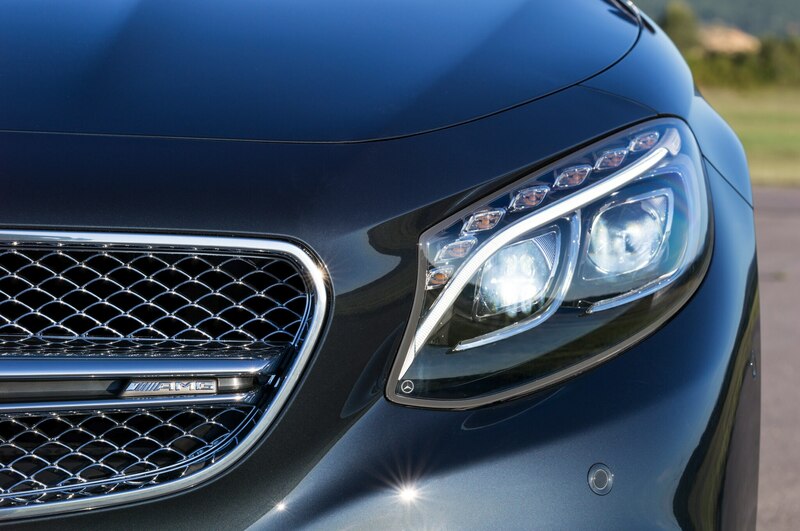 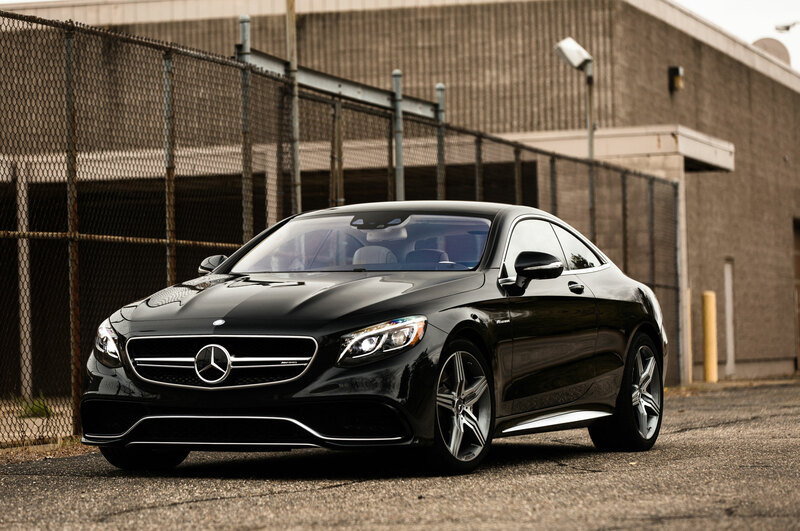 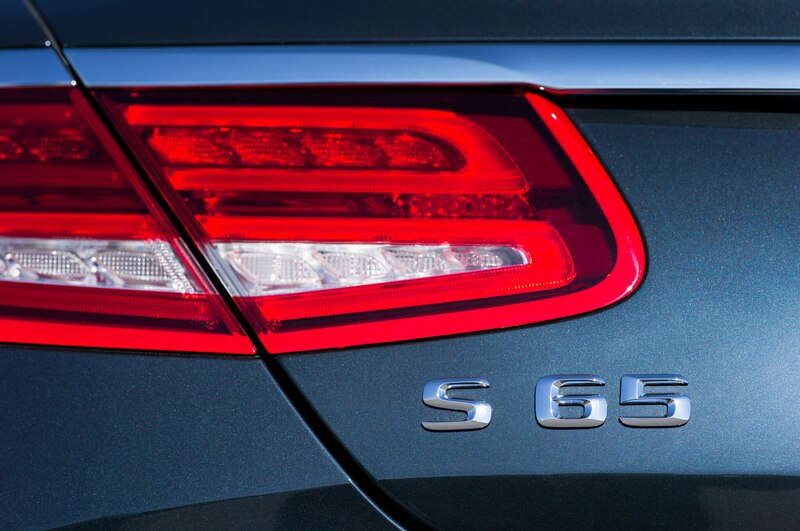 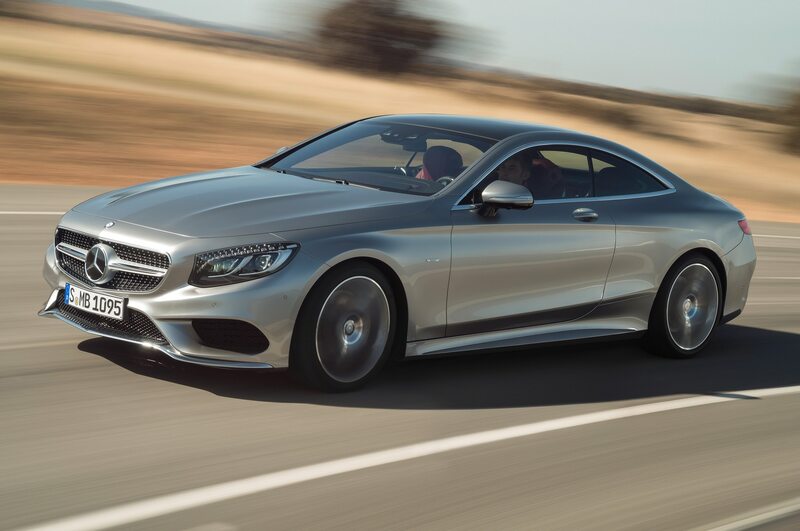 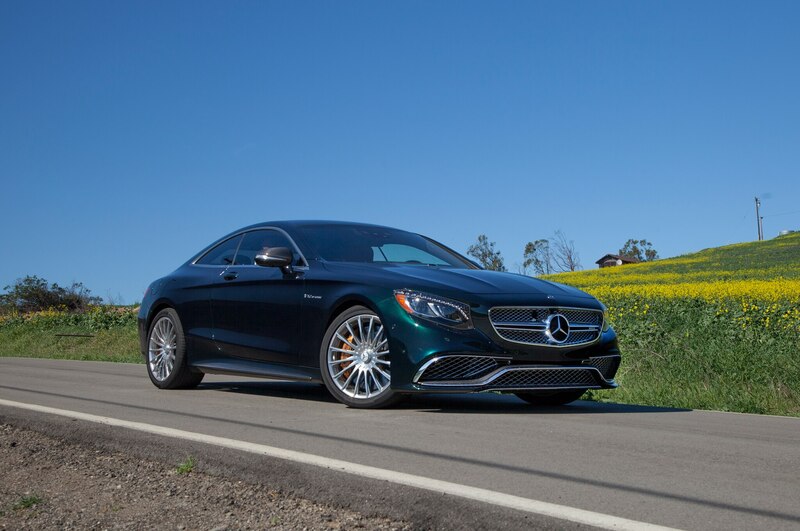 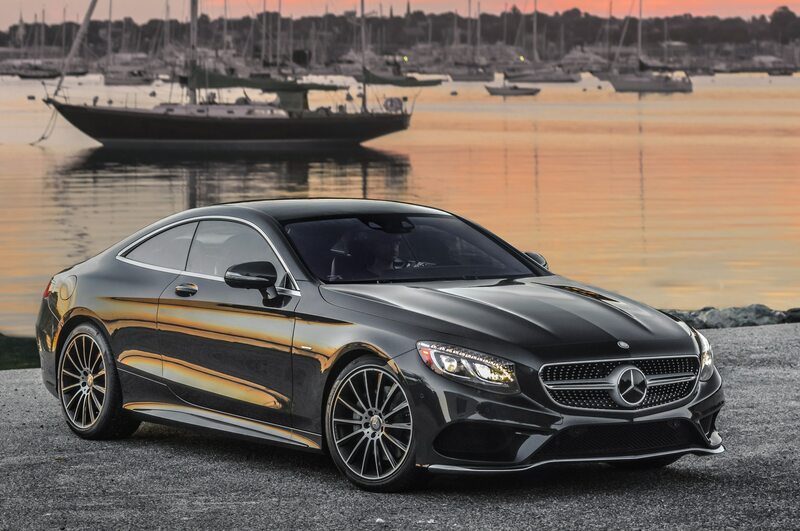 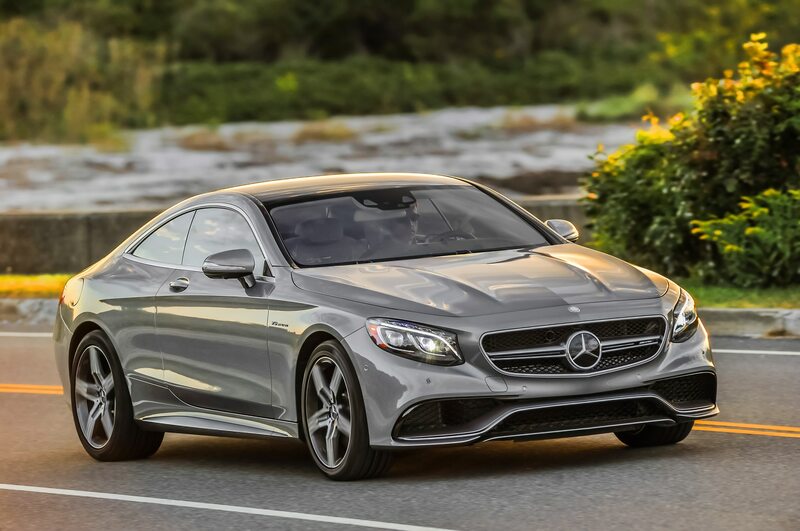 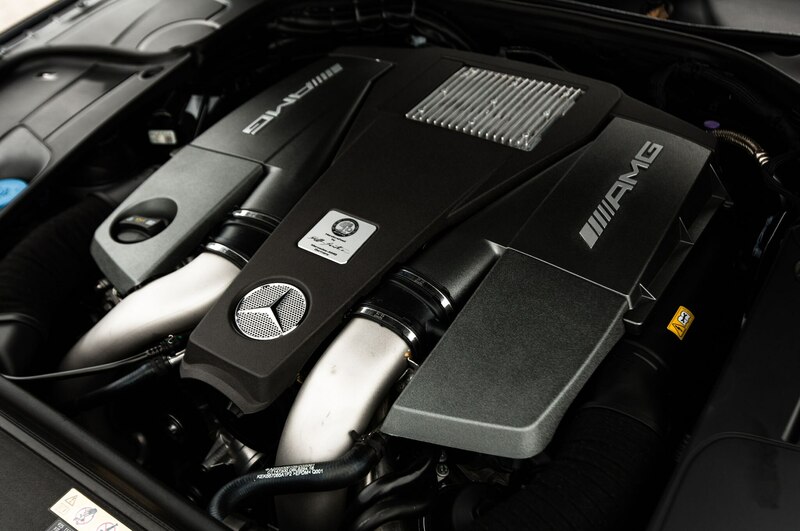 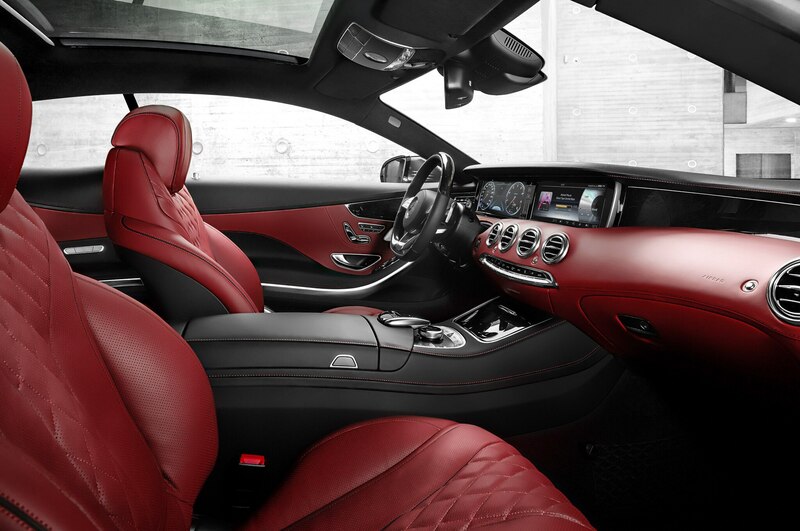 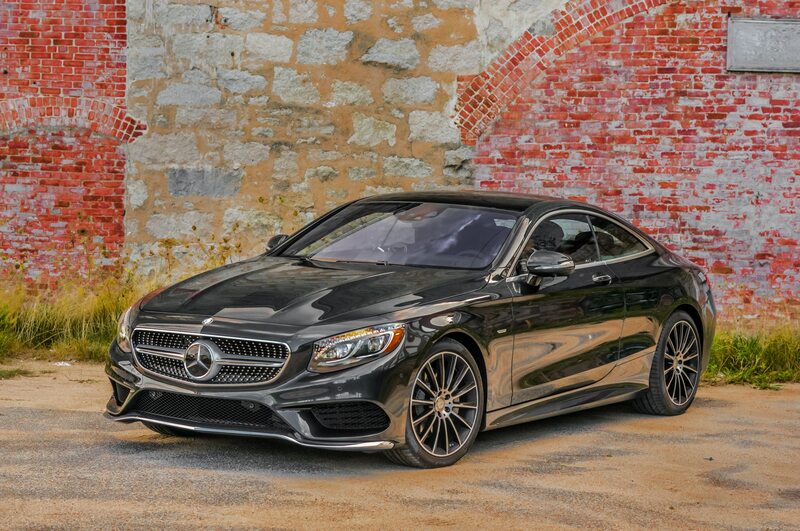 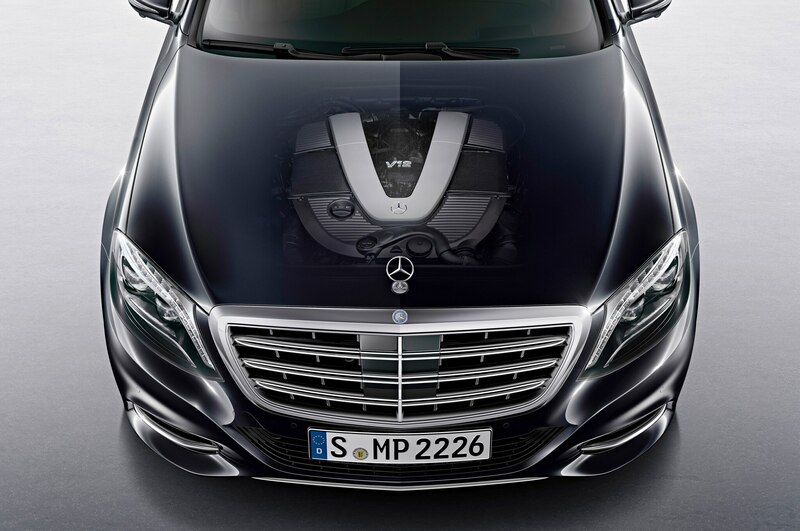 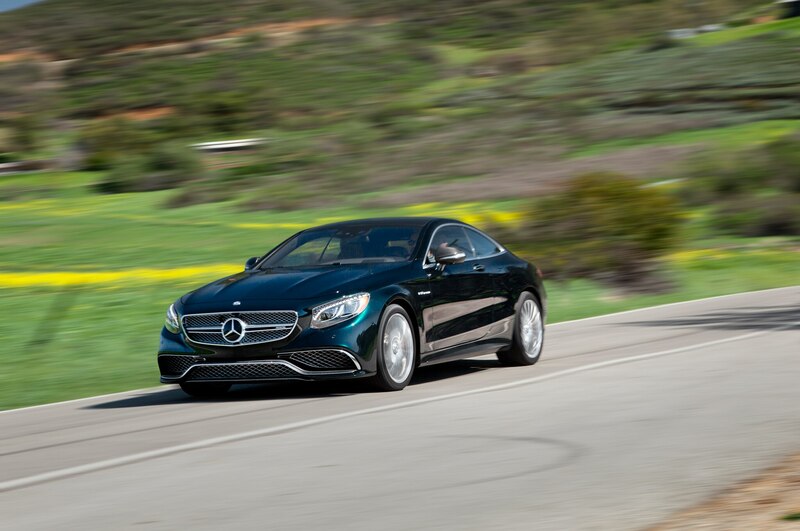 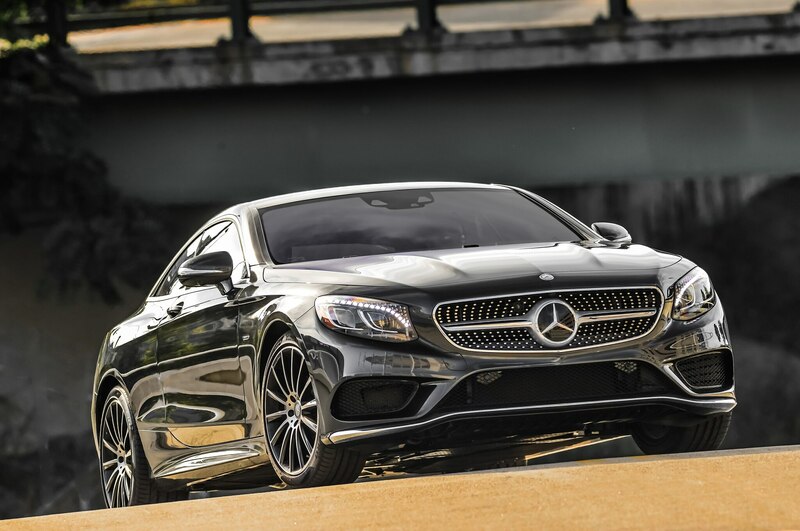 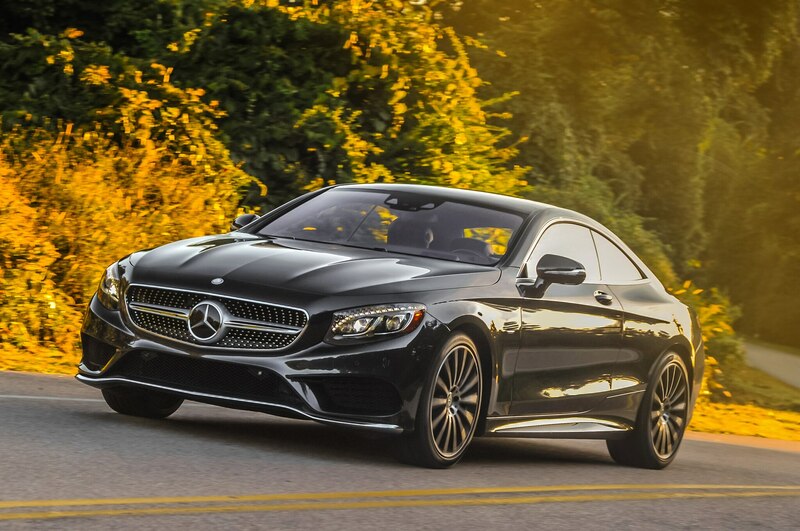 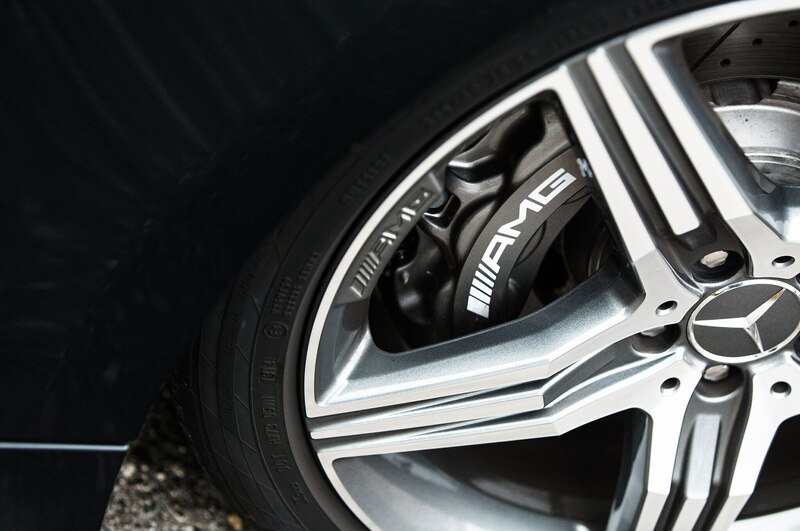 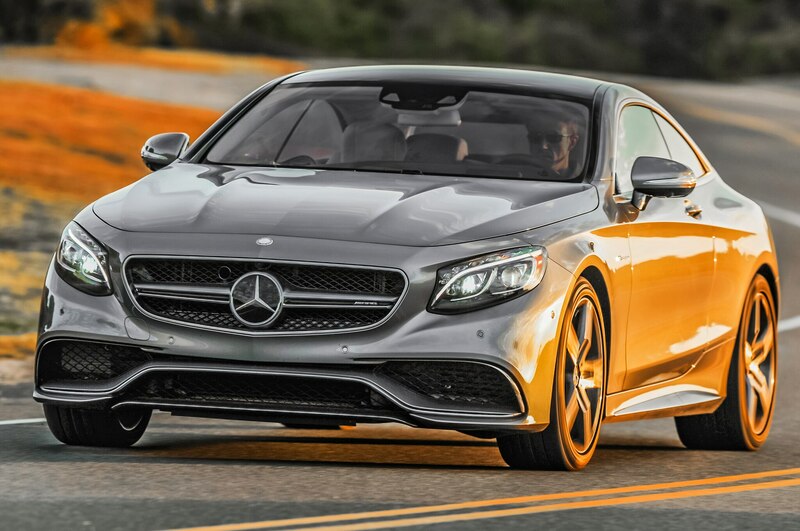 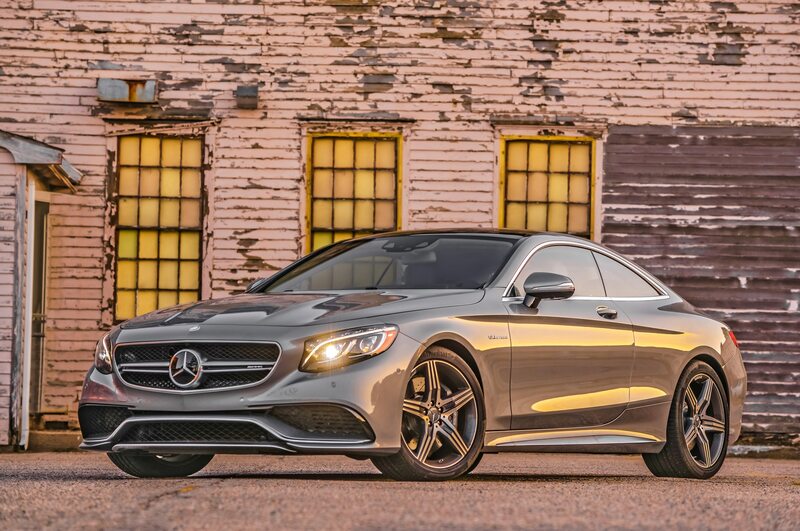 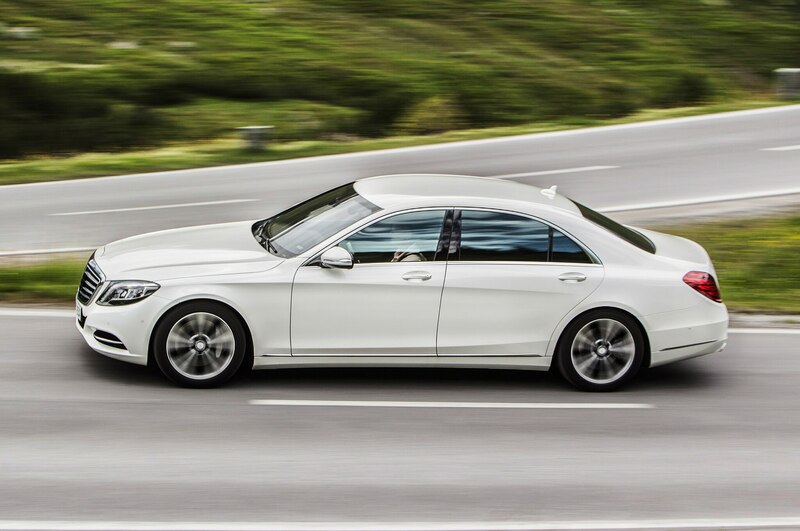 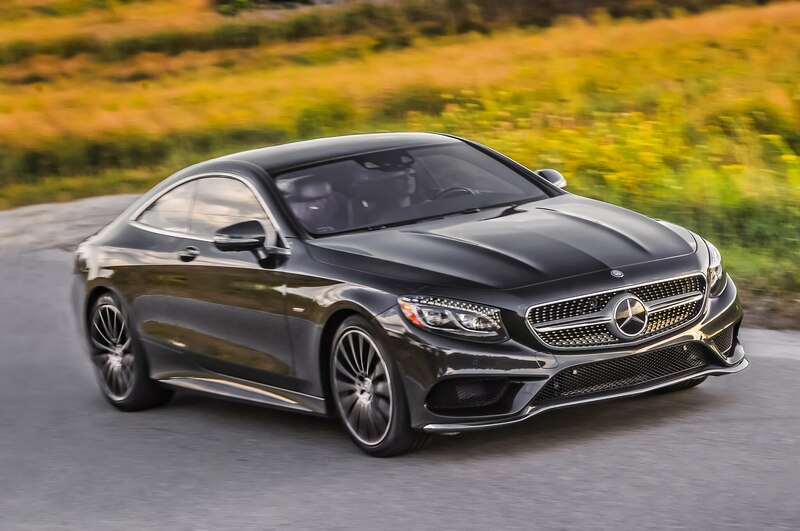 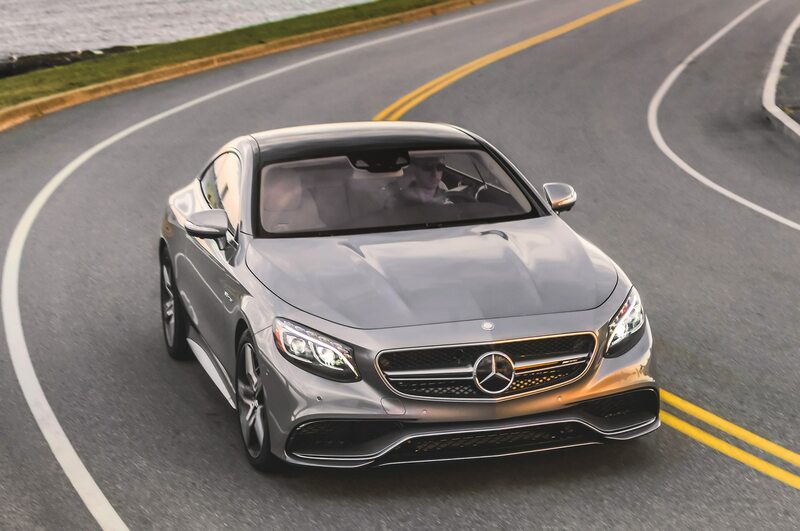 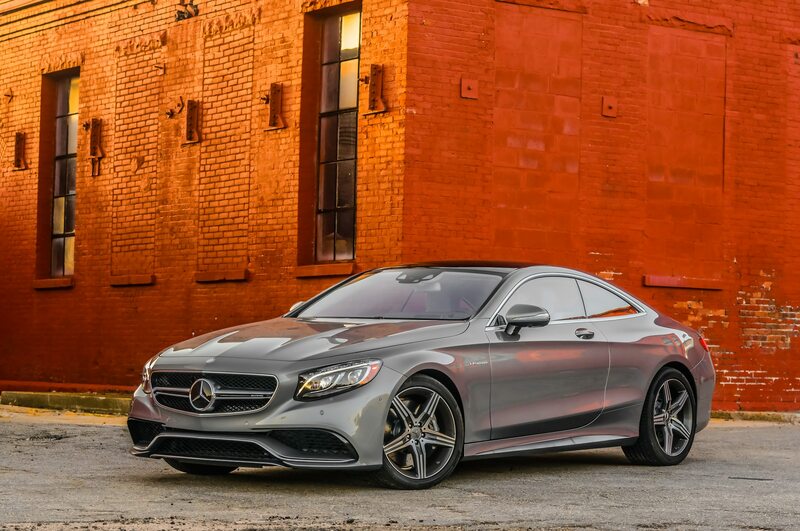 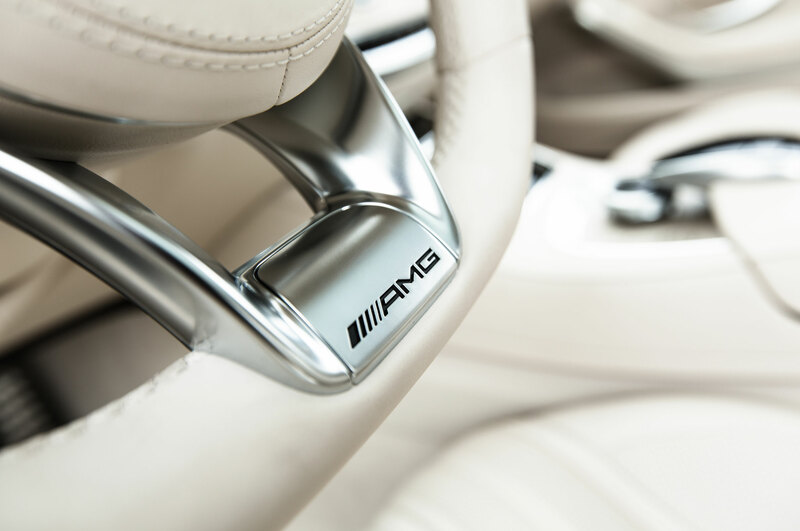 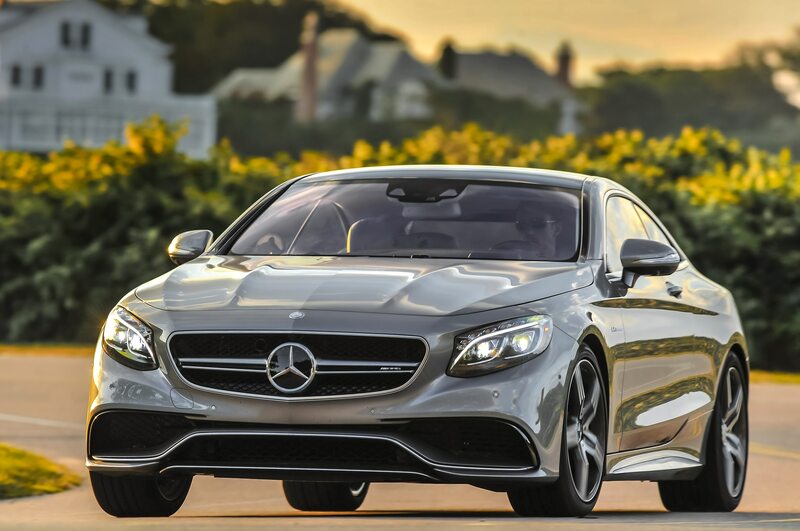 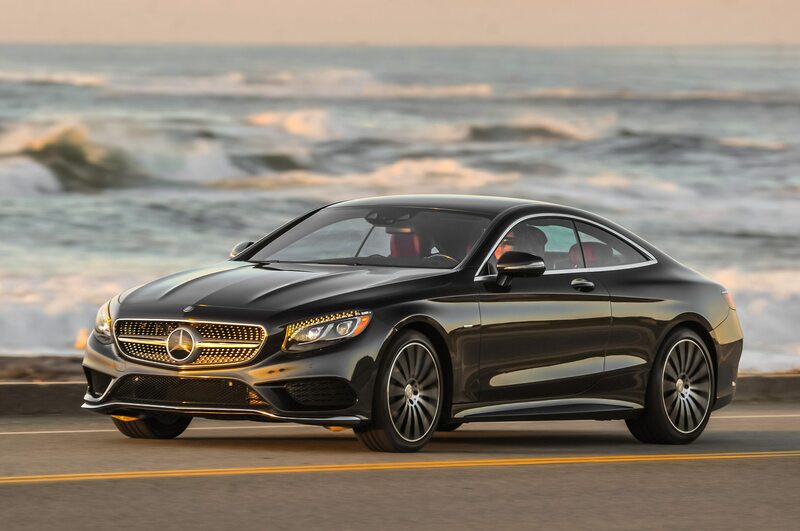 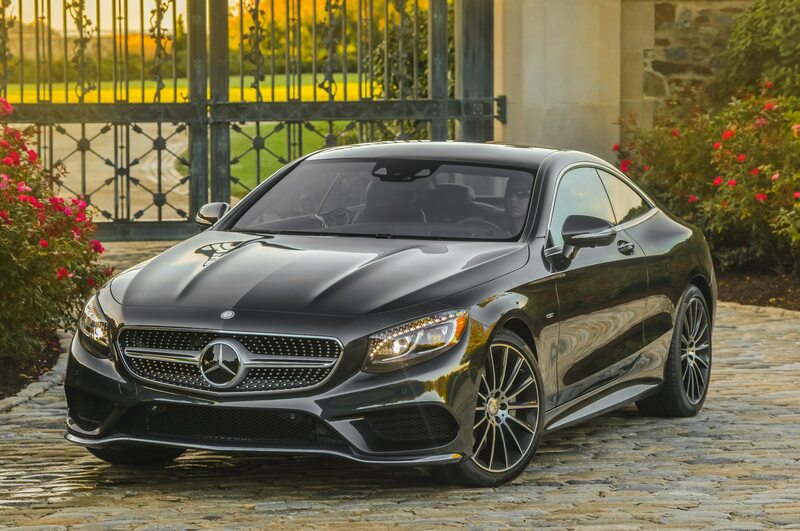 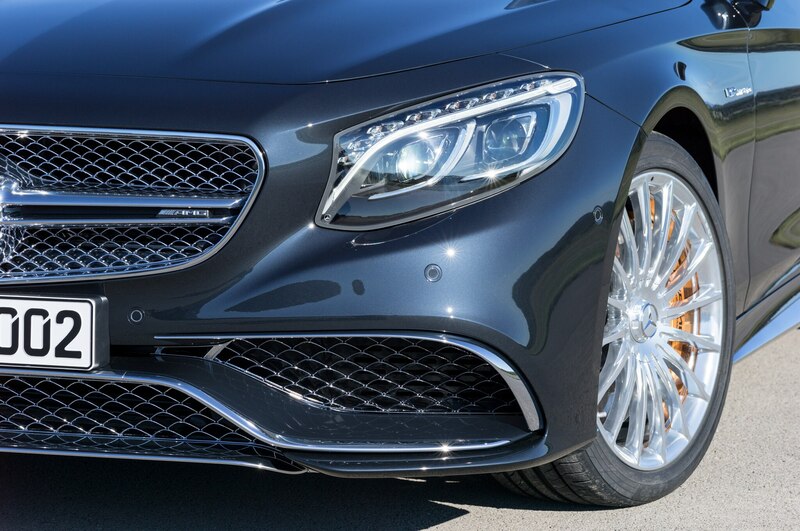 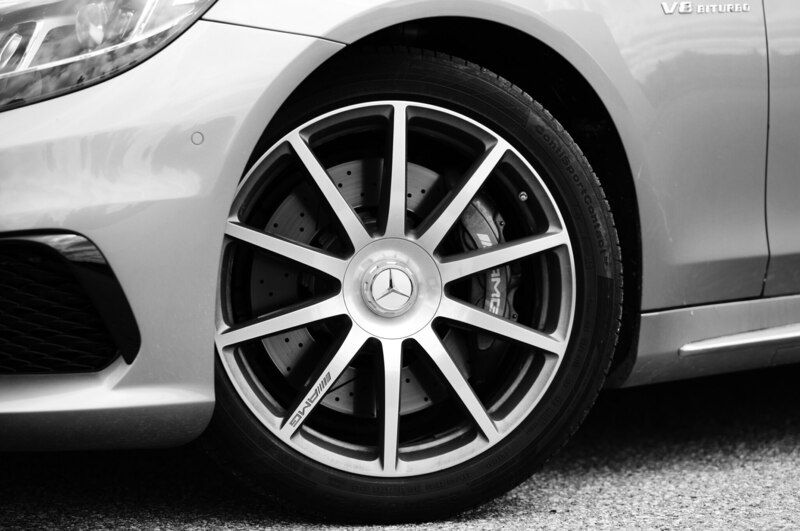 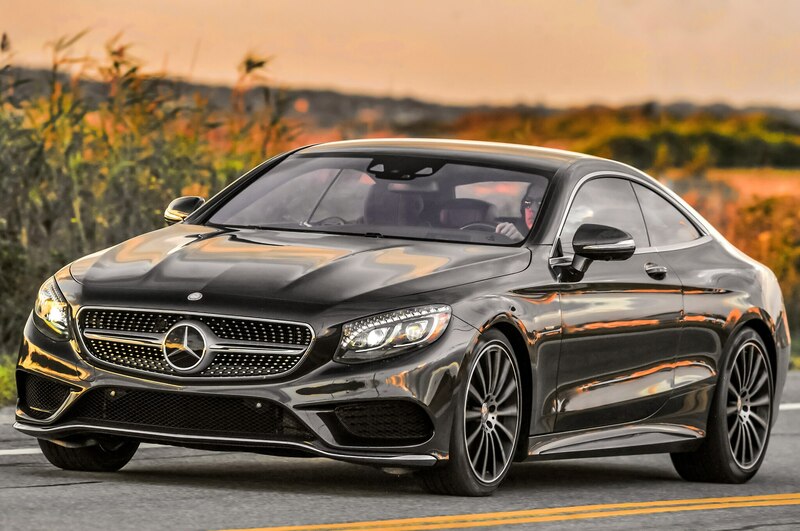 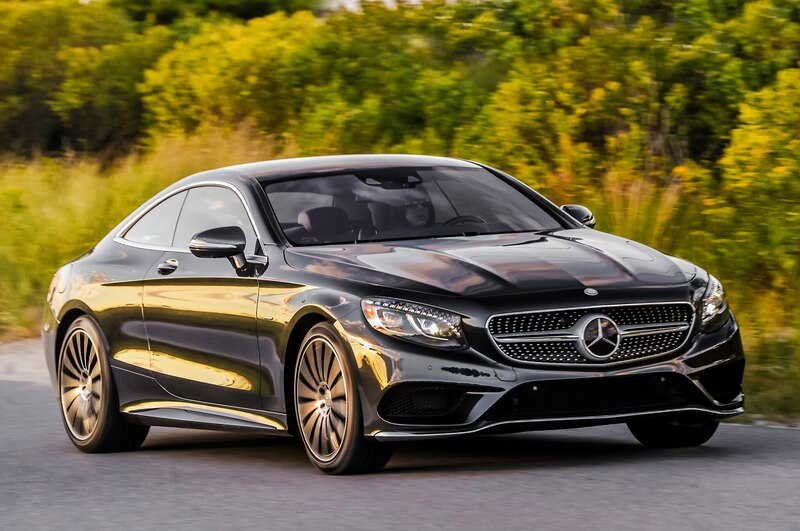 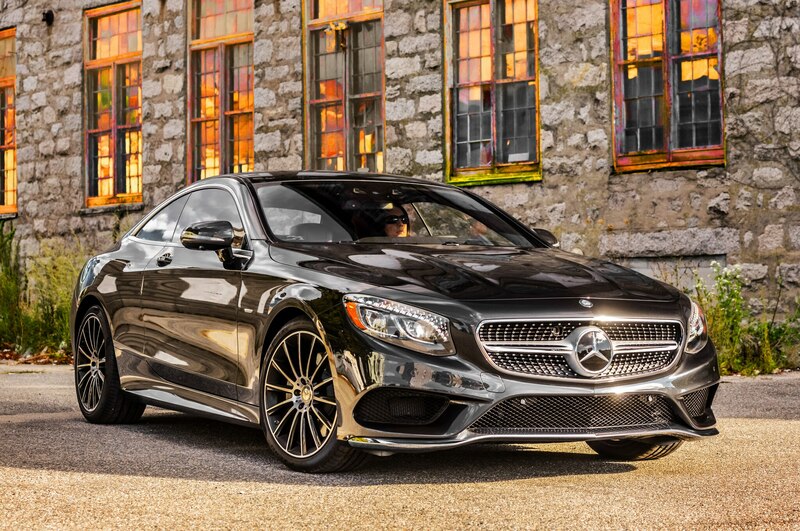 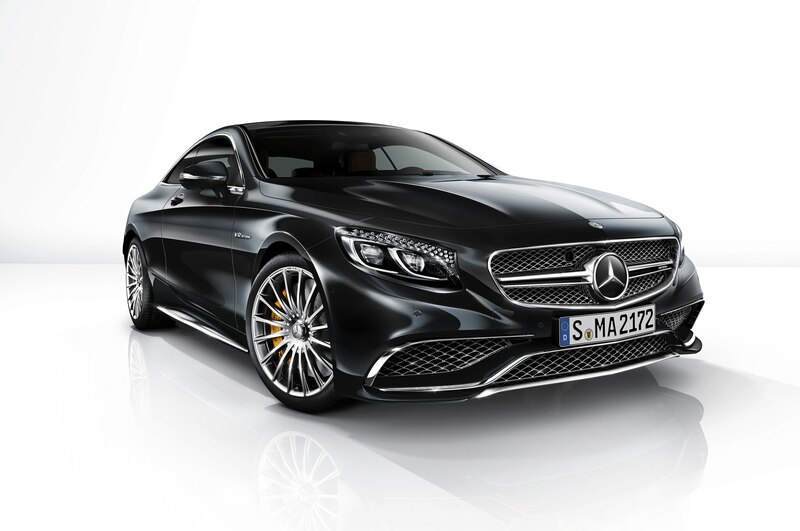 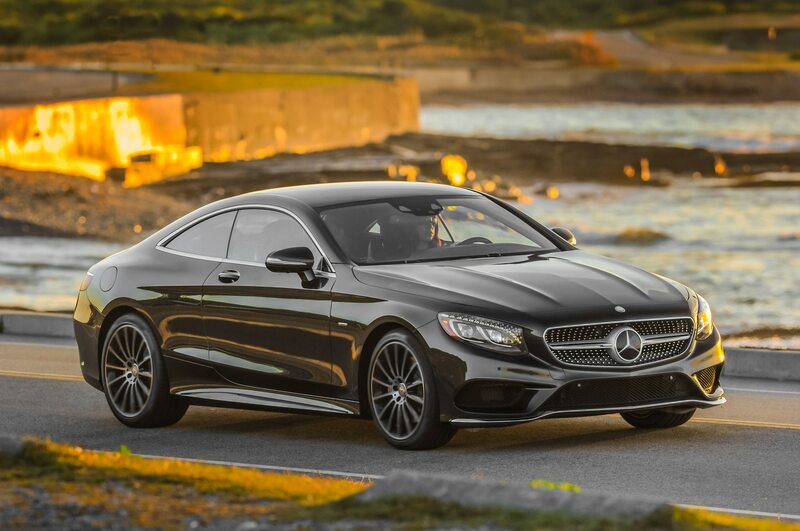 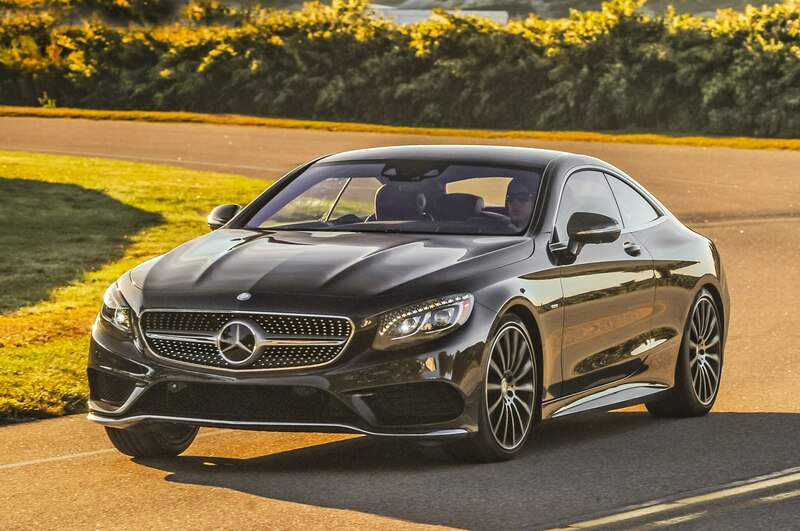 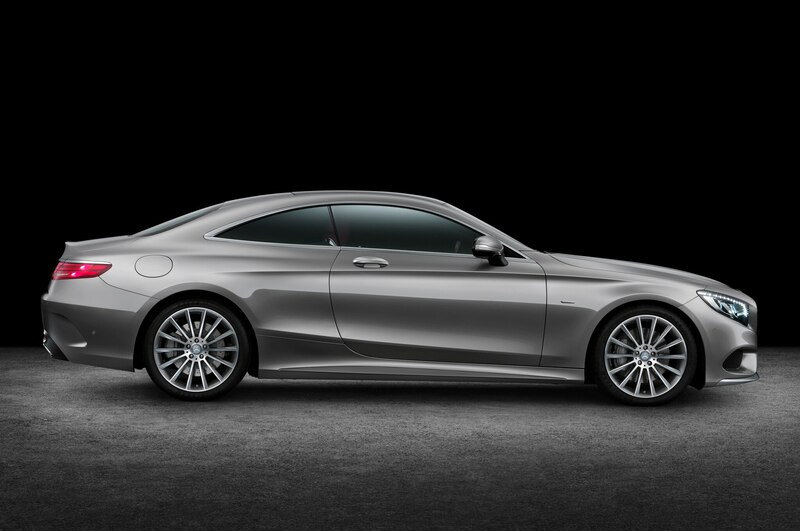 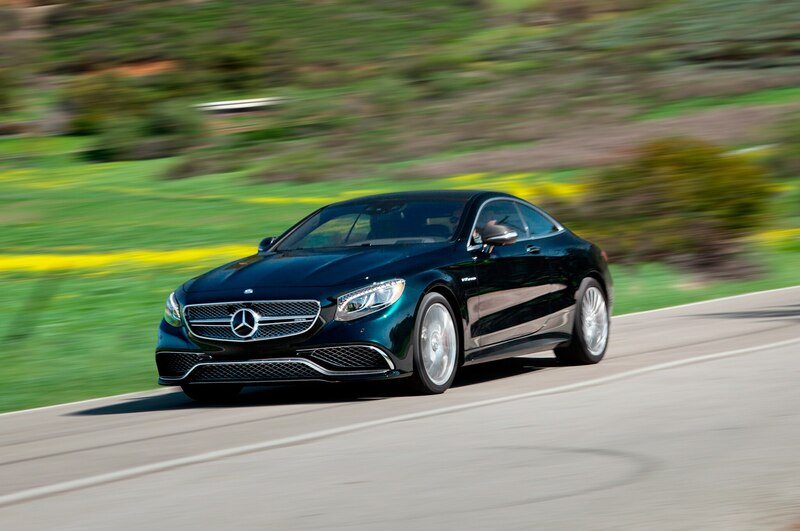 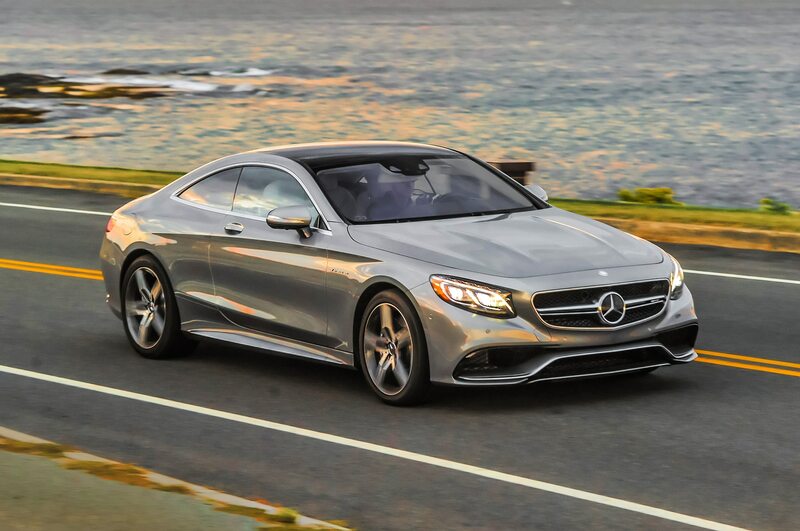 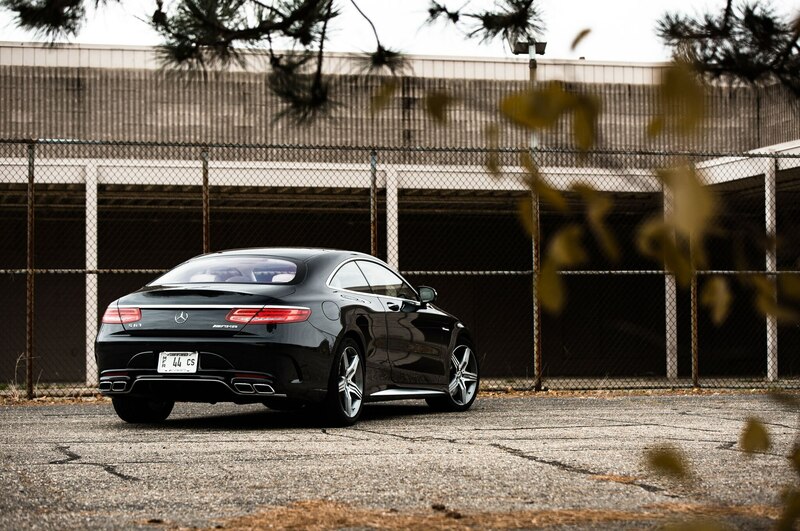 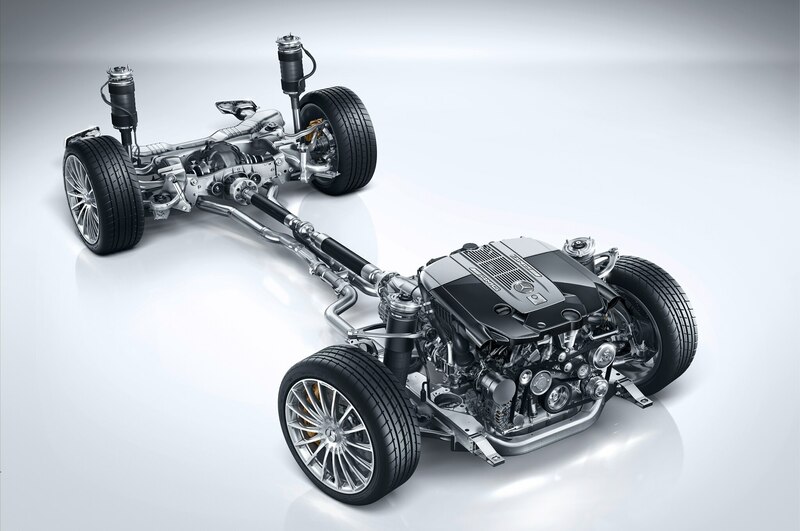 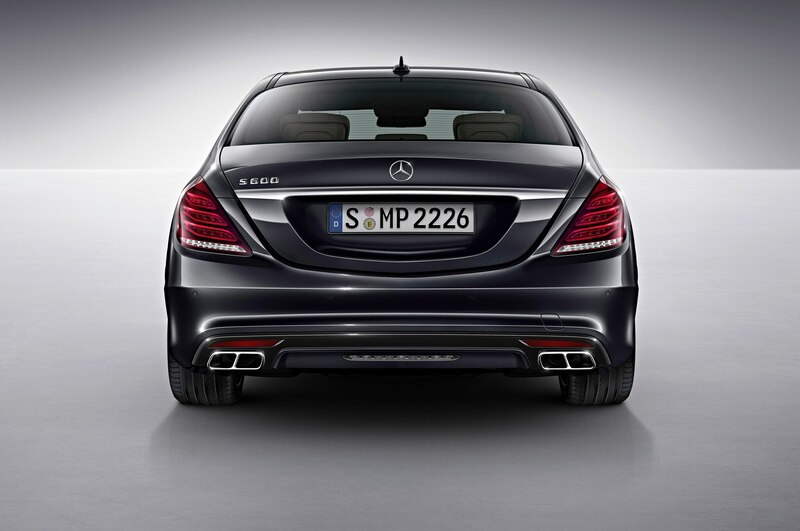 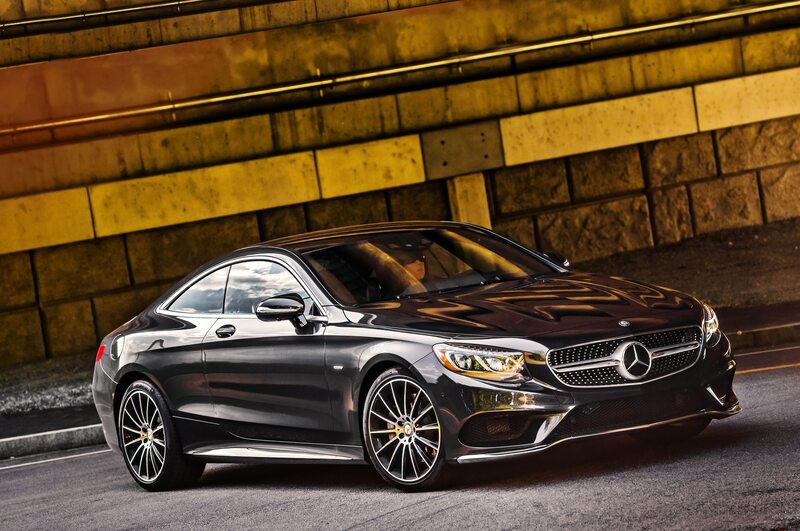 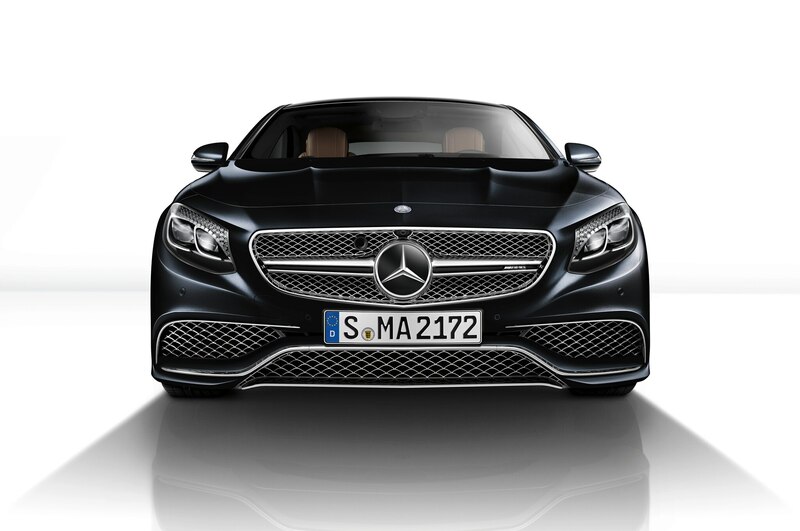 The 2015 Mercedes-Benz S63 AMG 4Matic coupe grabs the ball from your hands and throws a perfect strike. 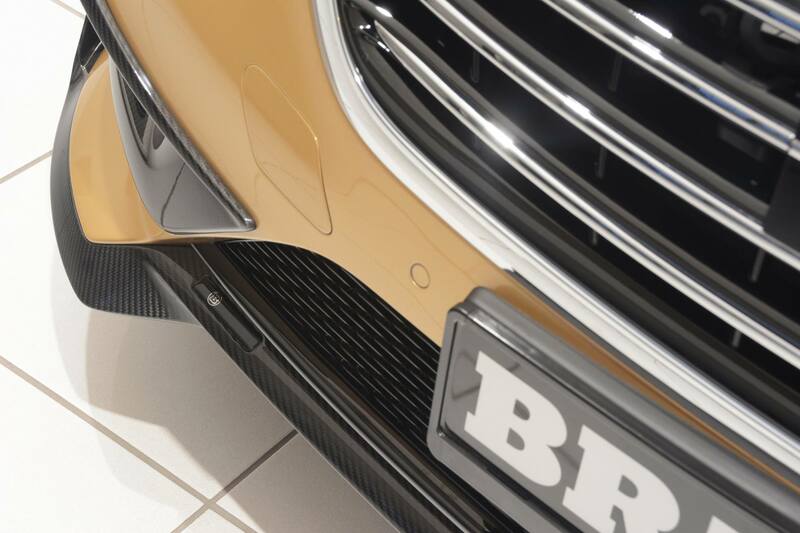 To switch metaphors, it feels less like playing a video game than it feels like cheating at a video game. 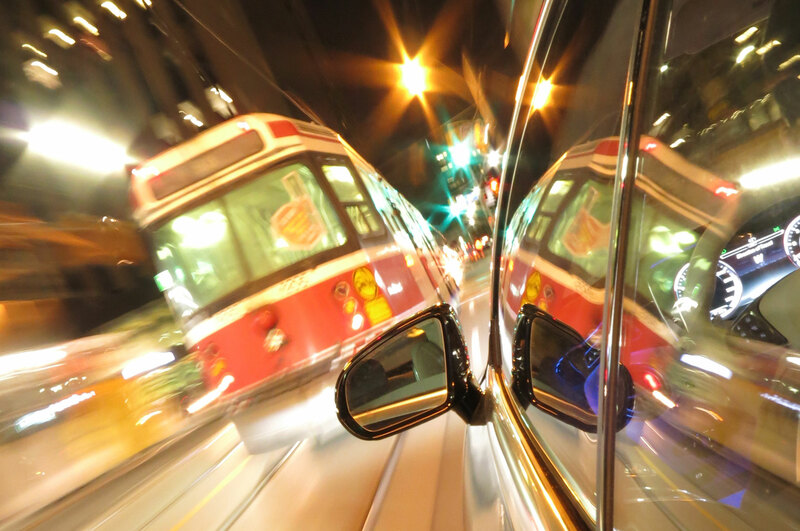 There’s plenty going on in downtown Toronto at night. 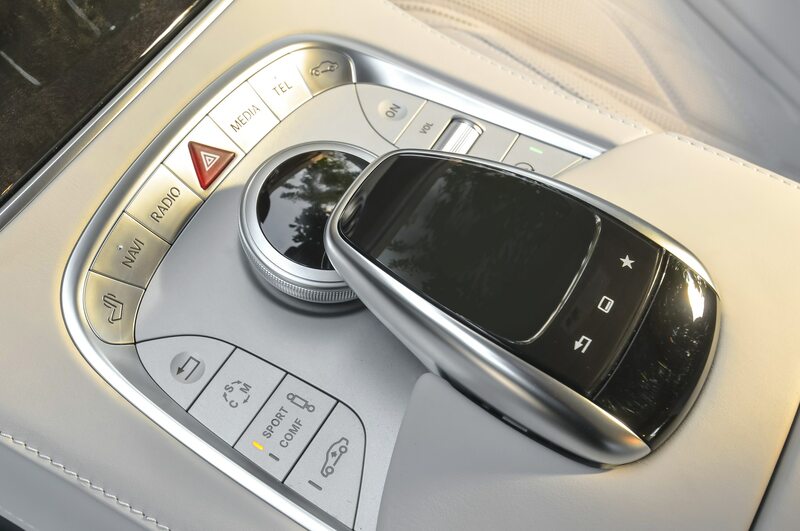 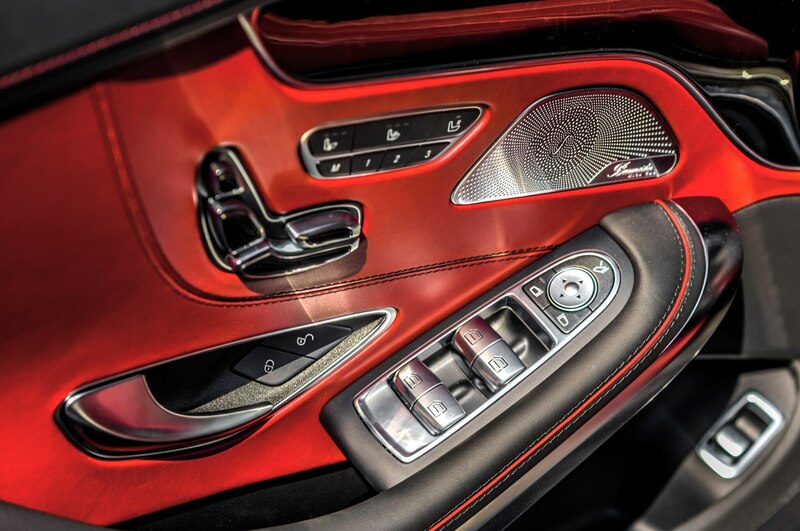 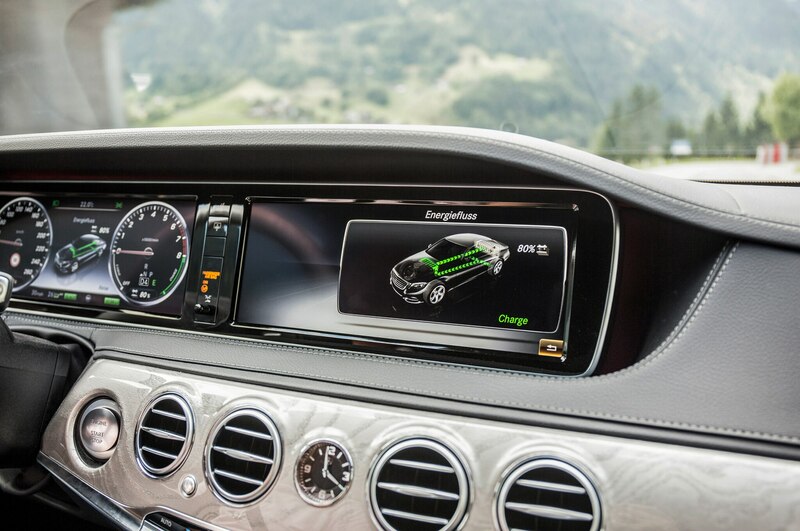 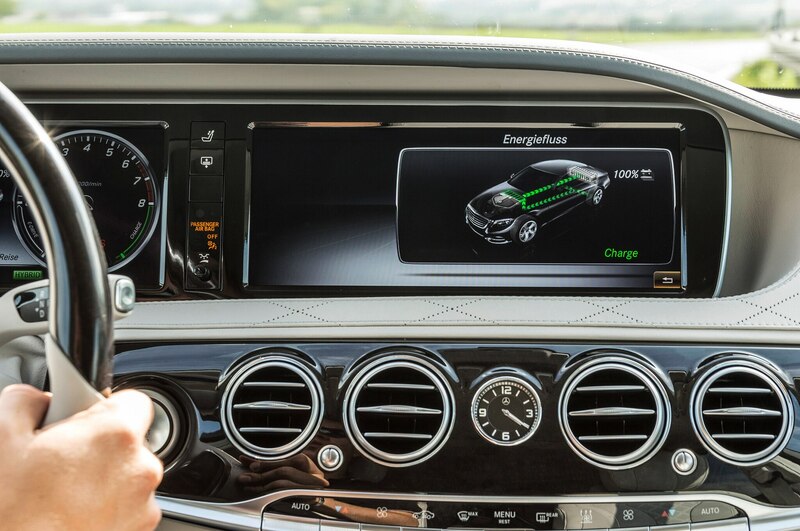 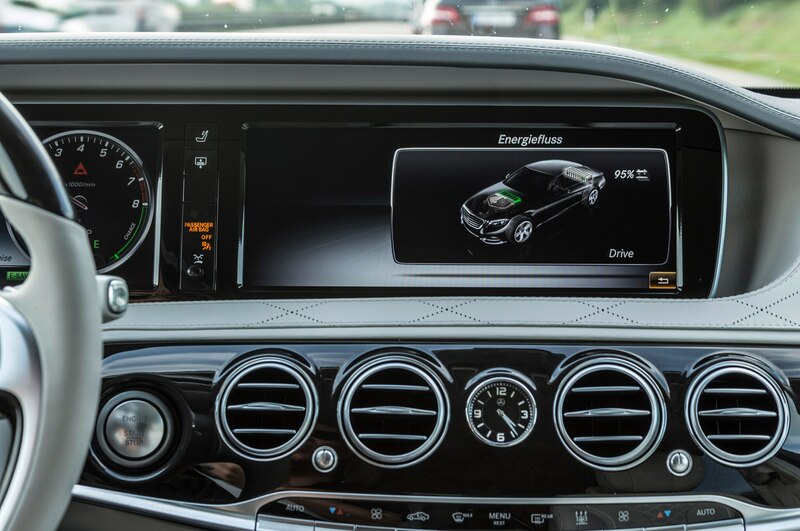 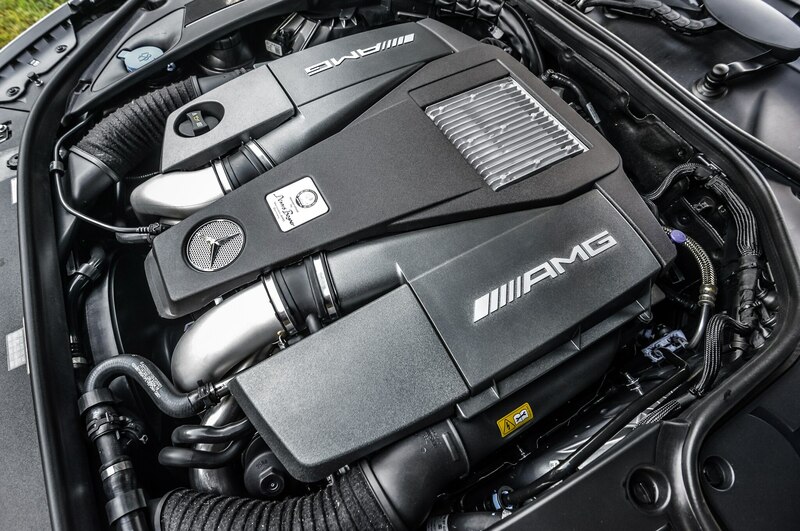 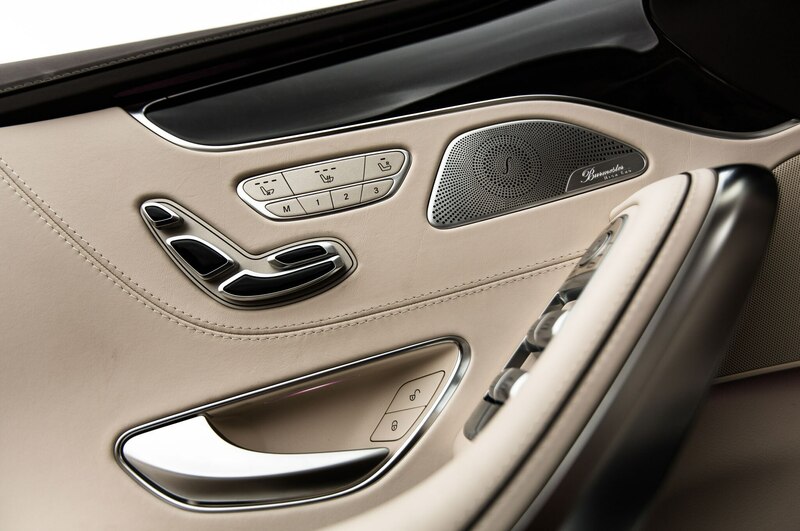 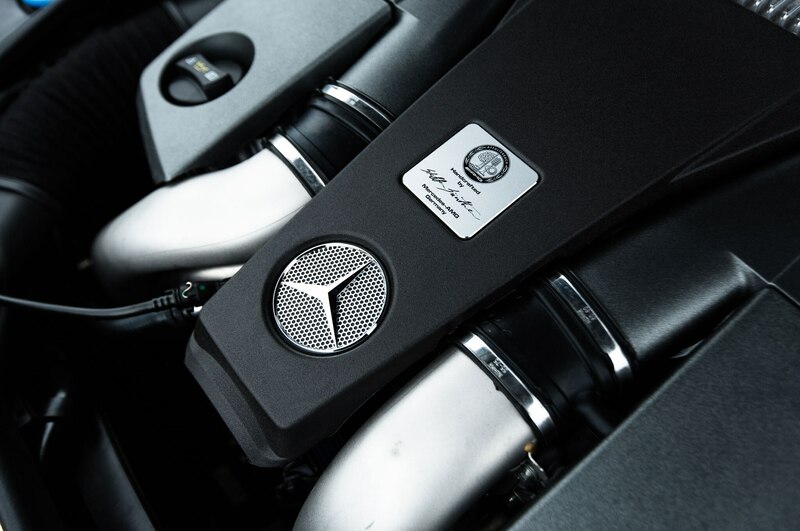 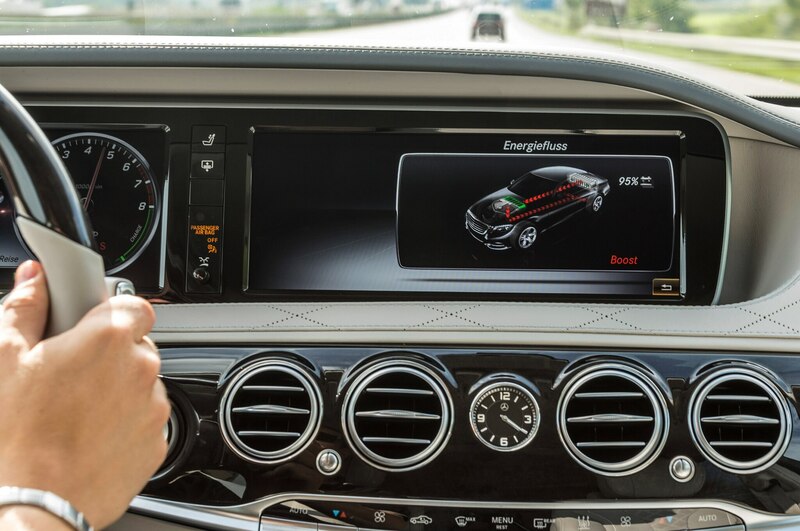 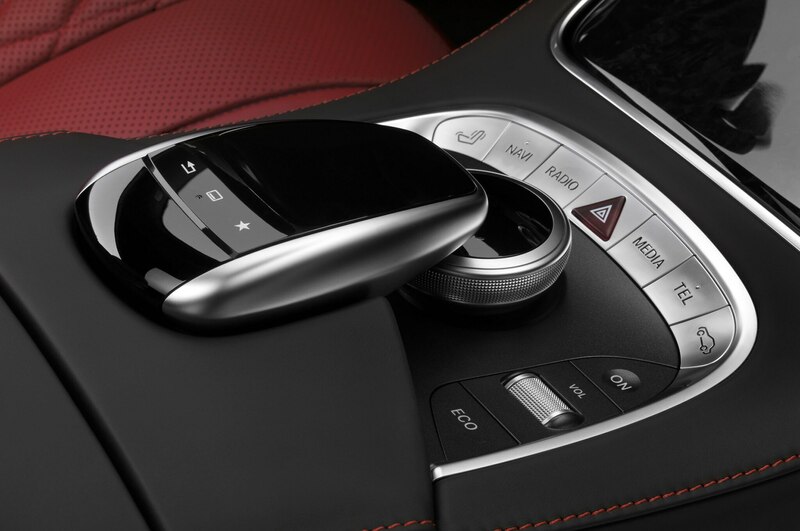 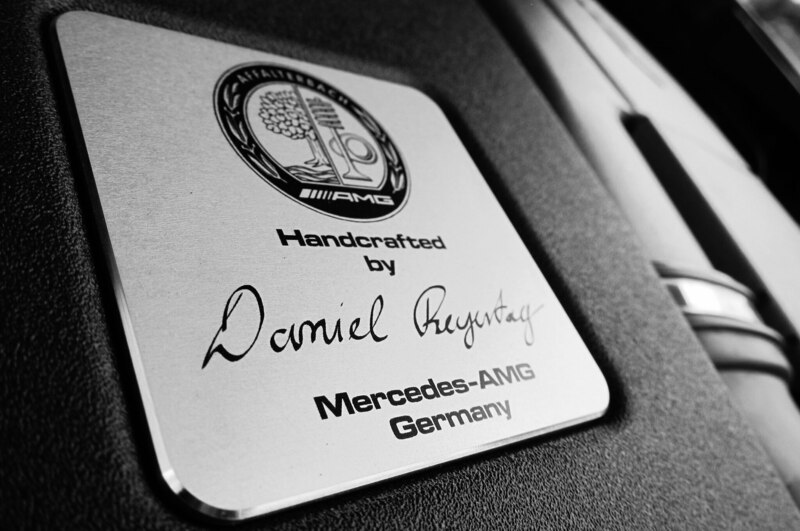 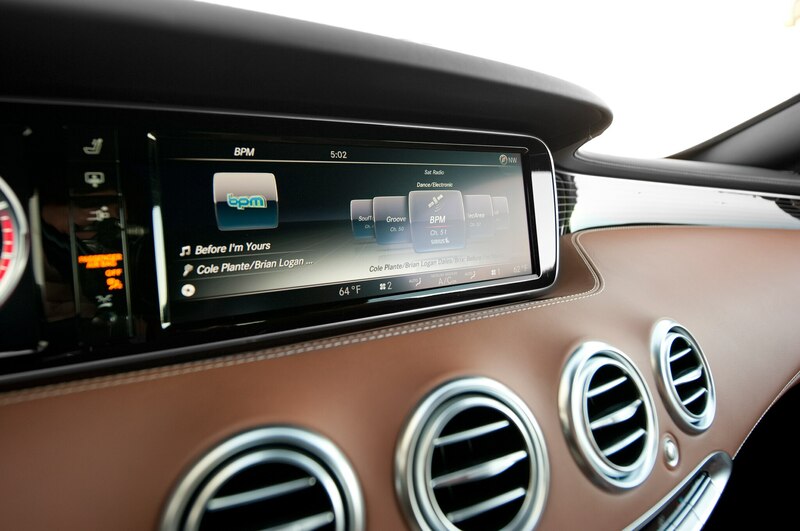 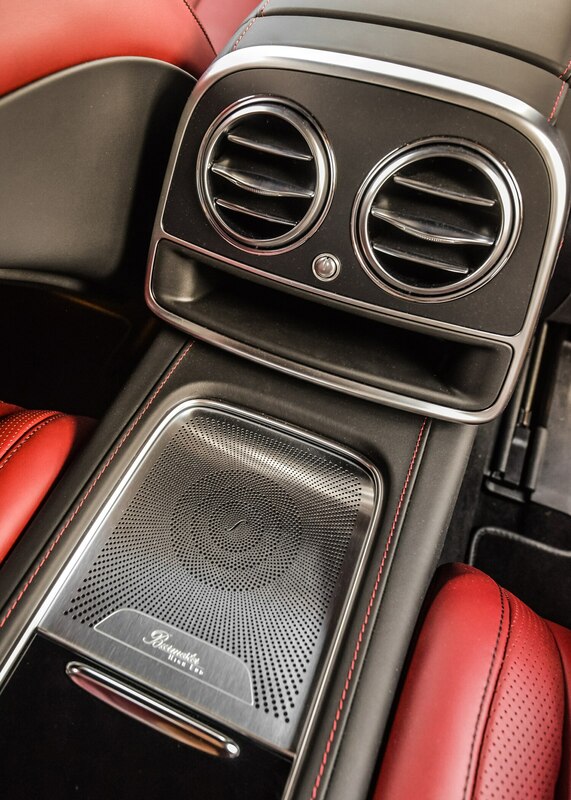 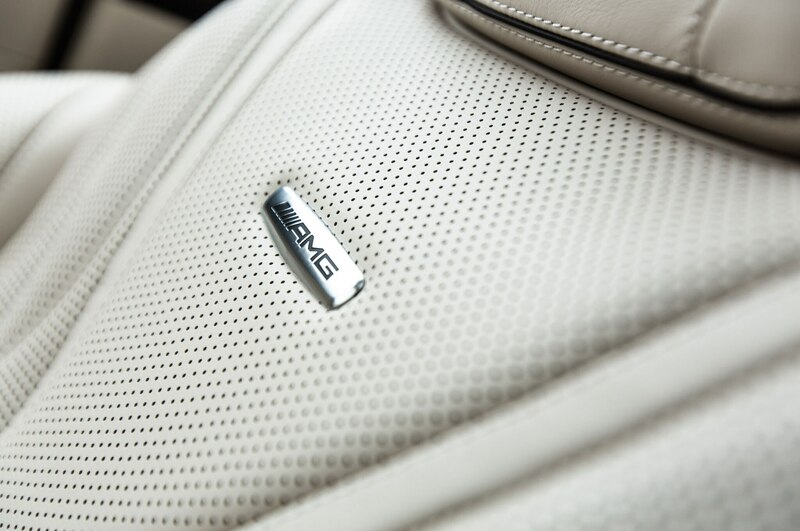 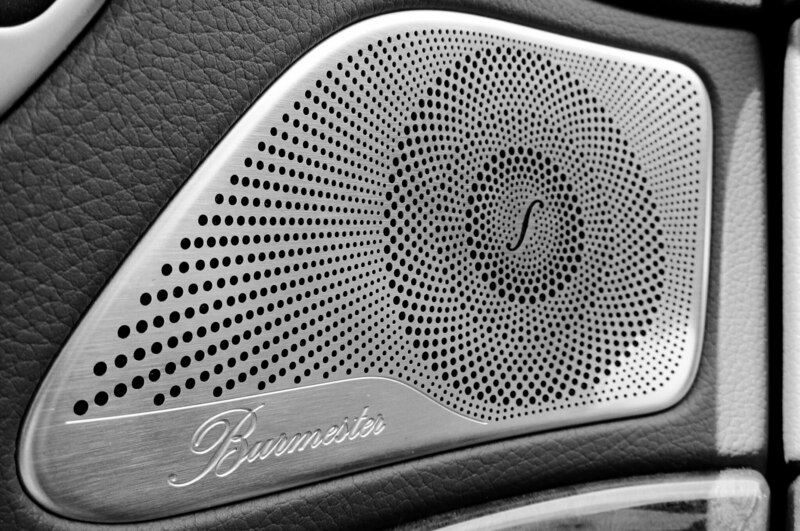 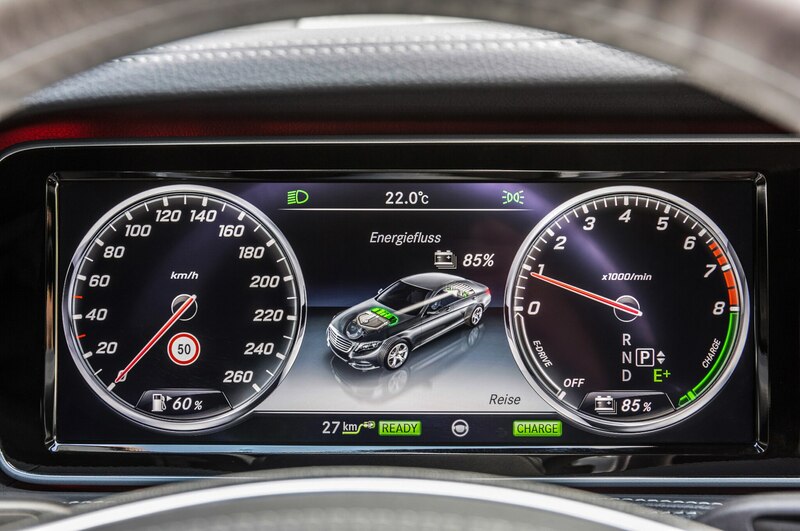 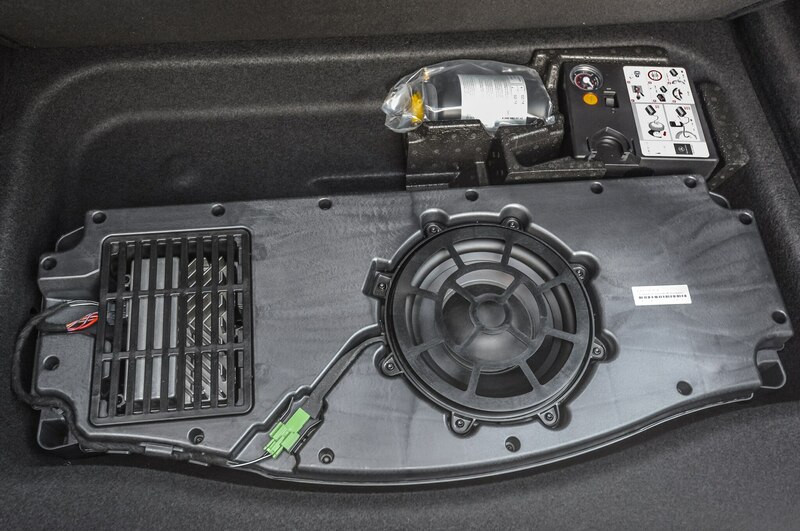 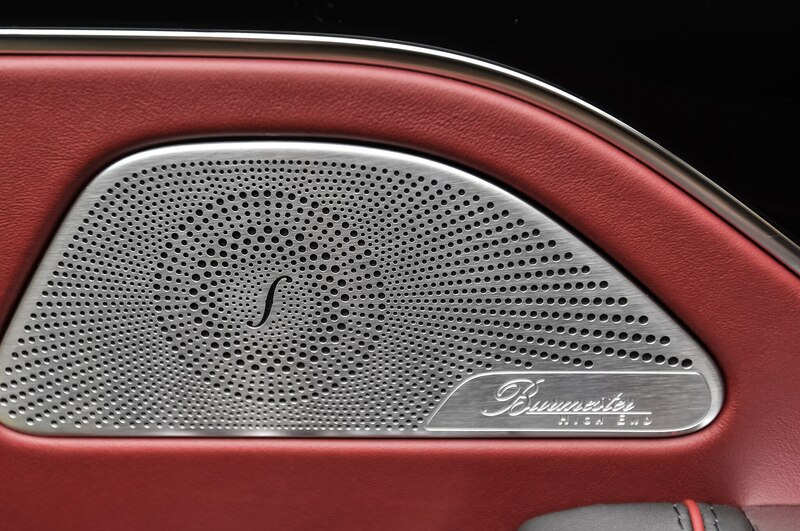 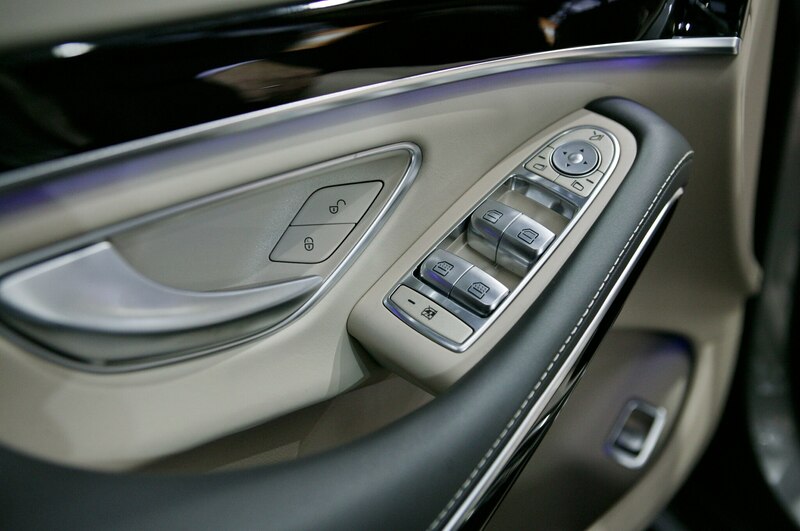 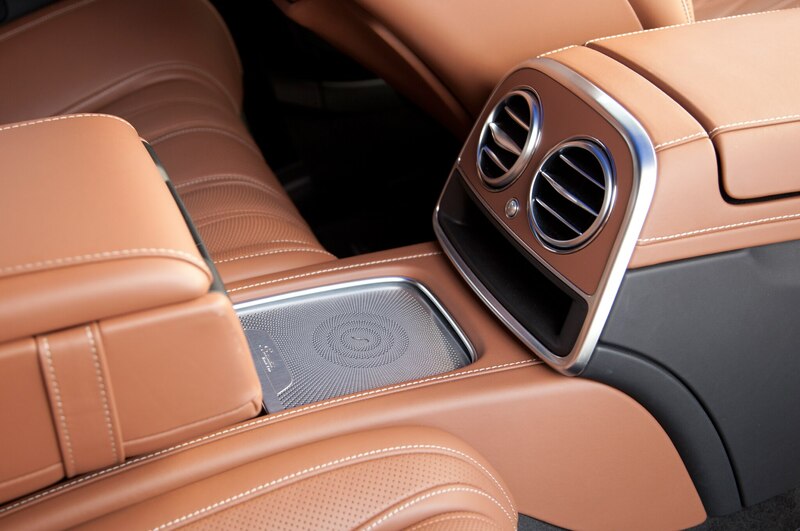 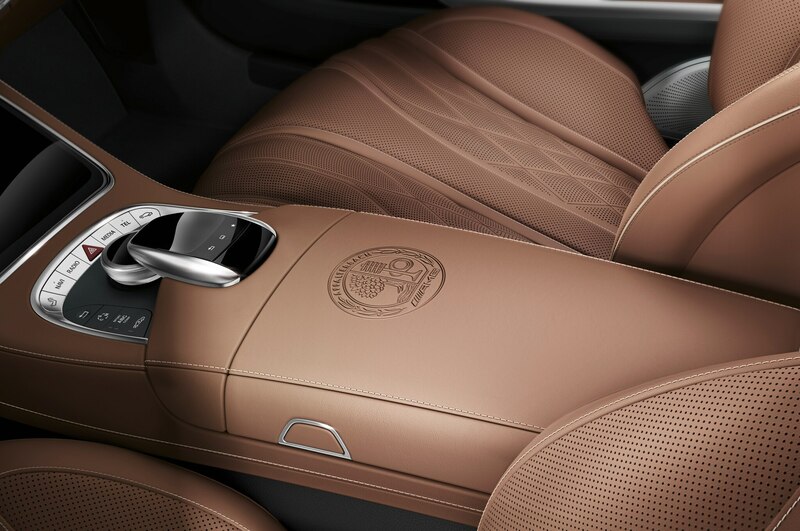 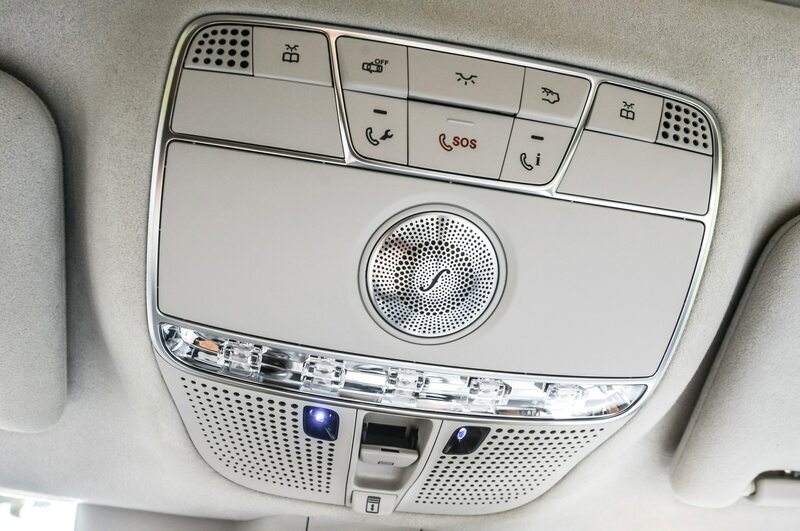 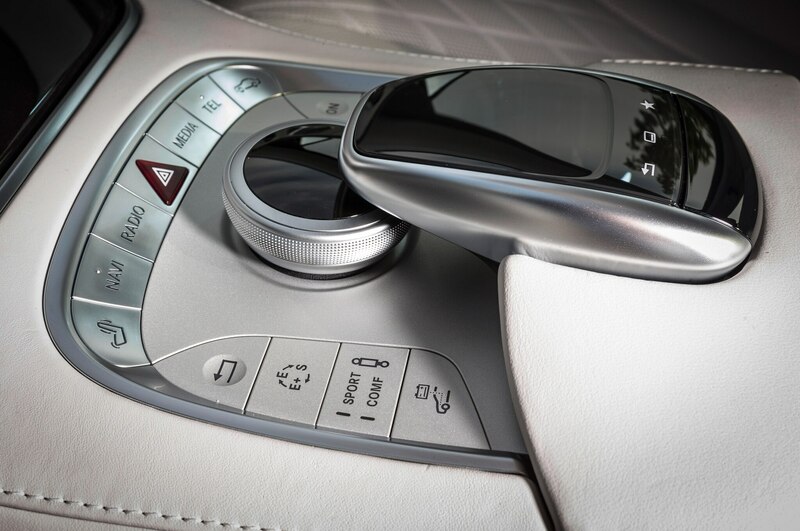 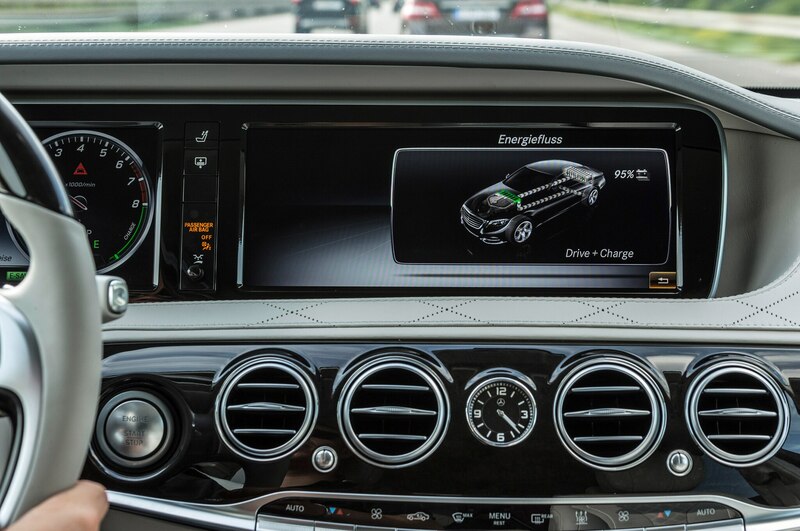 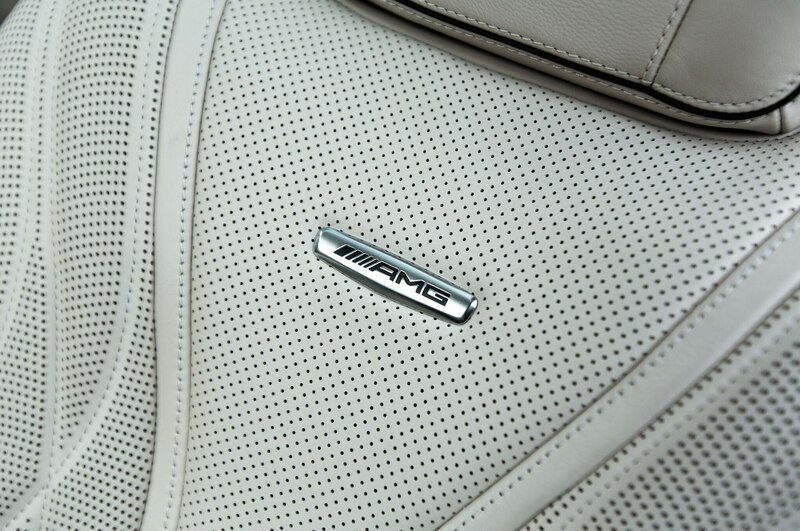 The 2015 Mercedes-Benz S63 AMG 4Matic coupe’s electronics have ways of reminding me they’re in charge. 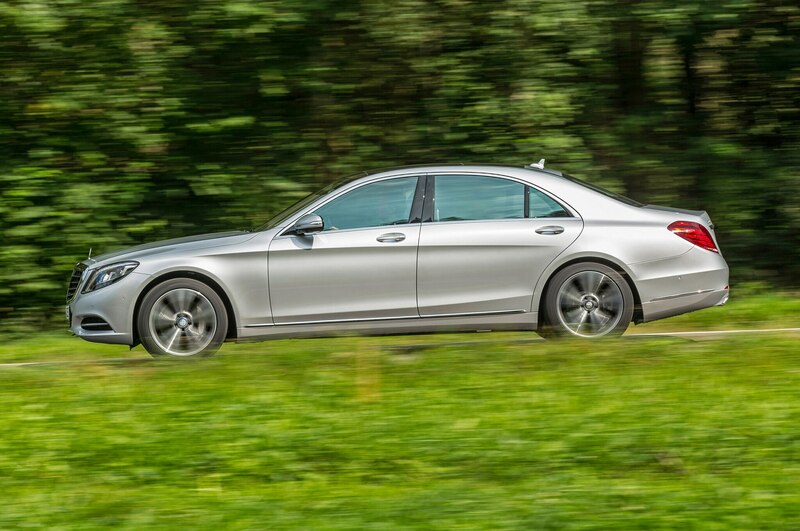 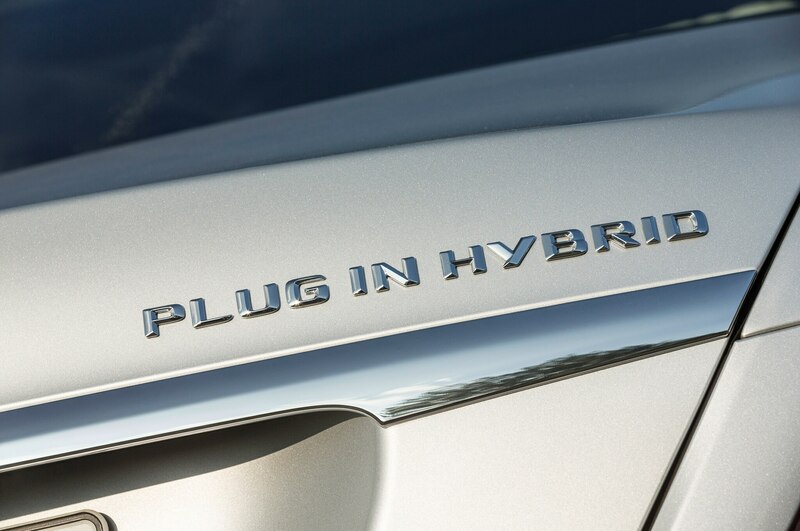 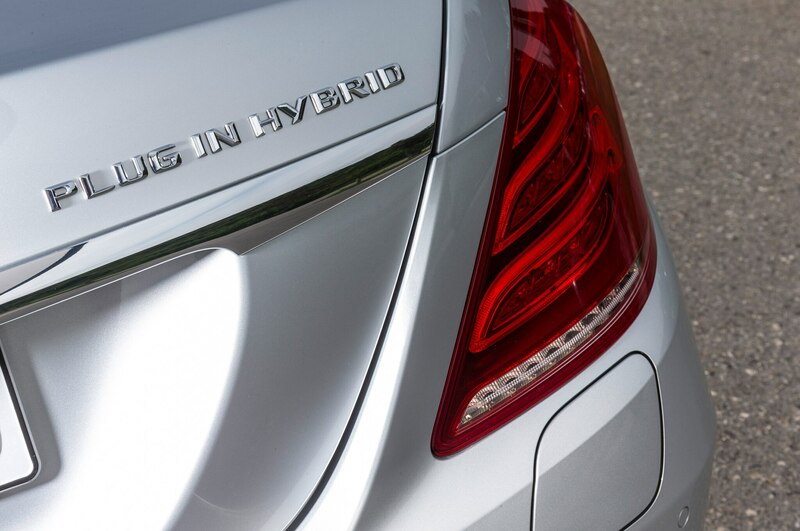 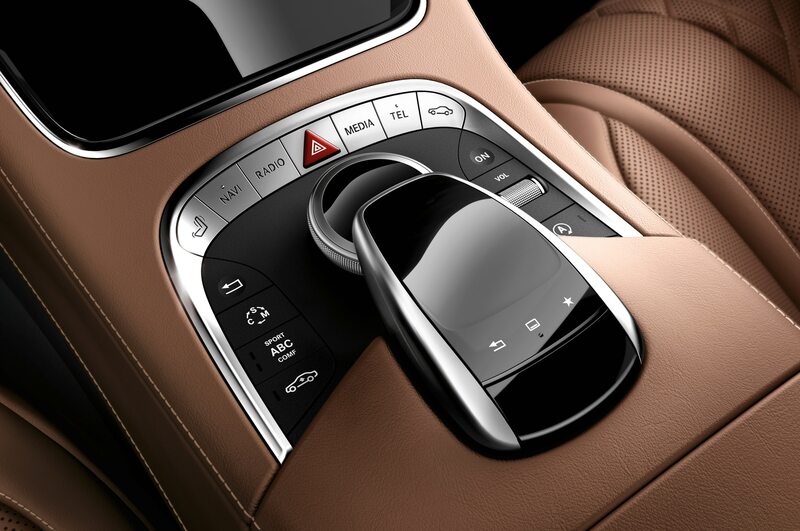 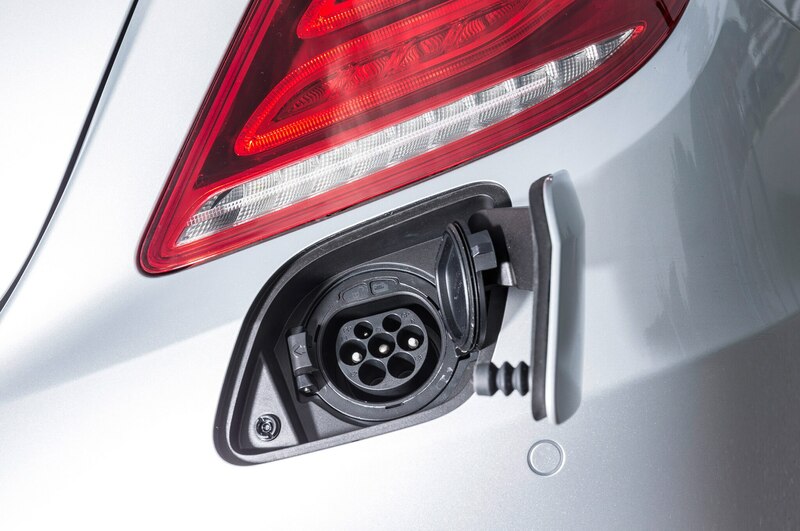 Cruising along in Eco mode, the seven-speed automatic hesitates perceptibly before serving up downshifts. 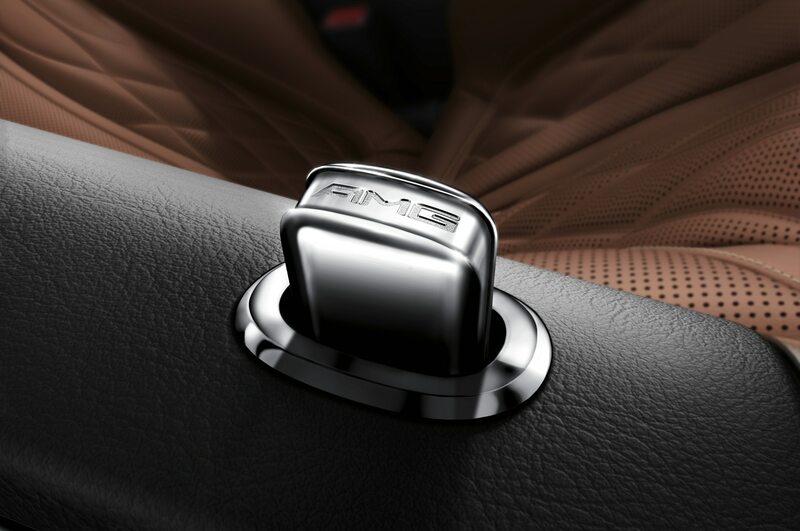 I learn to leave it in thirstier but more responsive Sport mode. 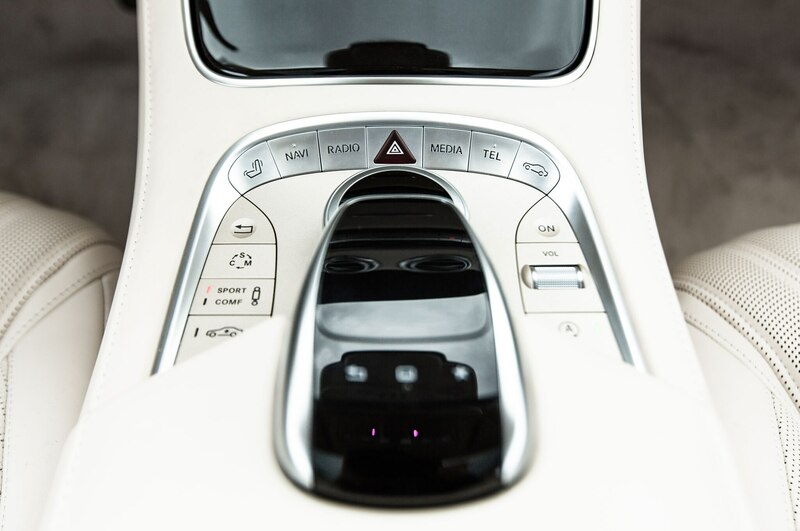 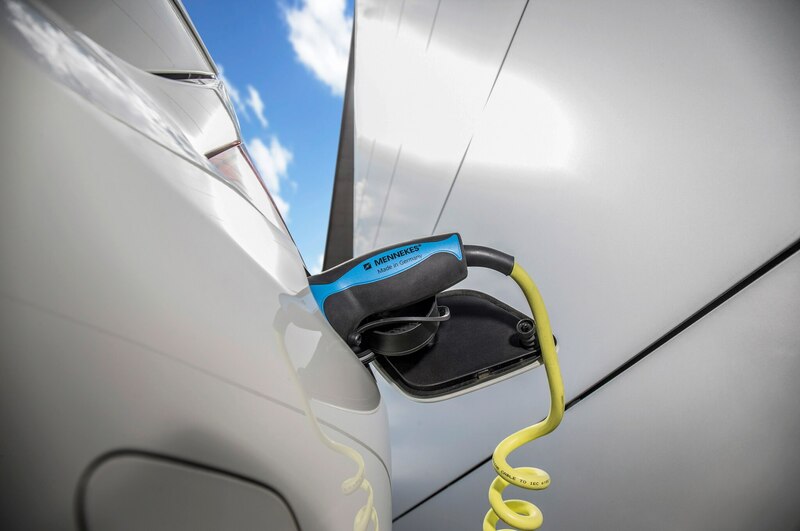 The steering, which relies on electric power assist for its autonomous feats, feels unnaturally weighted just off center. 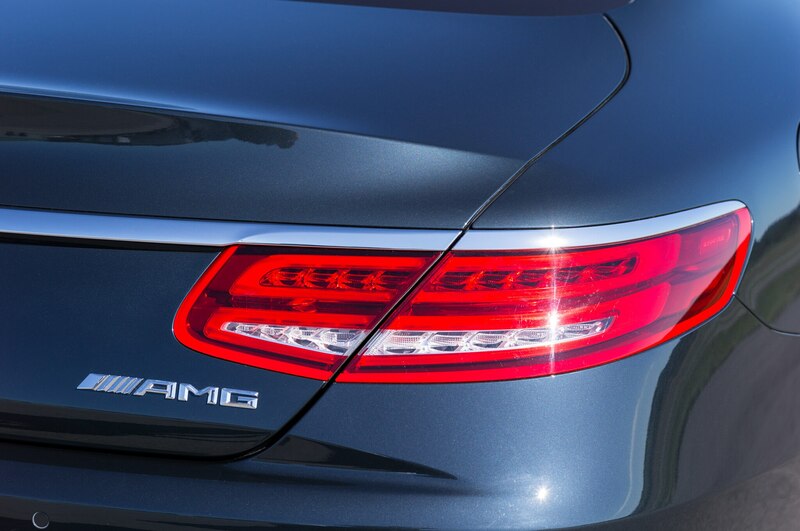 I assert my animal authority by flexing my right calf muscle and plunging forward into the darkness. 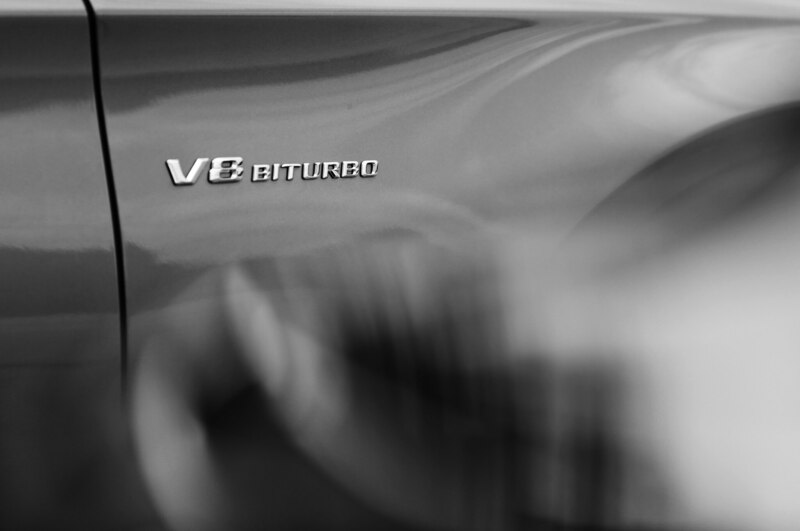 I ride a wave of torque (664 lb-ft!) 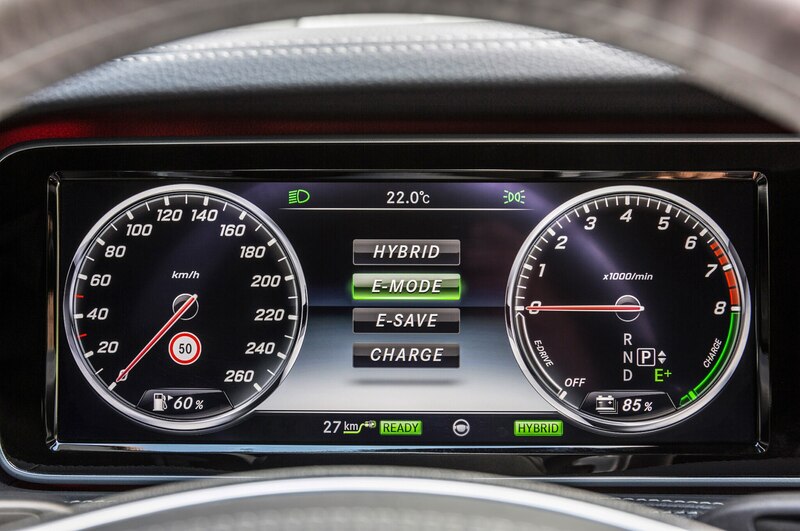 past 200 kph. 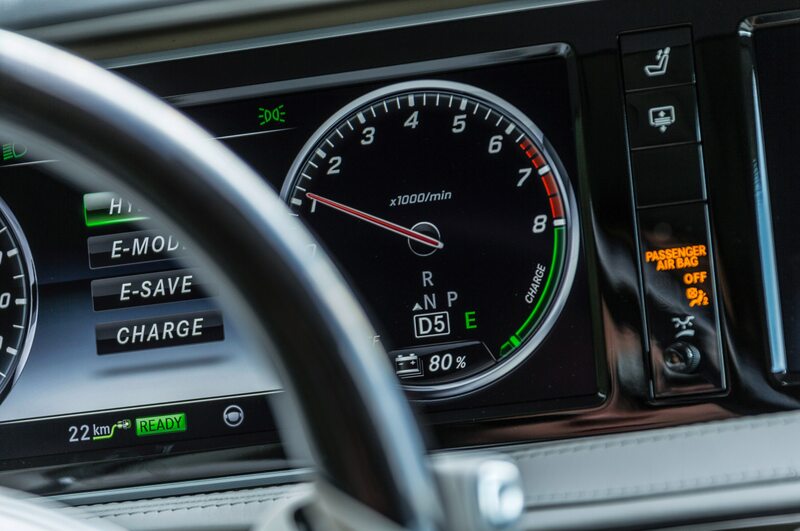 This feels like the proper cruising speed for my personal jet, and I’m tempted to plunge toward the electronically limited at a lofty 300 kph. 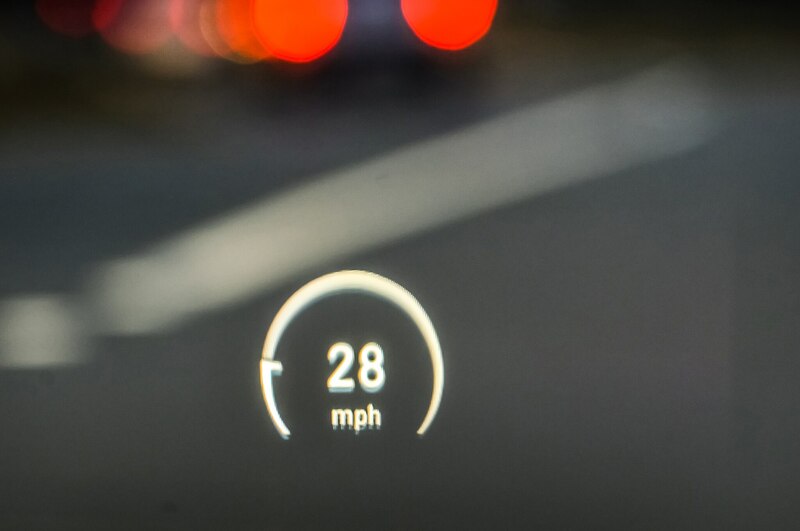 Alas, that’d be triple the posted limit, so I instead stand on the brakes as I wind first through London, Ontario, and then, a few hours later, into the outskirts of Toronto. 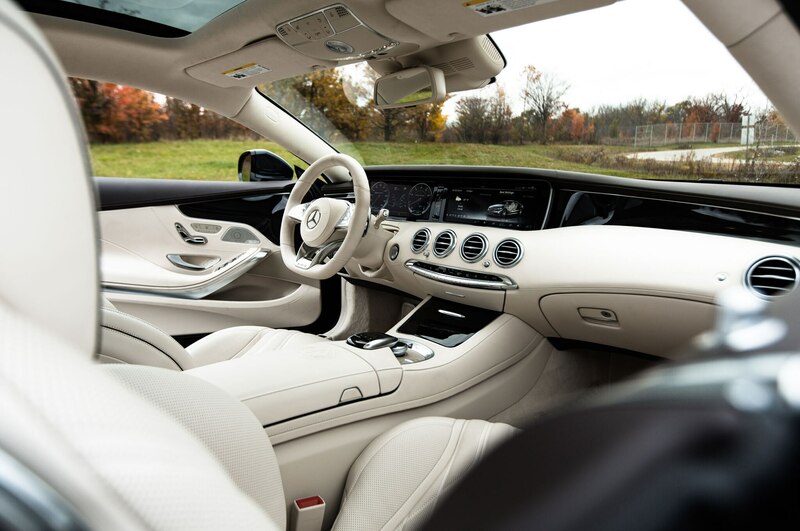 Driving into a big city feels like discovering a civilization. 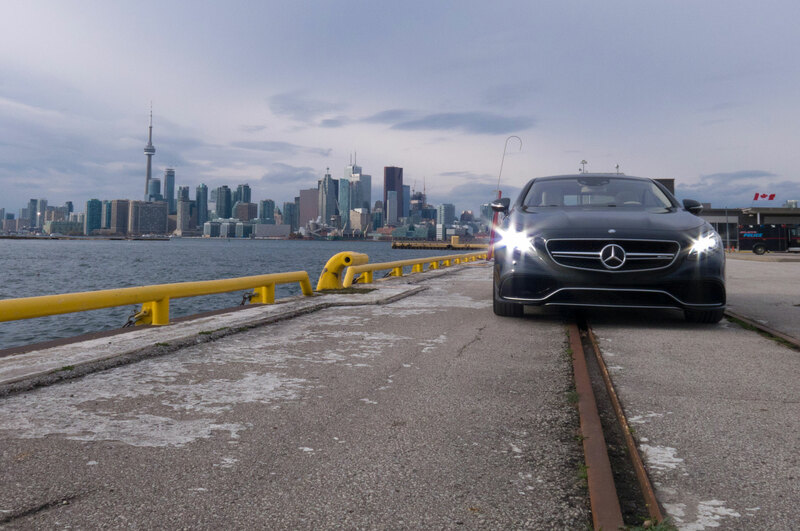 Toronto’s skyscrapers rise out of the darkness as I sweep downtown on the Gardiner Expressway. 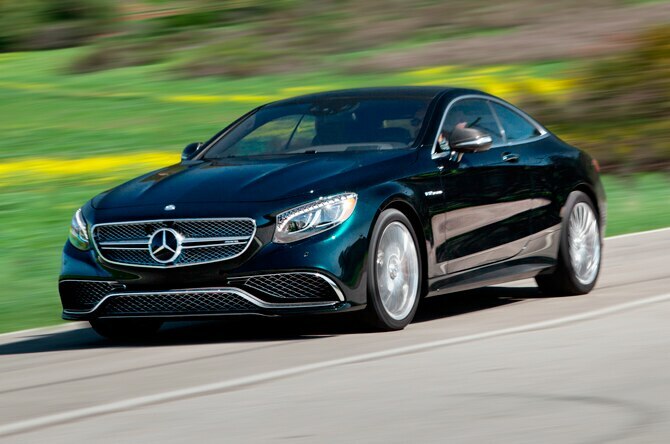 A driver of a CLS63 AMG dives onto my tail and follows me off the highway. 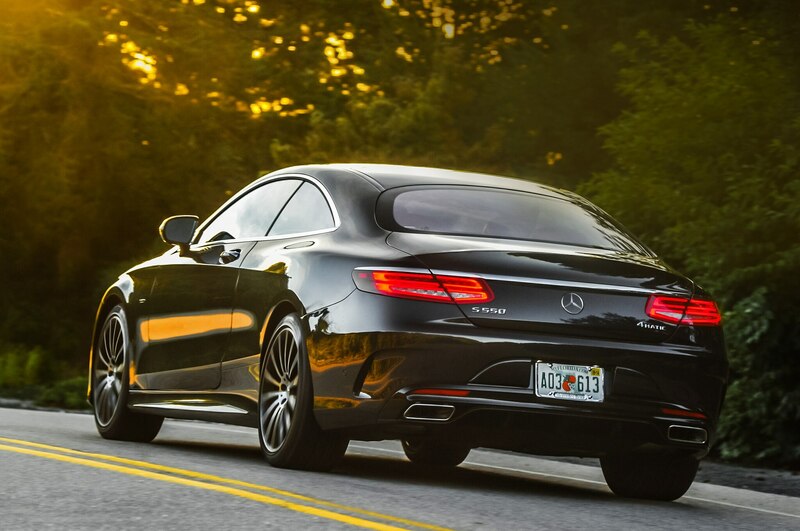 At the first traffic light, he nods, smiles, and revs his engine. 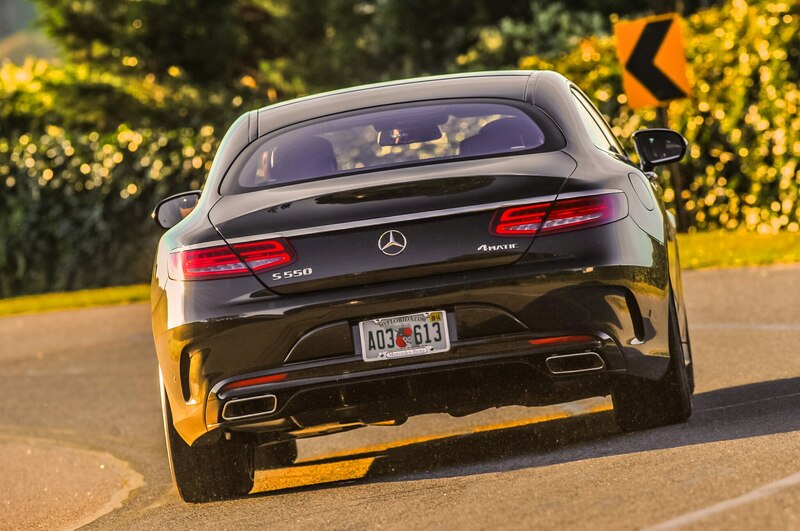 I pour after him, but the twin turbos barely have a chance to spool before I have to slow for traffic and pedestrians. 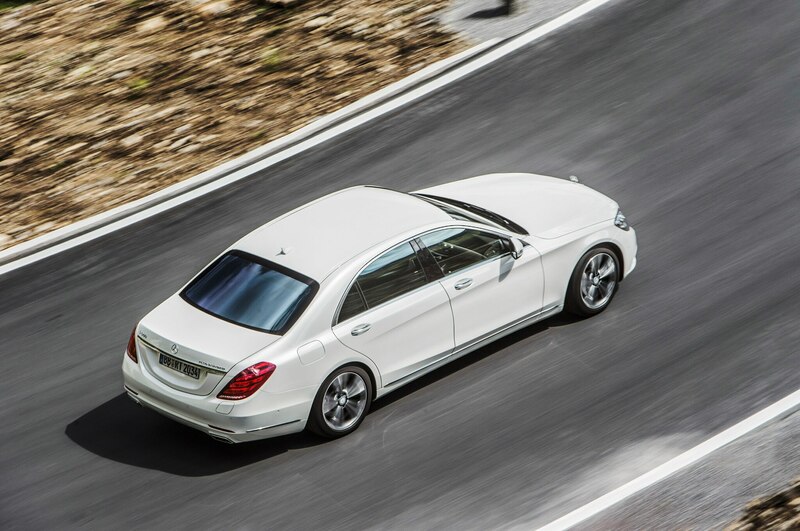 The streets and sidewalks throb with the constant commotion one finds in megacities. 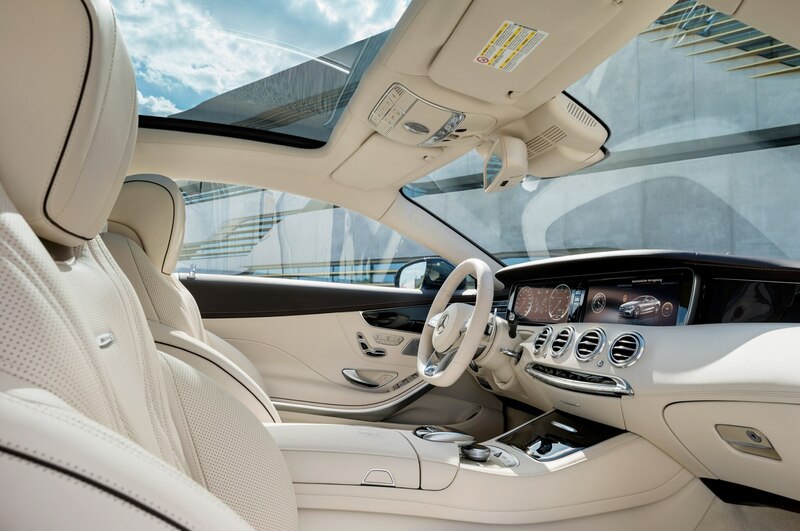 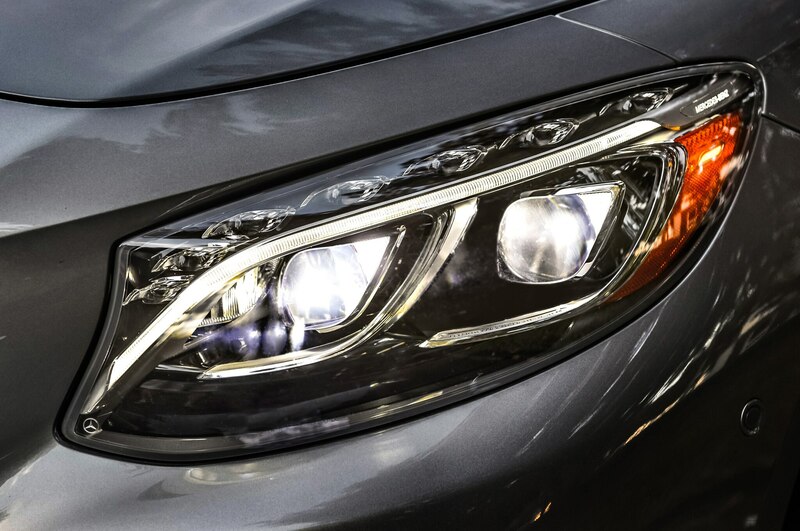 I cruise up and down Yonge Street, where blindingly bright lights paint the S63’s white leather interior. 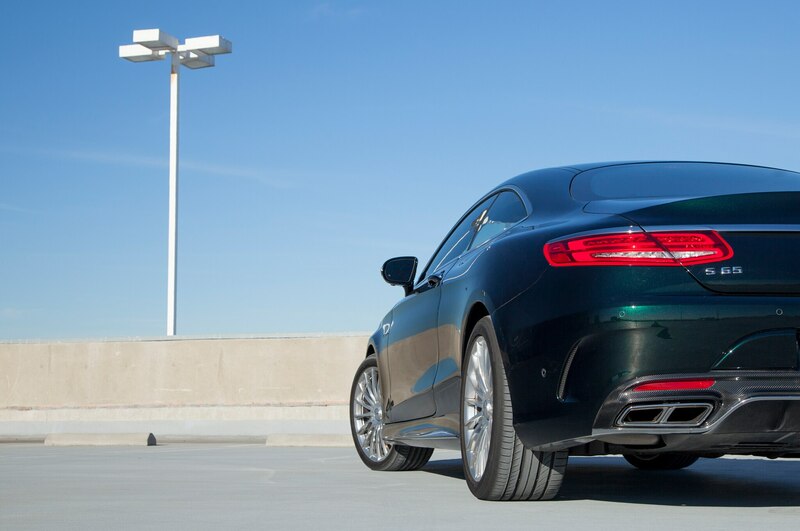 I open my windows so that I can drink in the urban energy and am able to hear the occasional “Nice car” from passersby. 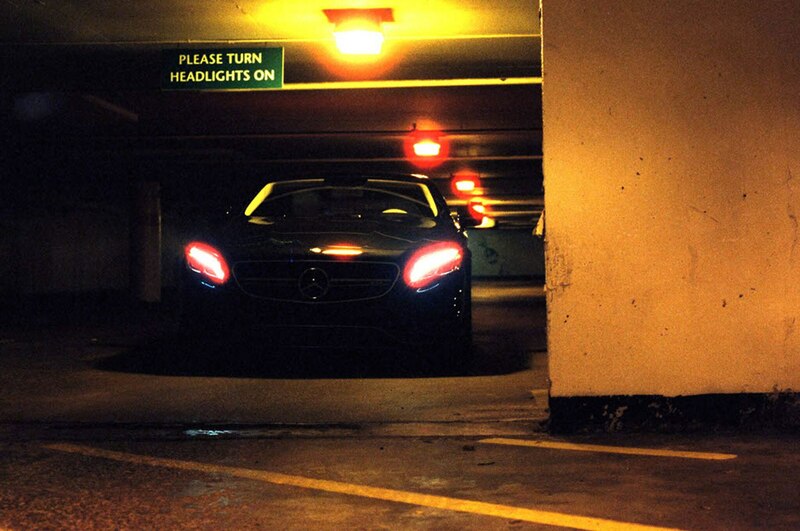 I finally pull into an underground parking garage. 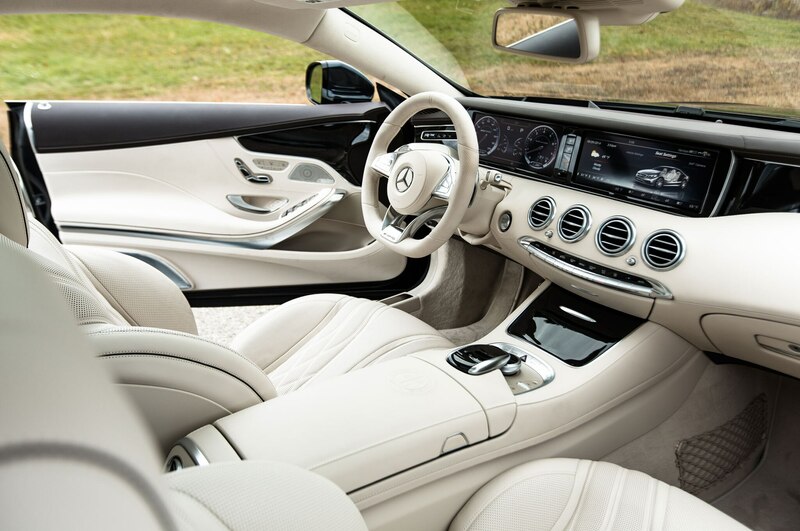 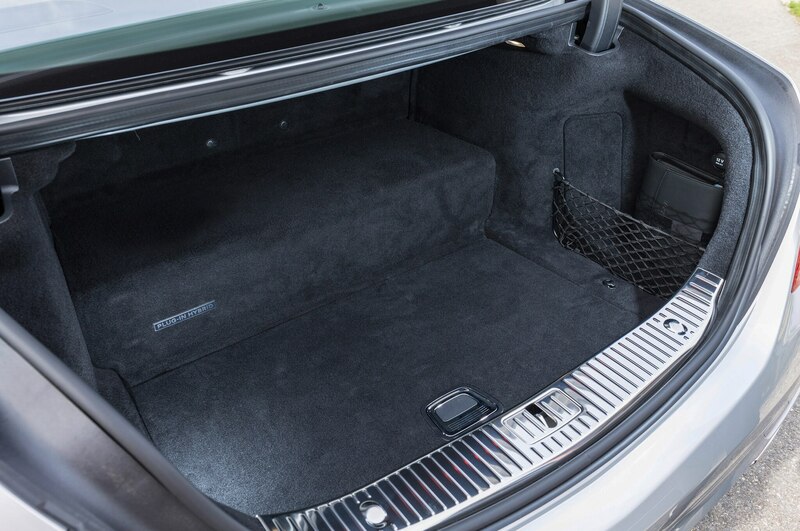 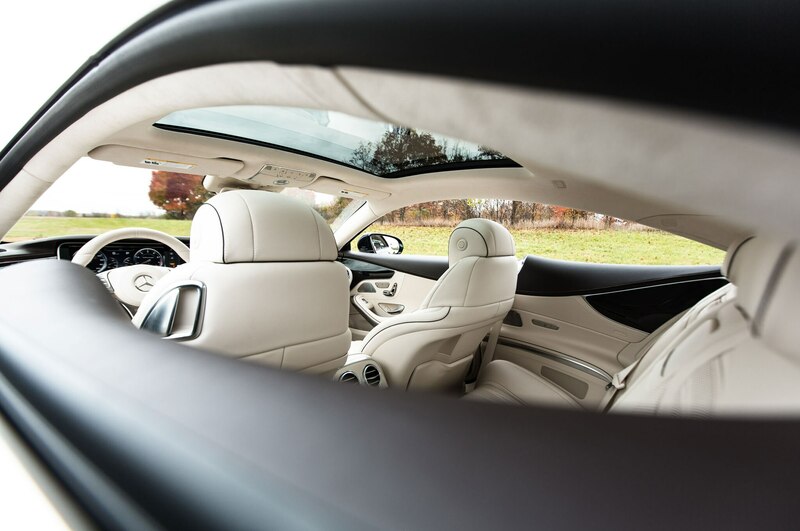 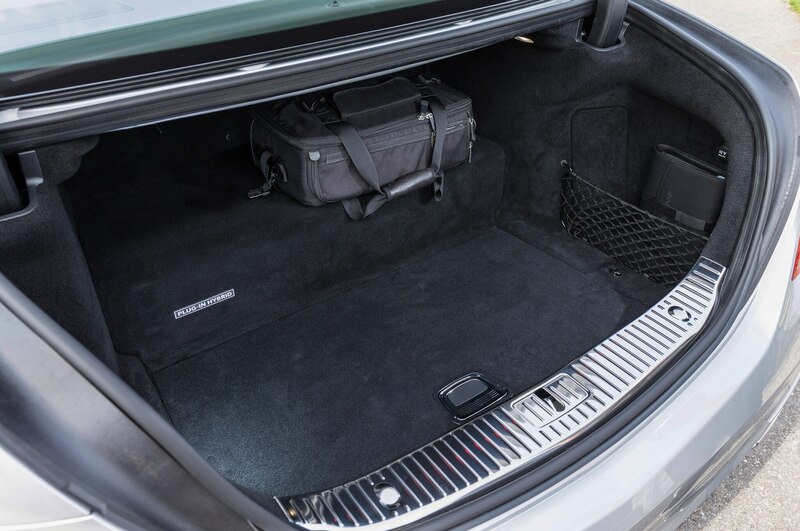 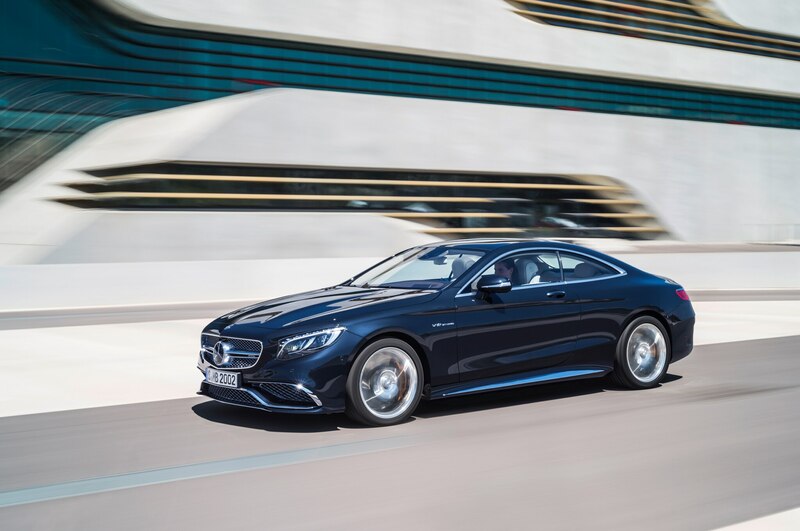 It’s one of those cramped city garages that seem to ask, “Why didn’t you take public transportation?” At 16.5 feet long, the S-Class Coupe is not a tidy two-door. 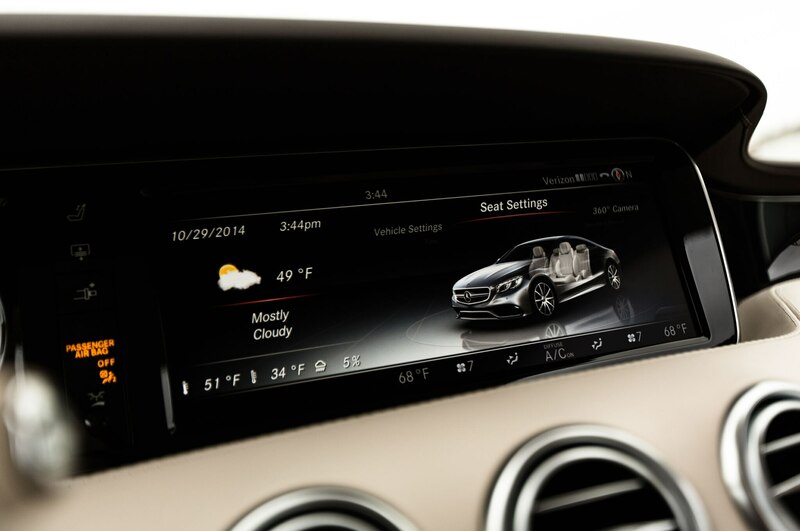 I flick on the surround view camera and creep along, thankful for the light-effort steering at low speeds. 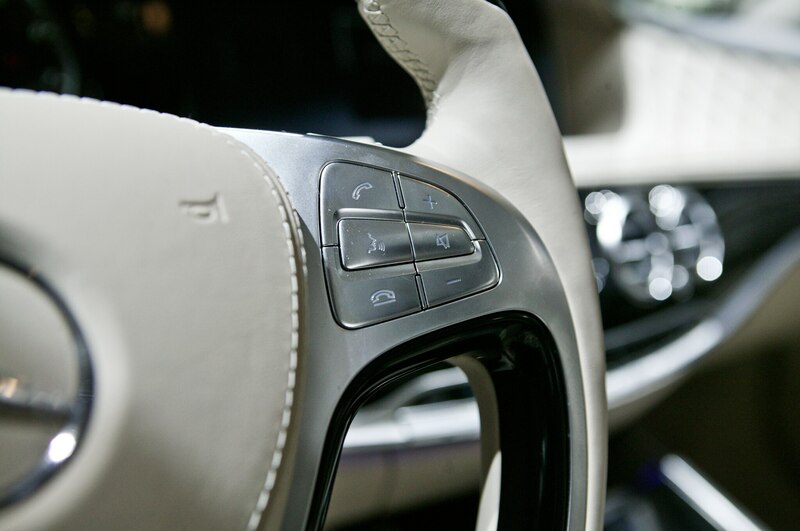 I still expect to hear a crunch that’ll cost a year’s salary to repair. 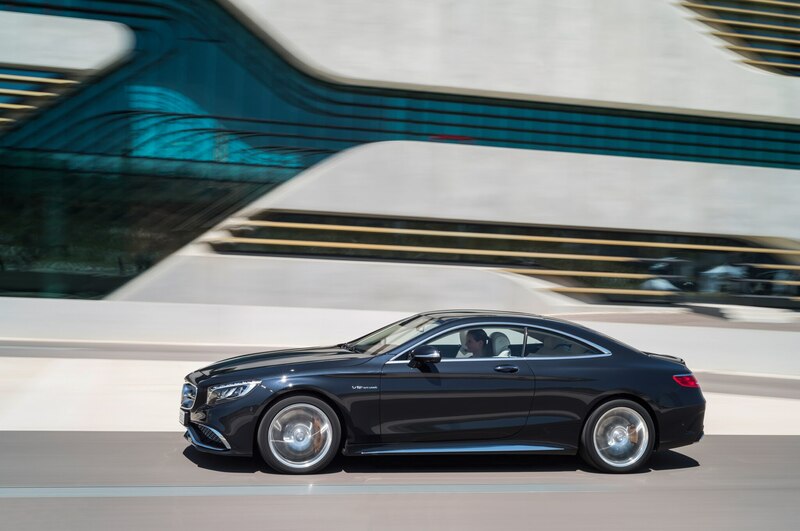 The Mercedes-Benz S63 AMG Coupe is very large for a two-door car, something that becomes very clear when we try to negotiate a downtown parking garage. 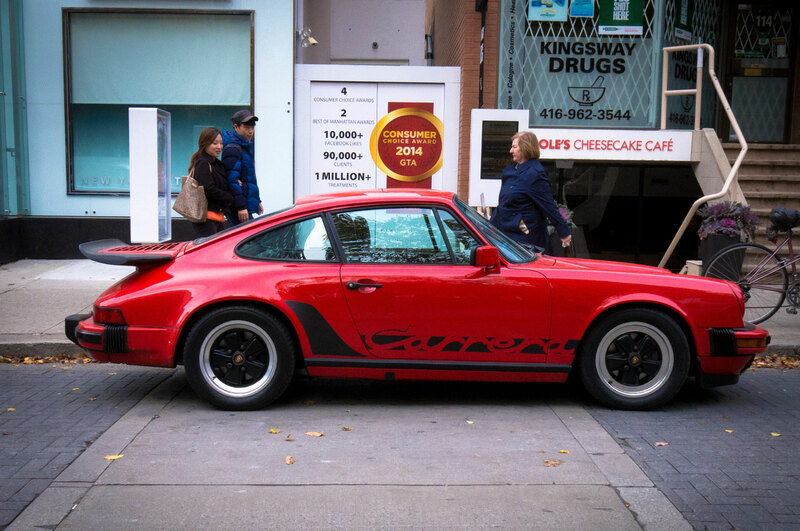 This vintage Porsche 911 was one of many cool cars hanging out in Toronto’s posh Yorkville district. 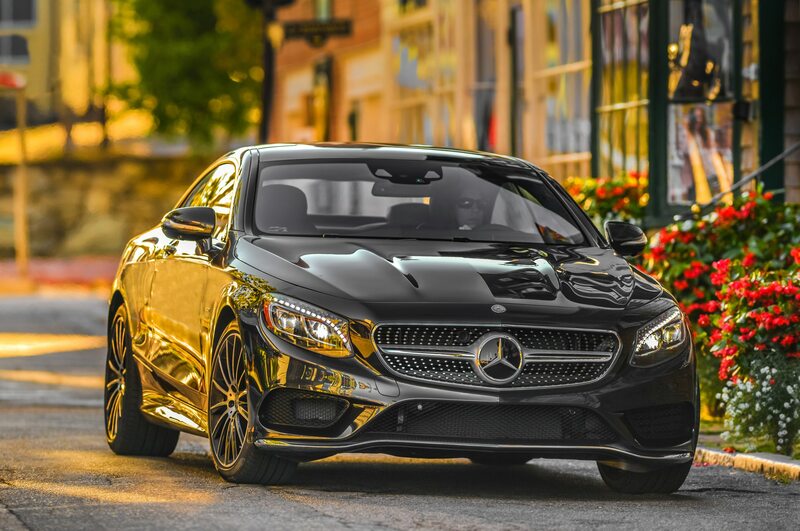 I start off the next morning in the posh neighborhood of Yorkville. 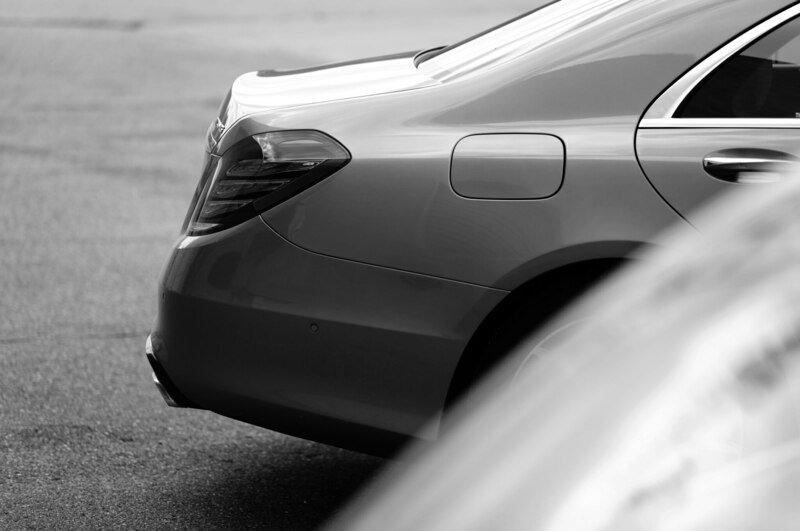 Traffic waits patiently as pedestrians cross every street in a four-way intersection. 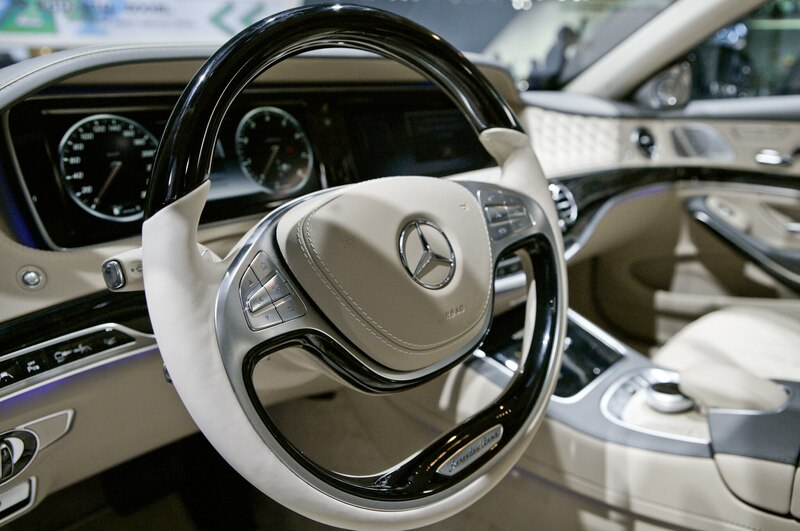 I honk. 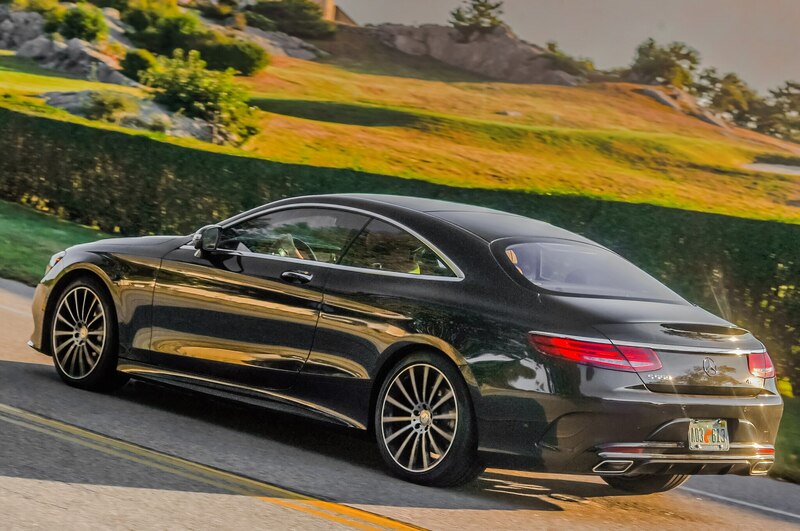 But the truth is driving in this part of Toronto is not about getting somewhere so much as it is to be seen driving. 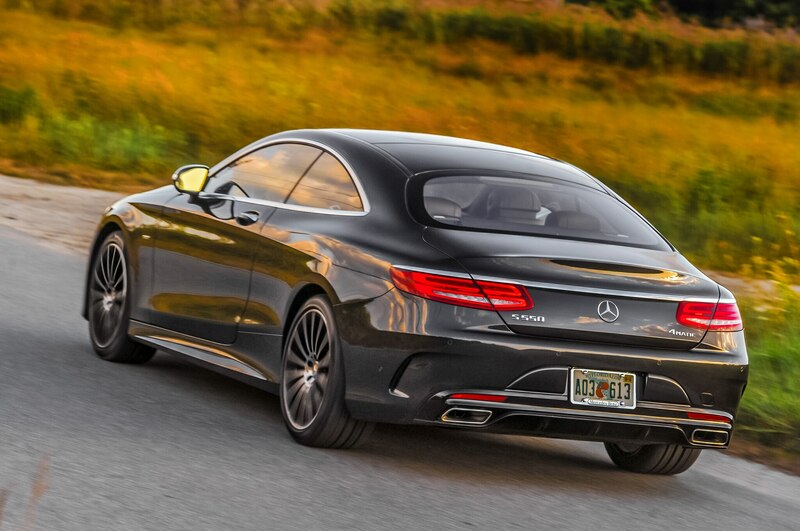 Porsches, Audis, and Benzes preen in these parts. 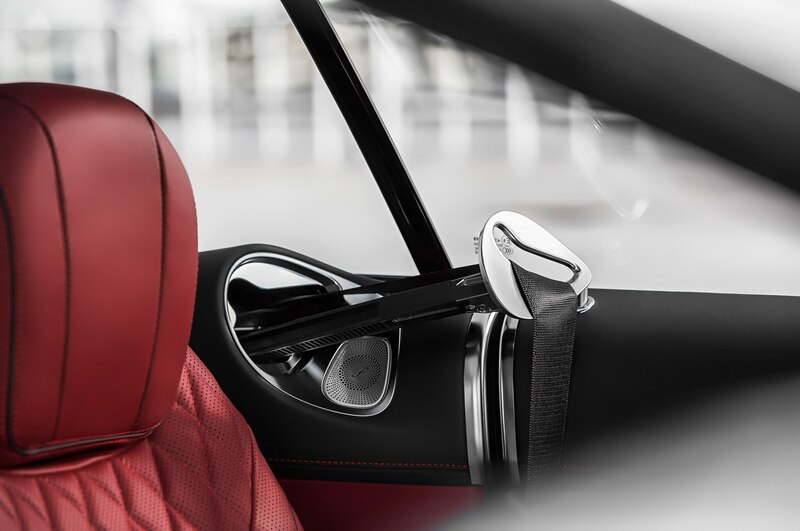 A Ferrari 458 Italia sits in the lobby of one of the many high-end department stores. 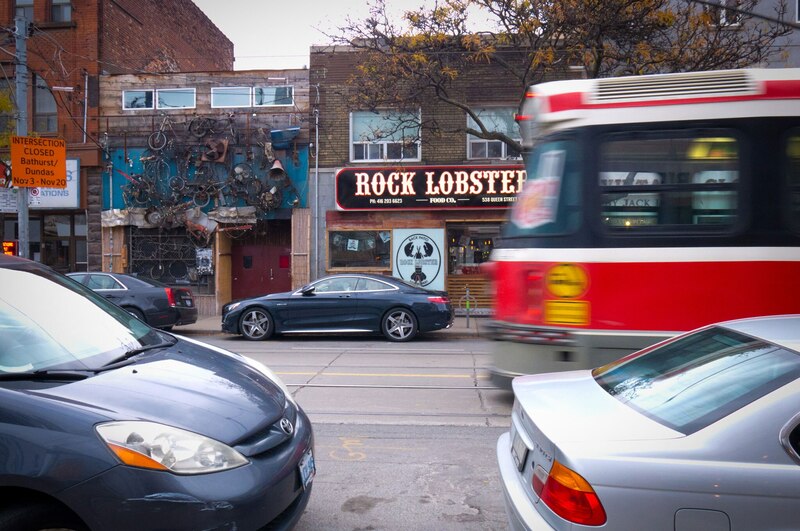 Modern art galleries, indie fashion labels, tattoo parlors, and trendy thrift shops make Queen Street West one of the hippest areas of Toronto. 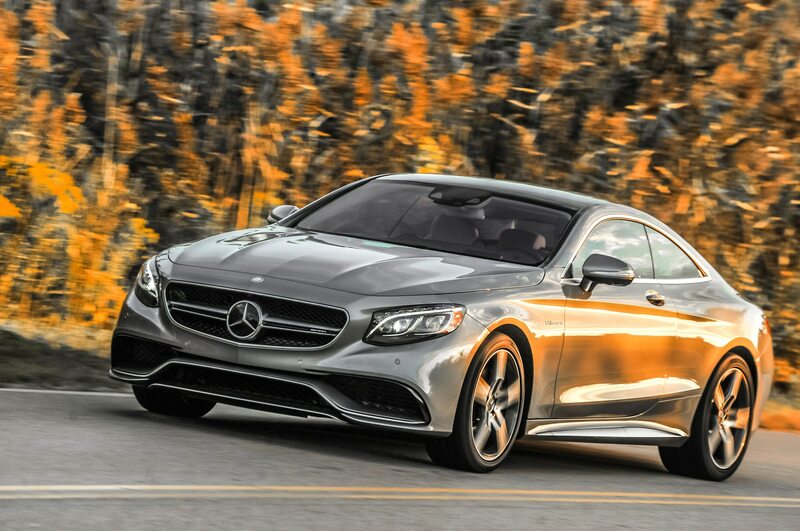 I can barely afford a pair of socks here, but I relish being behind the wheel of the hottest fall fashion. 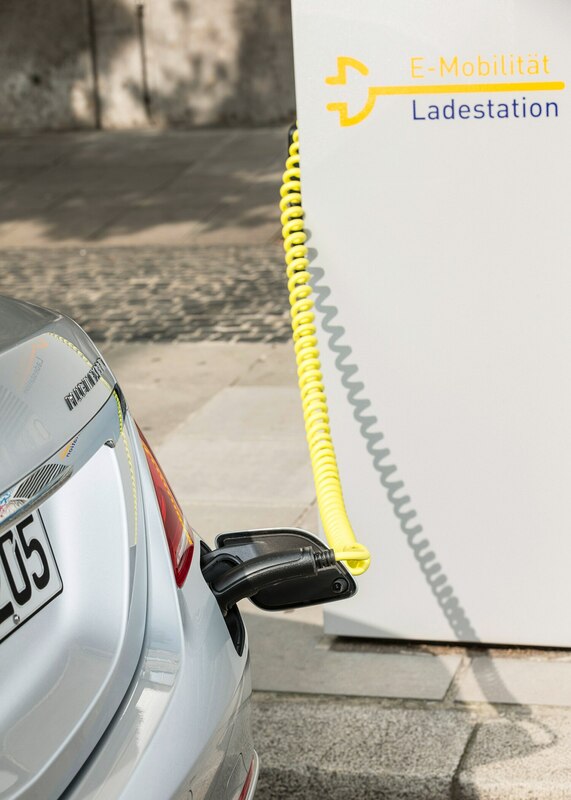 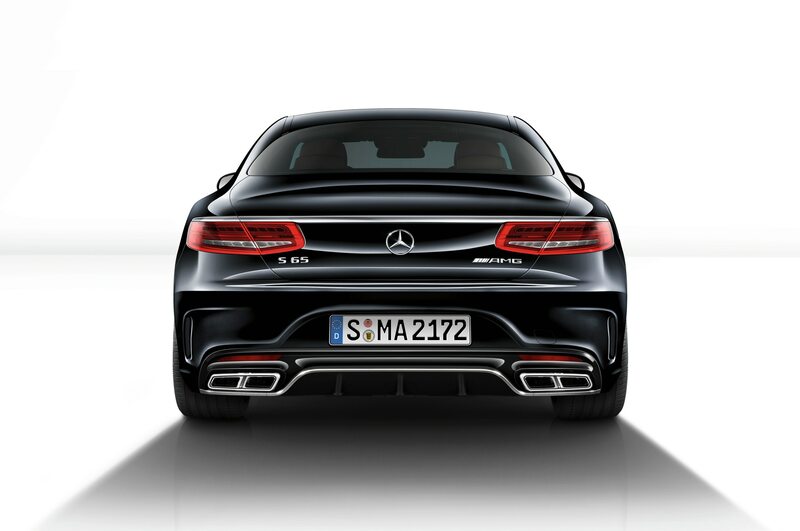 The car looks distinctive from every angle without resorting to clichéd brand identifiers. 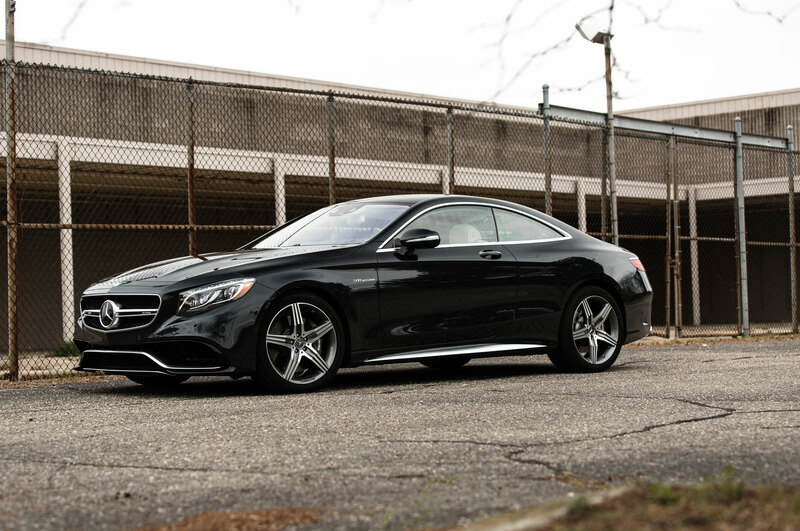 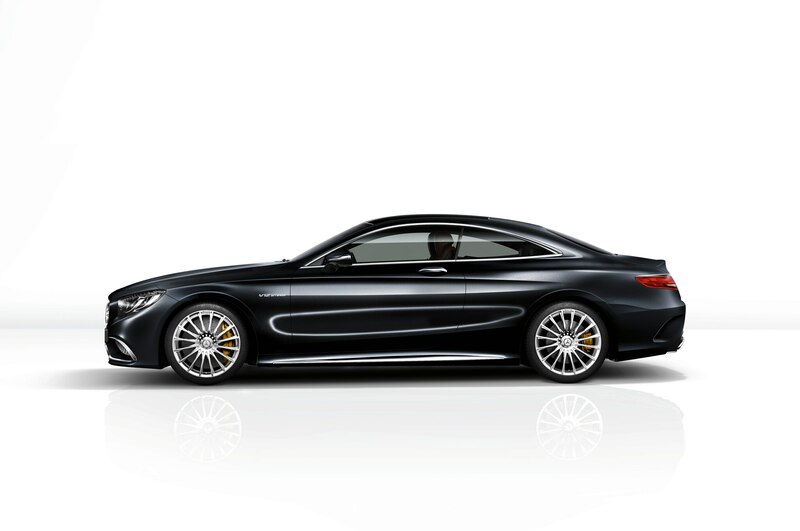 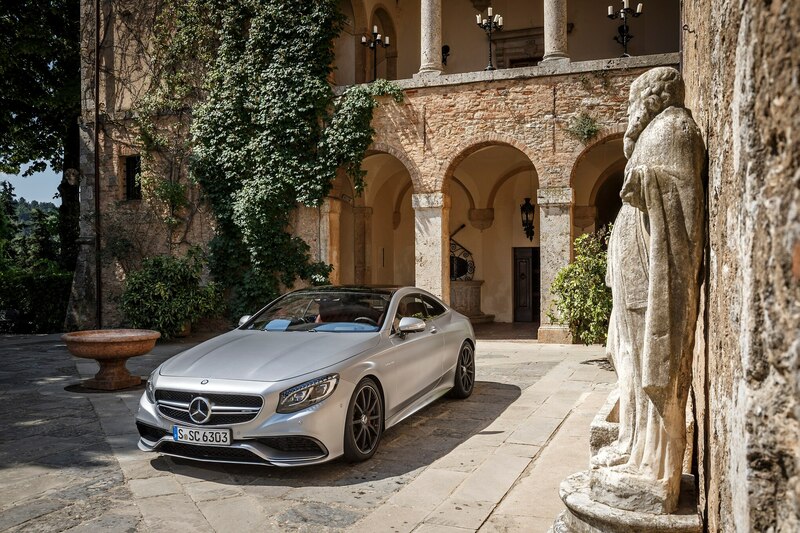 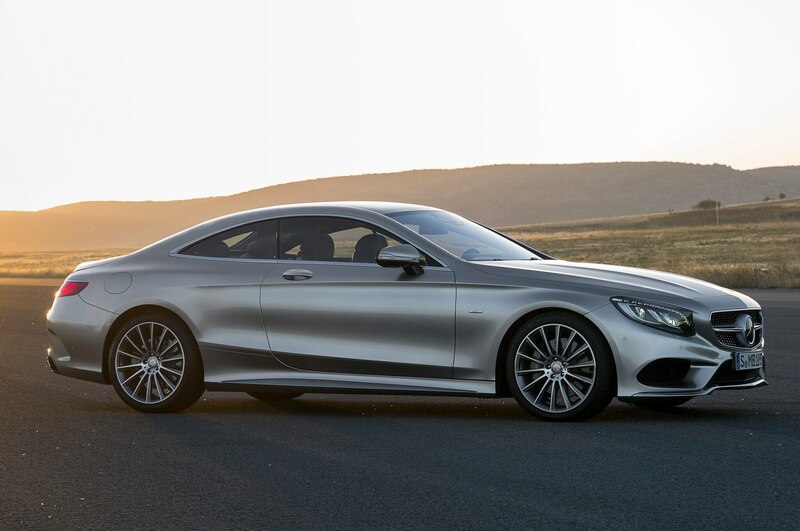 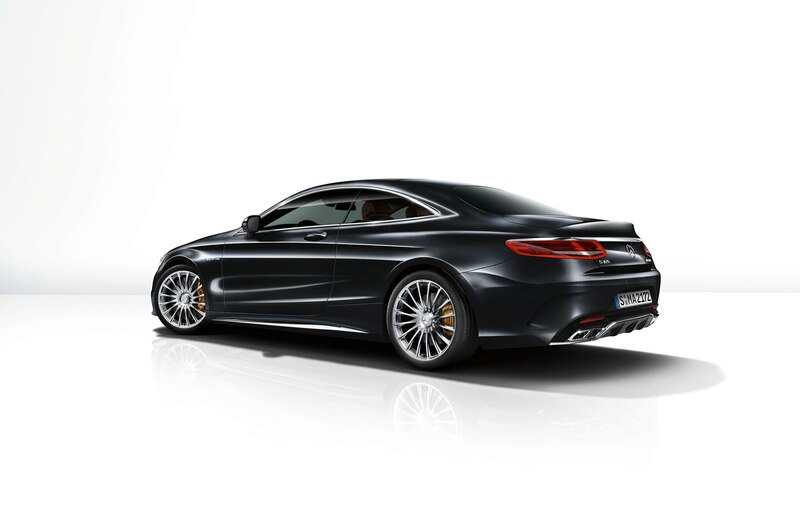 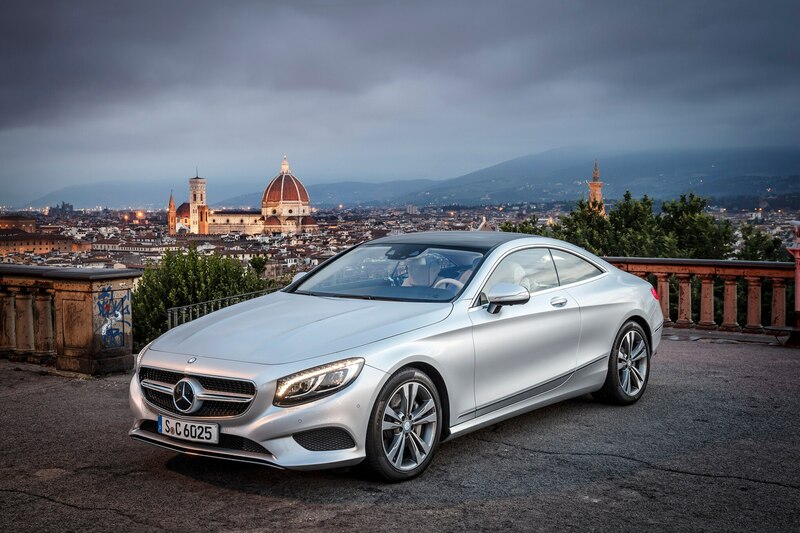 Out on the street, the coupe’s conspicuous size emanates beauty and power like a Rubenesque model. 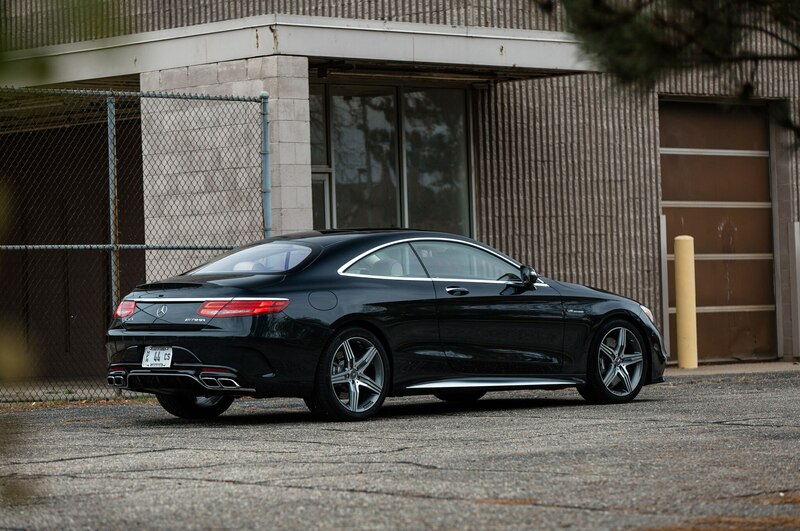 Don’t park here, unless you want a Toronto police officer to ask you politely to leave. 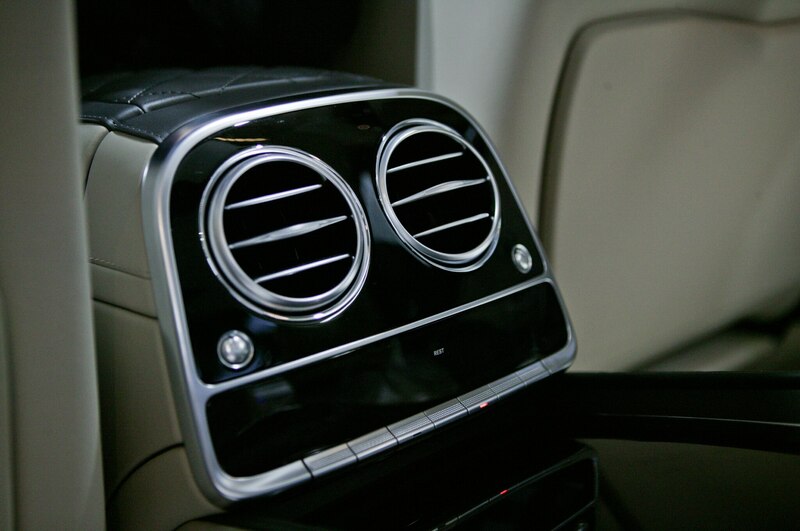 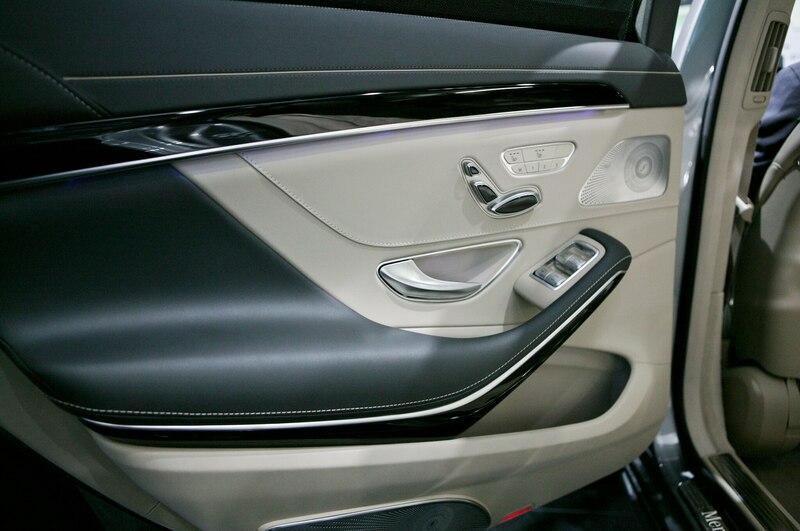 Perhaps Toronto architects should consult with Mercedes’ designers. 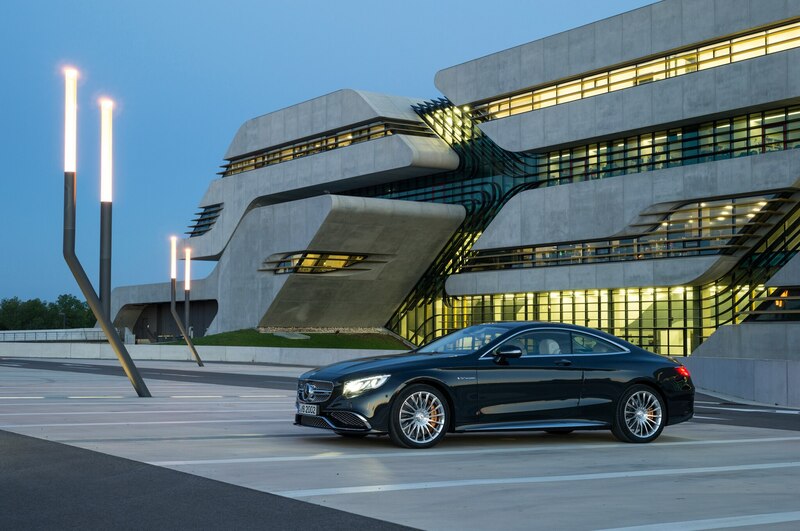 The periodic construction booms that began in the 1960s and continue today have littered the city with modern towers lacking in character or cohesion. 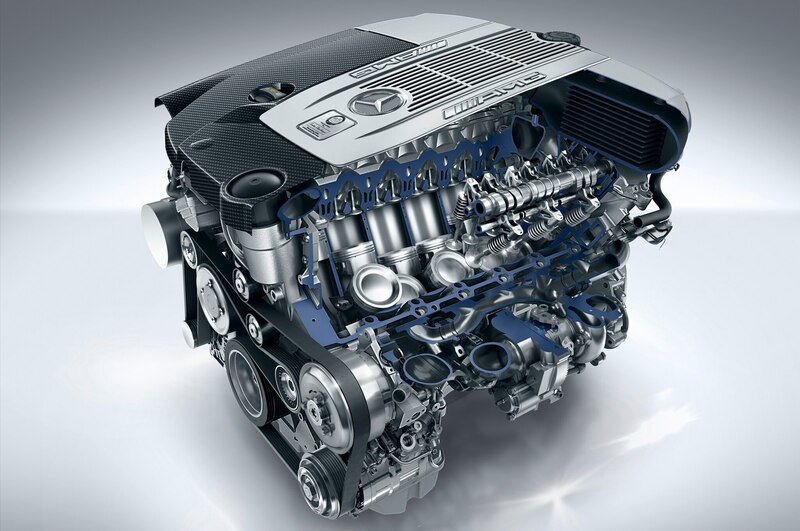 But there is charm here, deriving mainly from diversity. 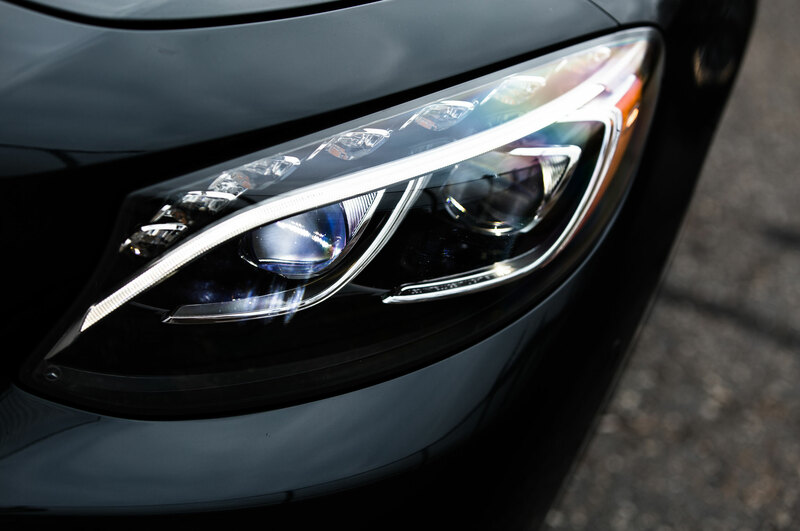 More than 20 percent of the city’s residents are foreign born, and one can pass through half a dozen ethnic enclaves — Japanese, Indian, Middle Eastern — in as many blocks. 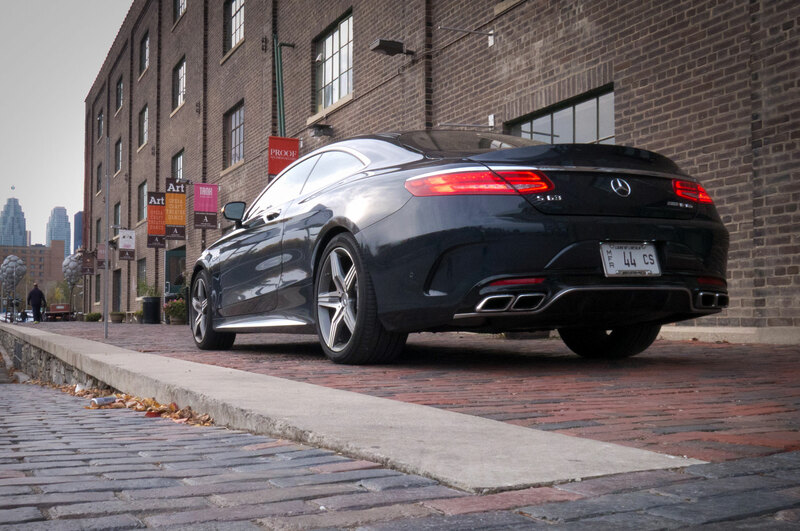 I find myself in the Distillery District, where 19th-century buildings now house boutiques and several coffee shops (Tim Hortons not among them). 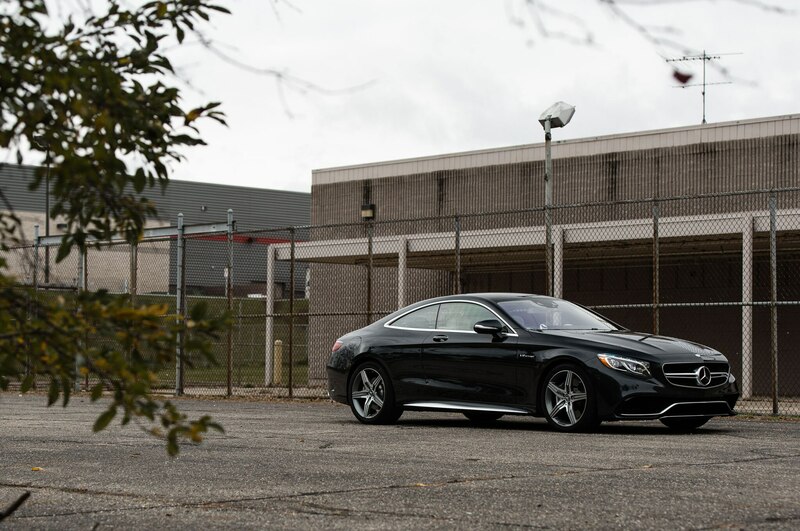 I pull right up on a brick sidewalk for photos and — uh oh — see a police officer walking toward me. 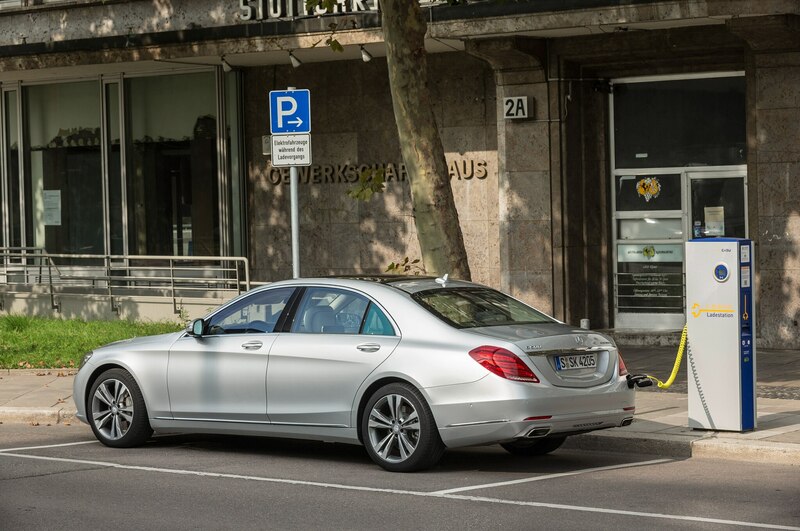 Generally, the constables don’t like it when cars illegally park in a crowded area, and they like it even less when the car doesn’t belong to you. 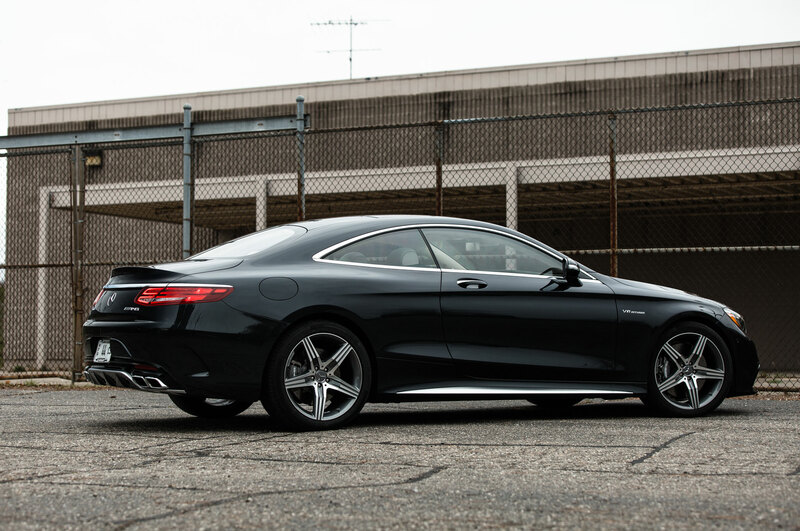 I’ve been through this drill in other cities and prepare for an ordeal. 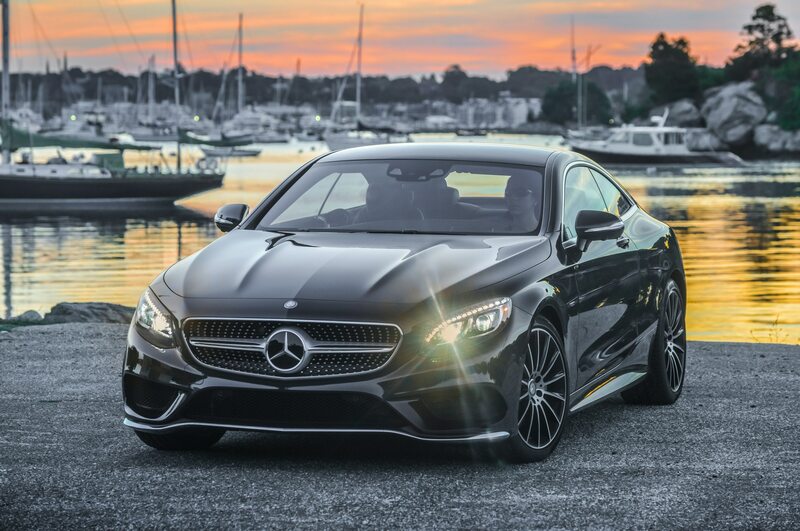 This member of Toronto’s finest smiles and apologetically asks if I wouldn’t mind parking somewhere else. 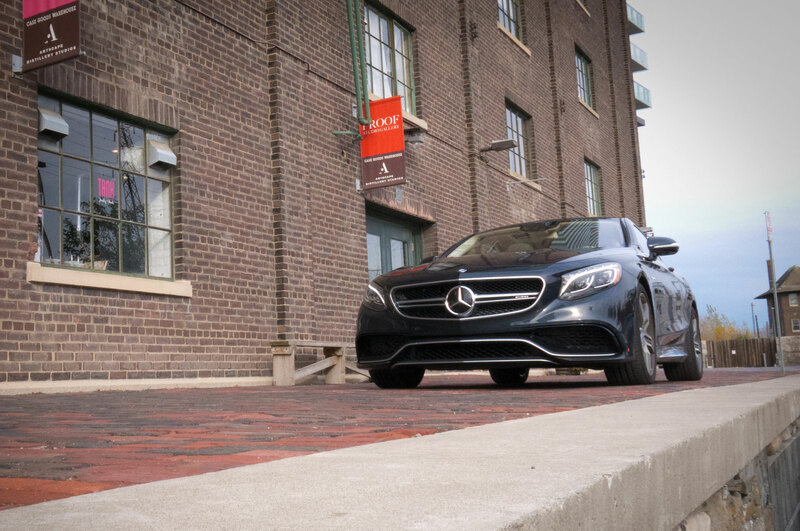 In Toronto’s Distillery District, nineteenth-century industrial buildings now house high-end restaurants, cafés, and art galleries. 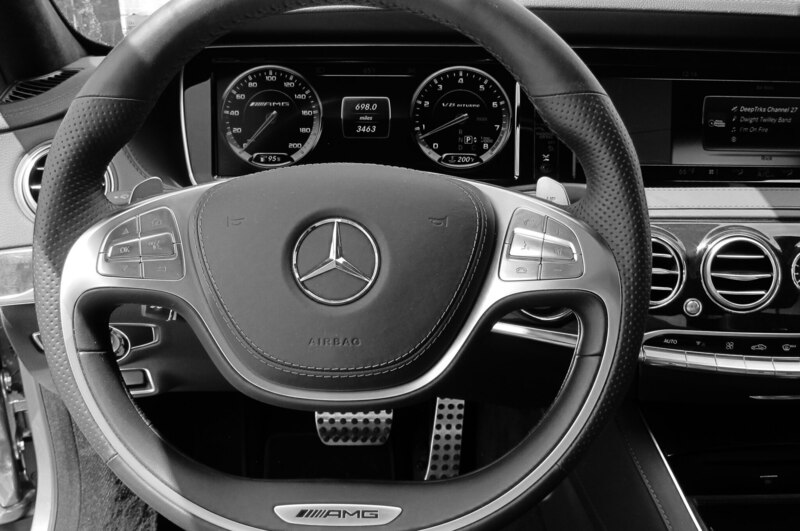 The car and I refuel — $65 of premium for the AMG and an espresso for me — before heading west along Queen Street. 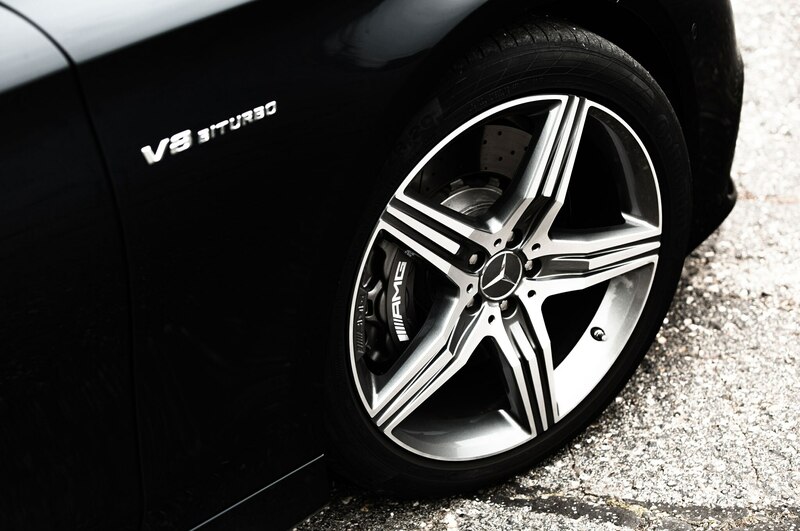 Trendy chain stores gradually give way to tattoo parlors, thrift shops, and record stores. 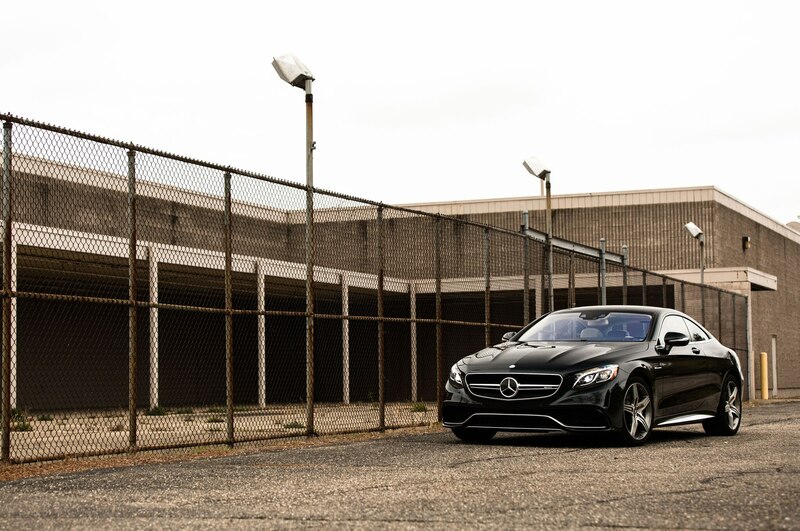 Here, as everywhere in the city, the sidewalks are packed with a diverse crowd. 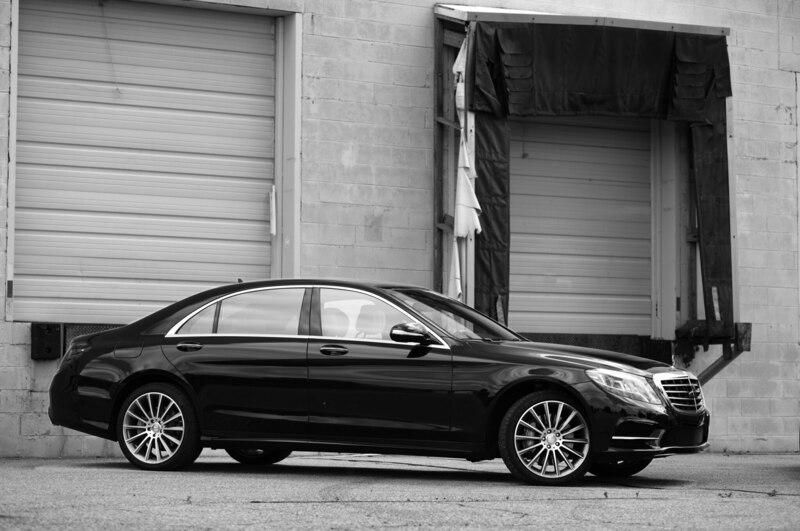 Inked-up hipsters walk around with children in their arms, and homeless men linger and chat outside art galleries. 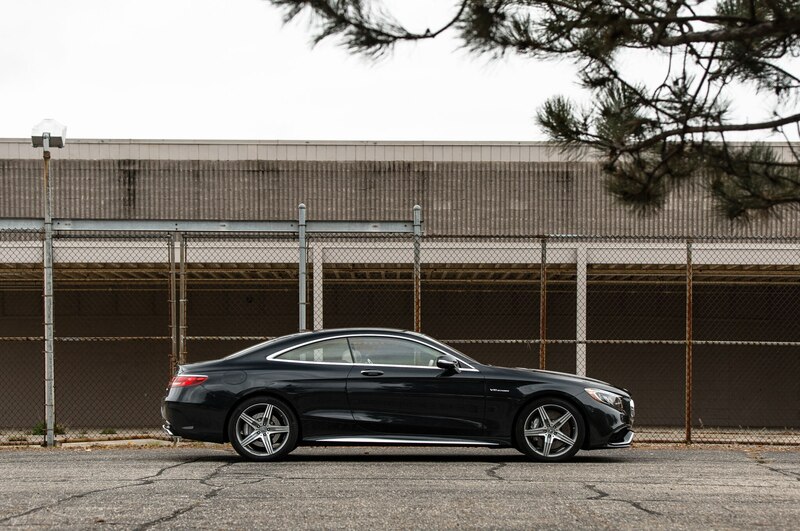 I have no qualms about parking a $160,000 Mercedes on the curb and walking around. 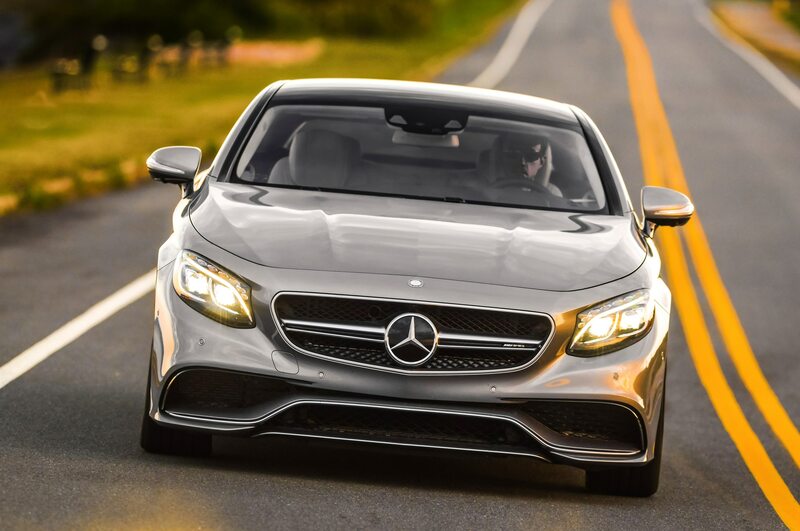 It occurs to me that I’ve driven five hours from Ann Arbor, Michigan, to find a supersized version of a friendly Midwest town. 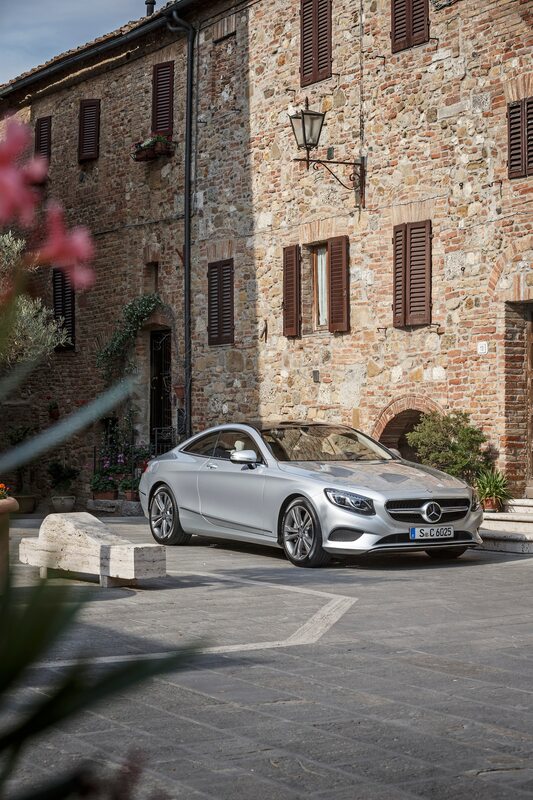 Does such pervasive niceness rob a city of character? 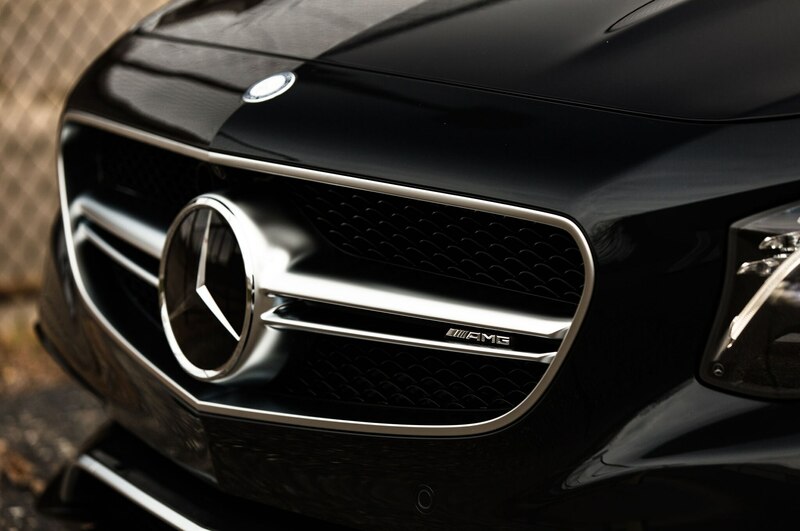 Only if you think character has something to do with crime and rudeness to strangers. 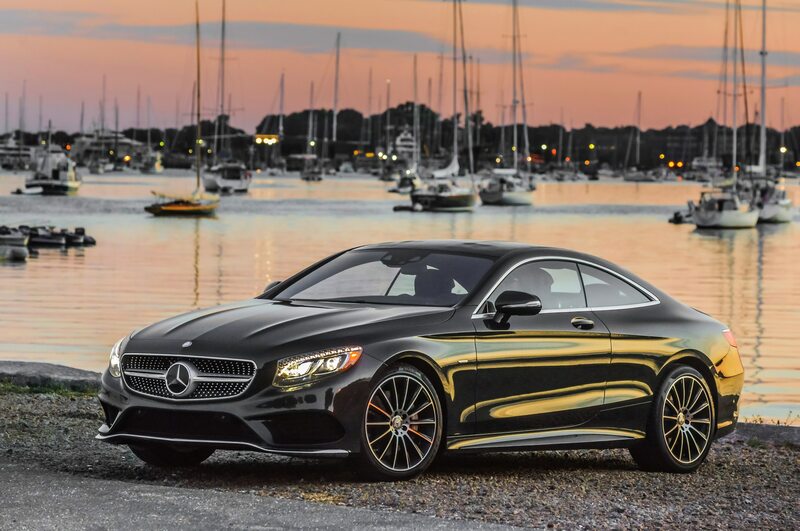 Toronto offers the vitality, diversity, and wealth of a big city with less of the grime and crime. 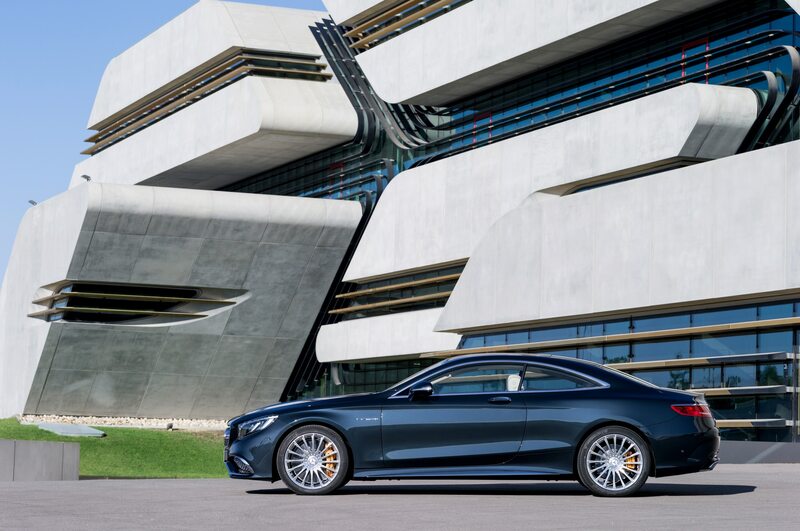 It’s the sort of city people are actually thinking of when they say they like big cities, even if they’re more likely to mention New York or Chicago. 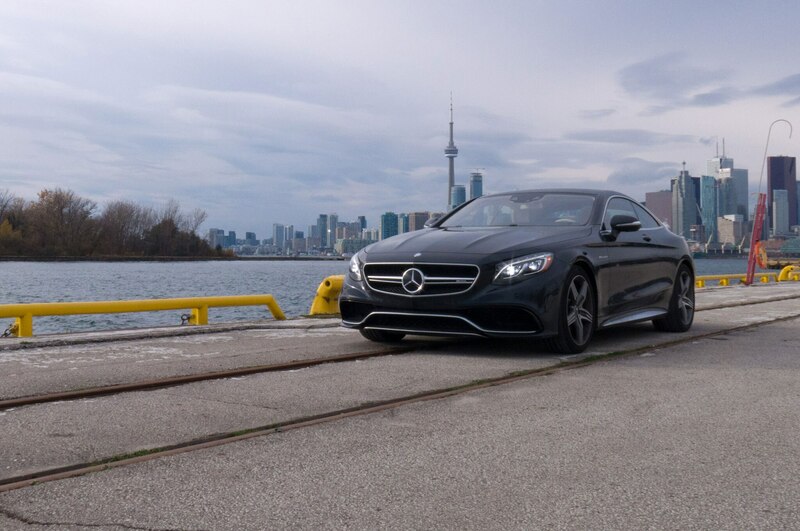 Drive out to the Port of Toronto for views of the skyline. 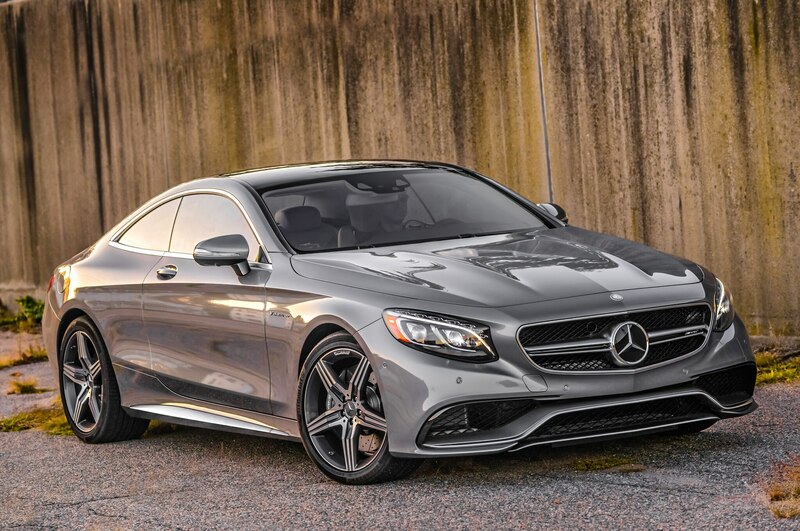 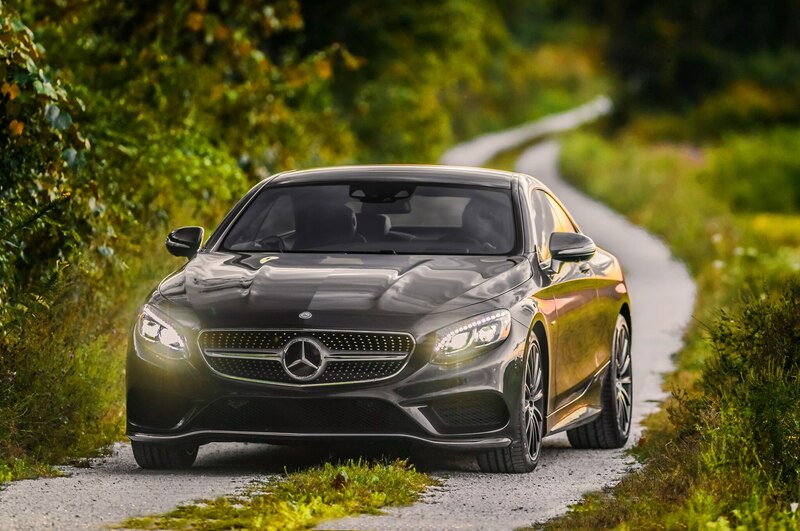 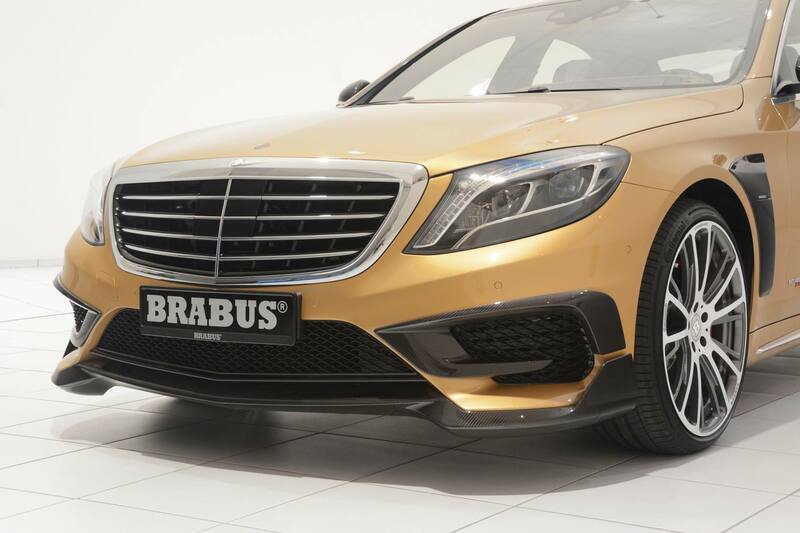 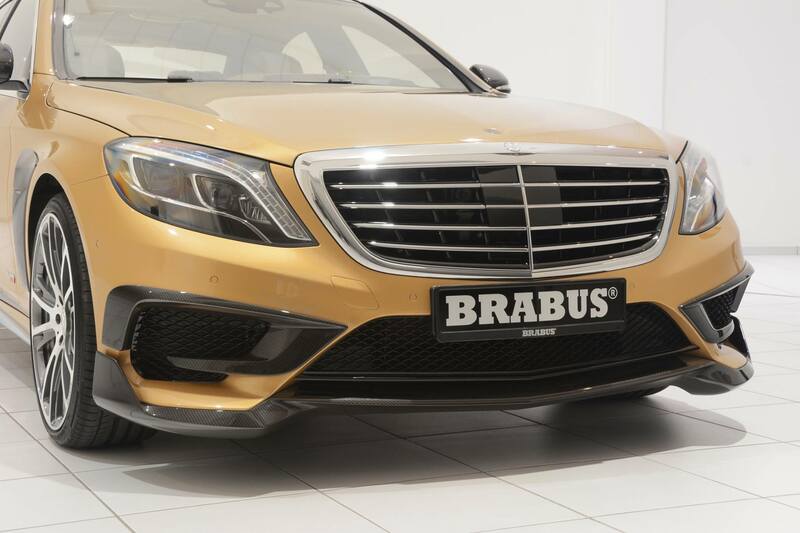 In a somewhat similar vein, the 2015 Mercedes-Benz S63 AMG 4Matic Coupe, whose evocative styling inspired this spur-of-the-moment road trip, reveals itself to be a familiar Mercedes after several hours behind the wheel. 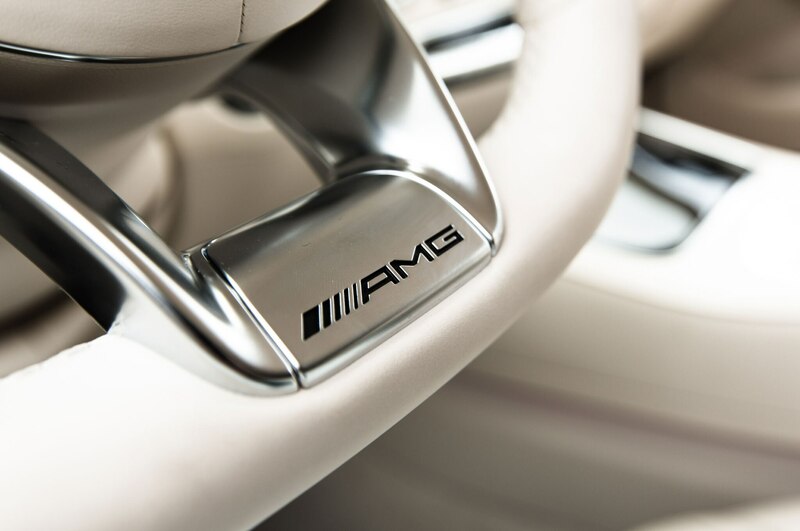 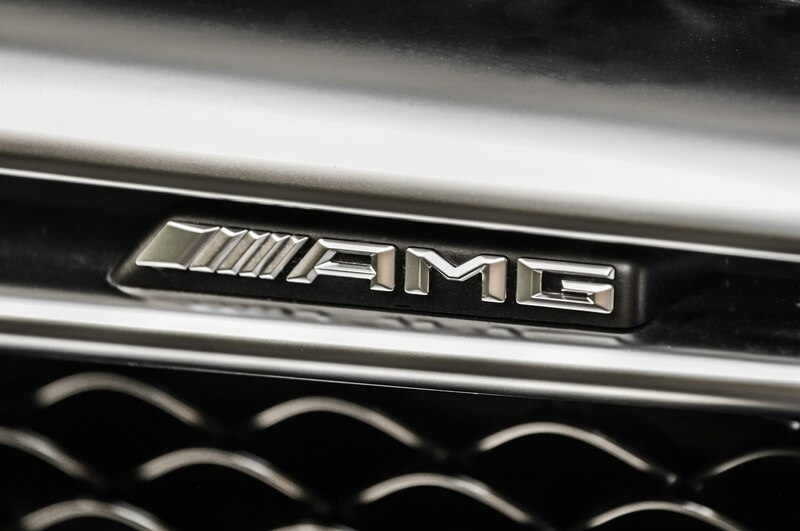 Even this AMG variant is not a wild departure in the vein of the Mercedes-AMG GT — it’s a beautiful luxury car you could live with everyday. 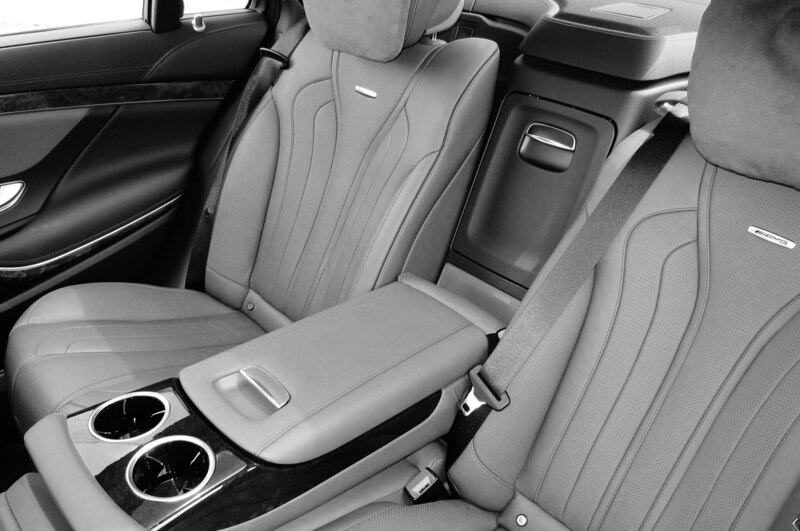 That’s just as well, because I have another five hours driving ahead of me. 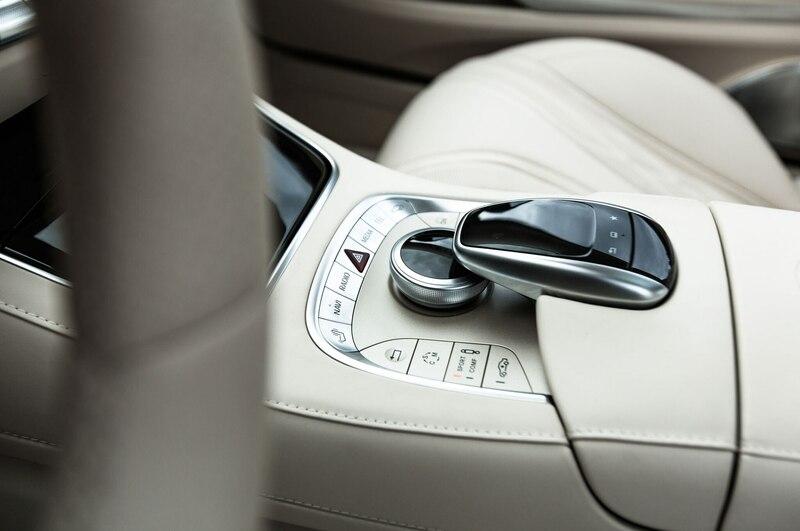 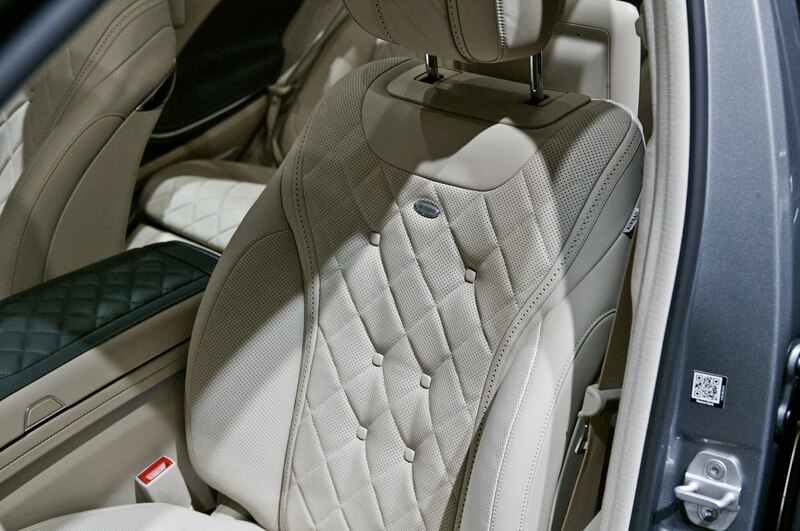 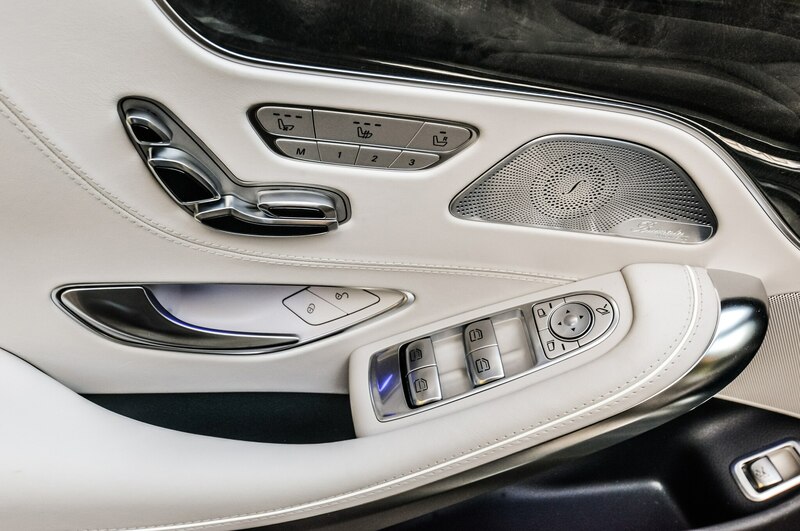 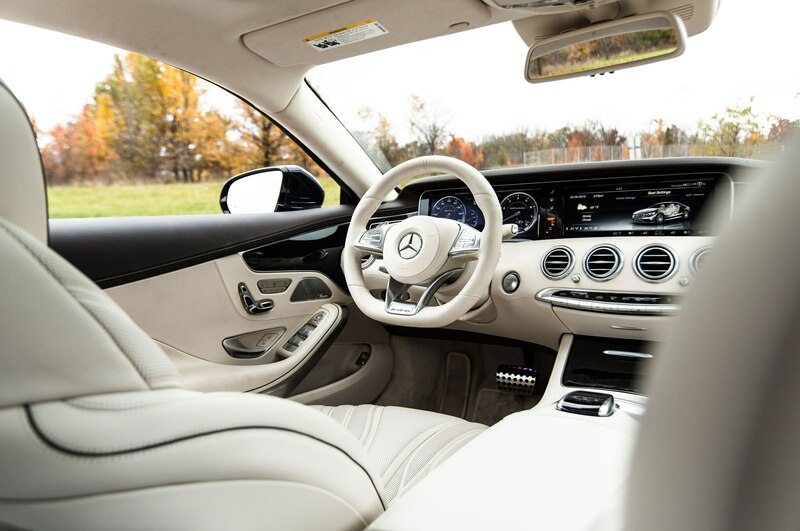 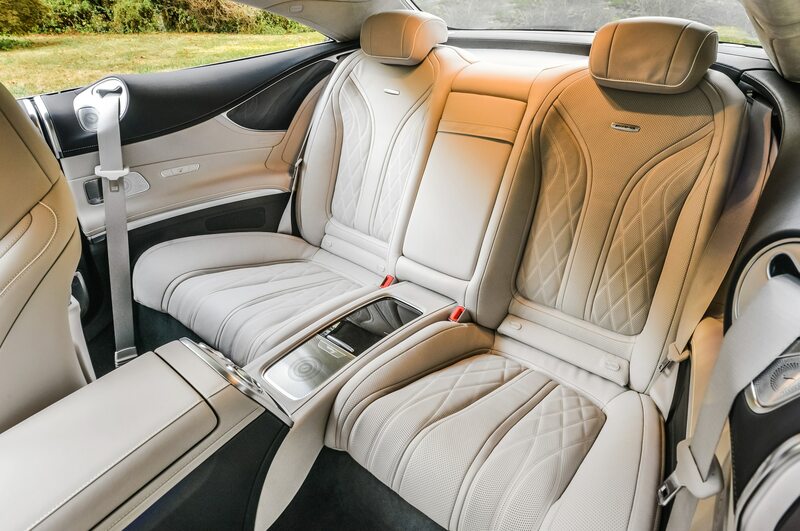 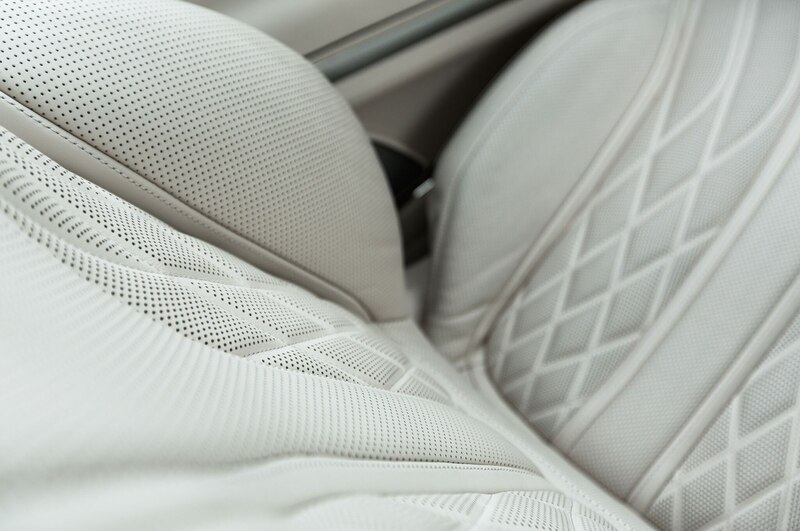 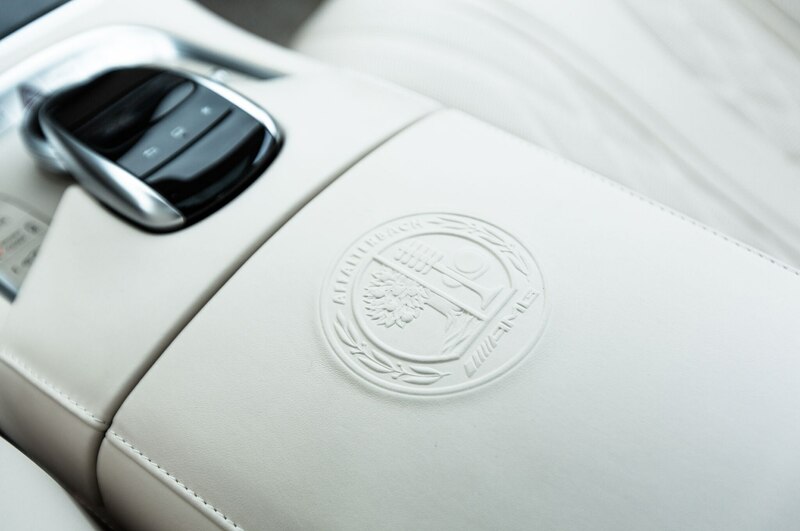 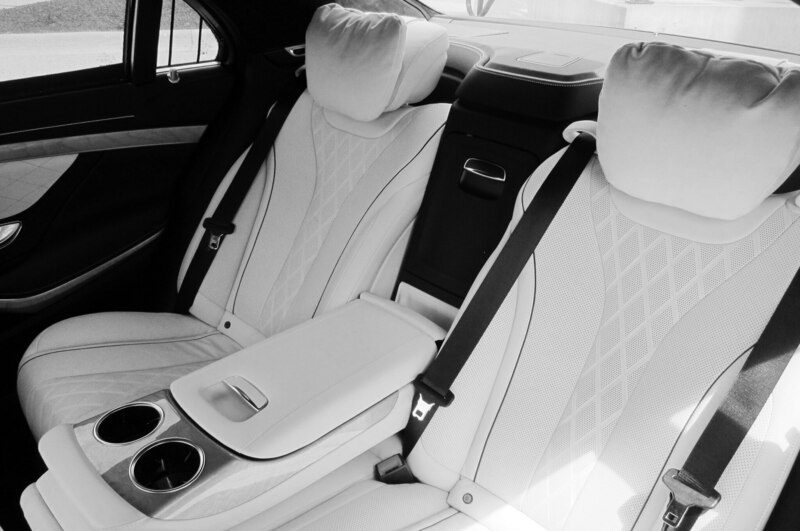 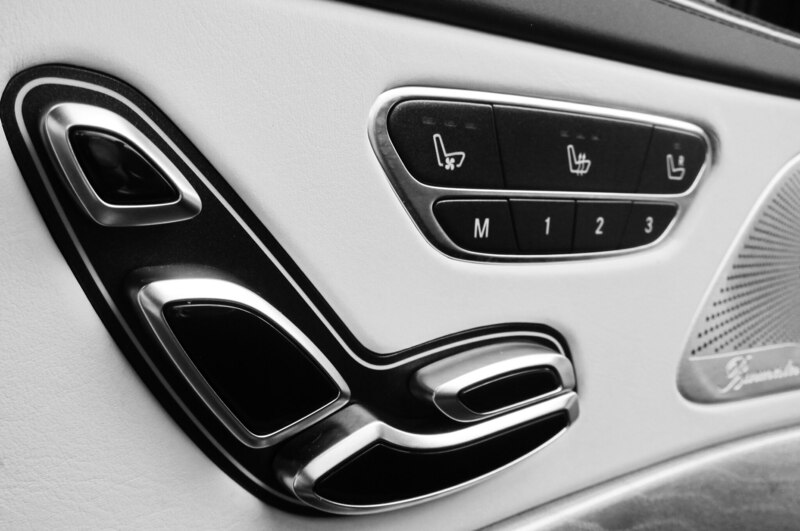 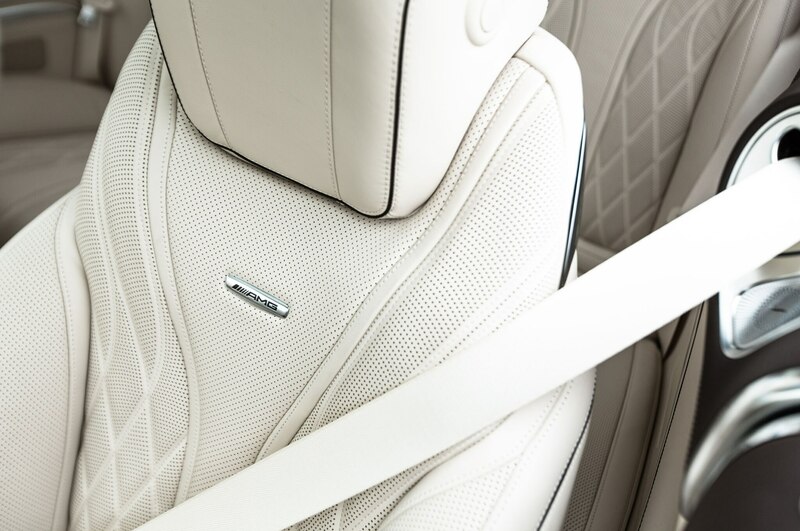 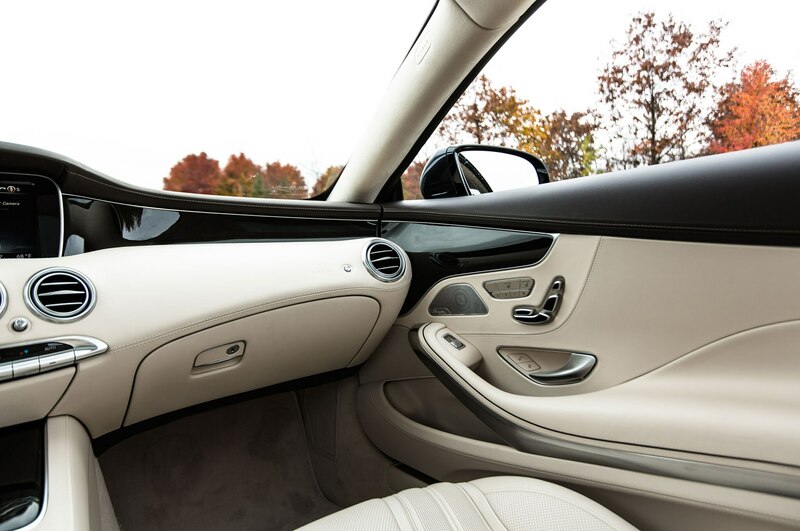 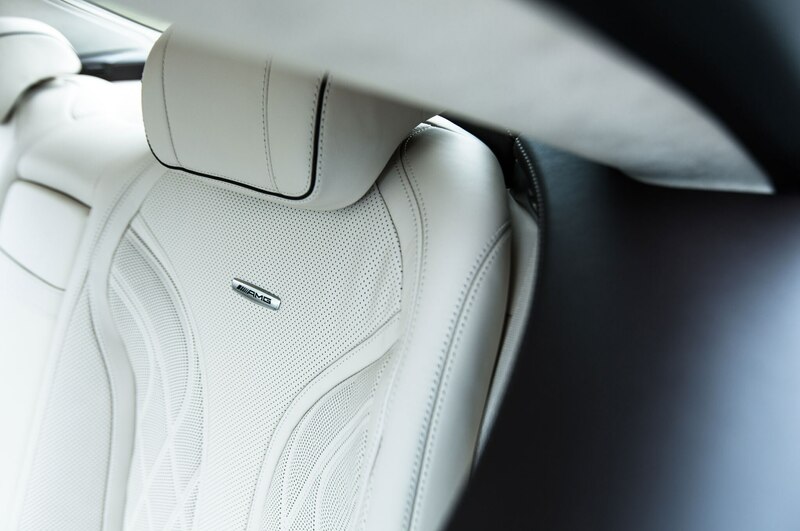 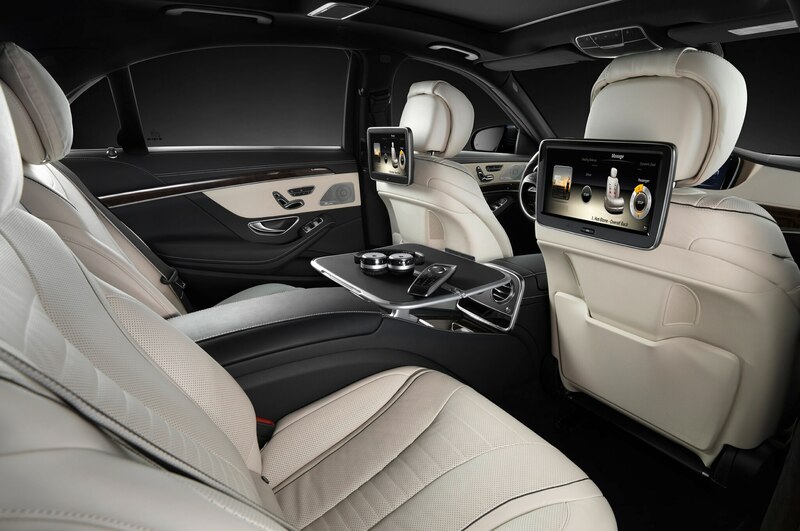 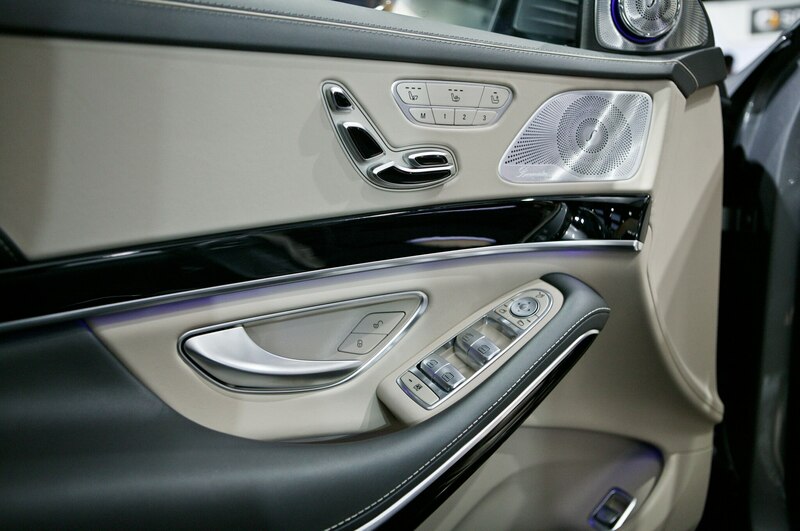 After dining at one of the many trendy ethnic restaurants downtown, I fall into the S63’s plush cabin once more, flip on my heated armrests, and head home. 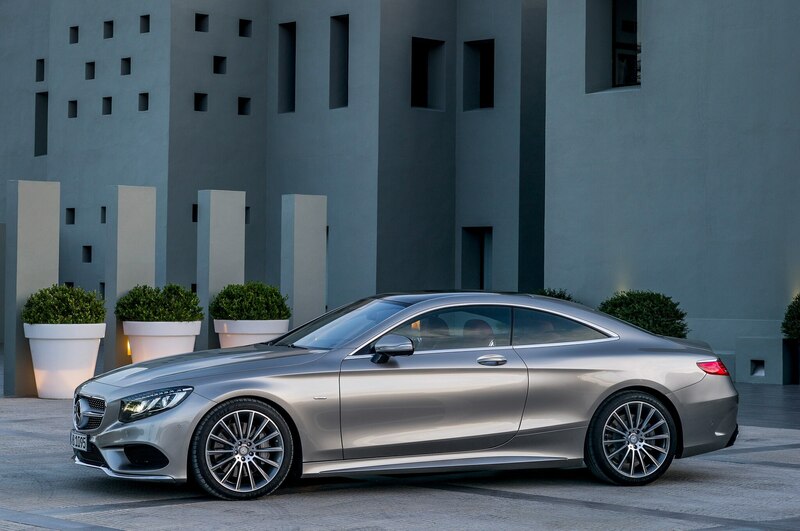 You’ll pay more to stay downtown, but it’s worth it. 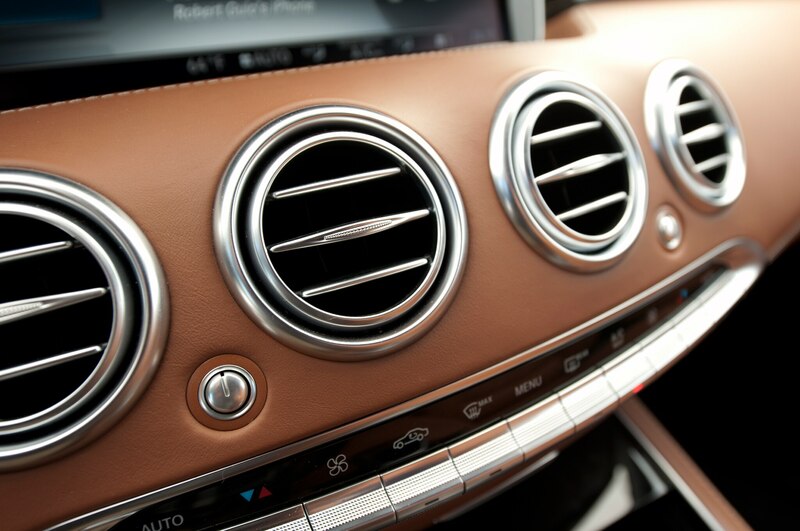 The Grand is close to attractions such as the Hockey Hall of Fame and the Distillery Historic District. 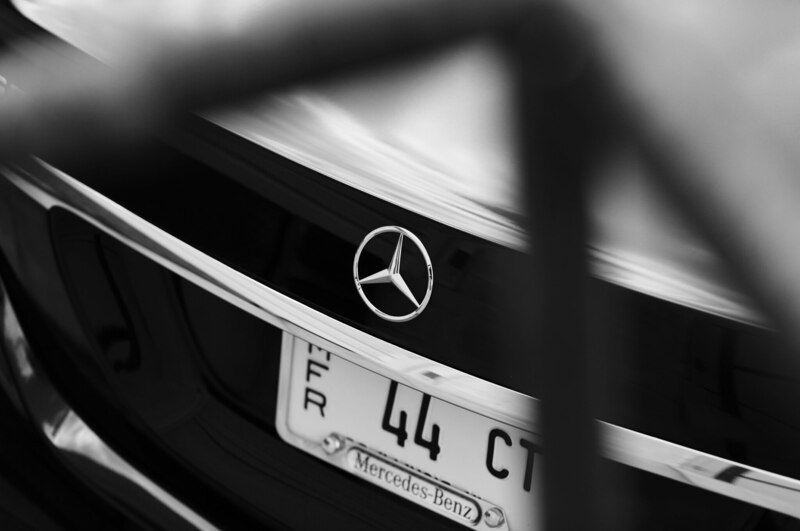 The restaurant scene definitely benefits from the city’s diversity — whatever you’re in the mood for, Toronto has it. 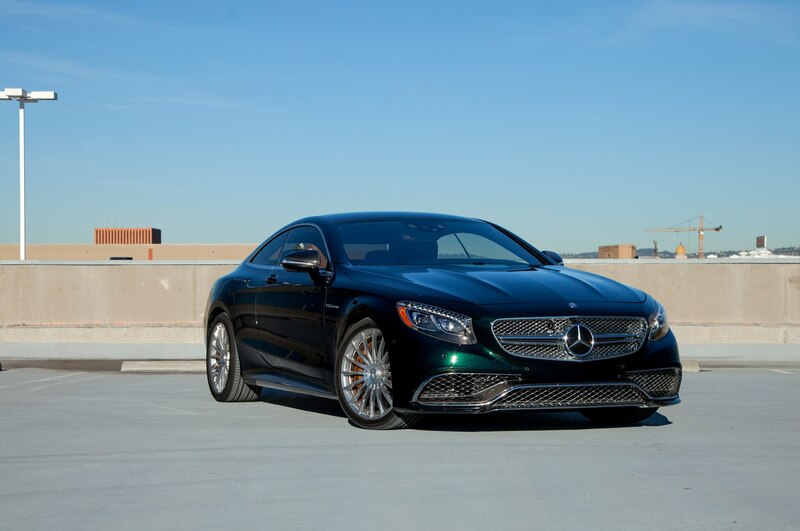 Origin offers a modern take on traditional Indian fare. 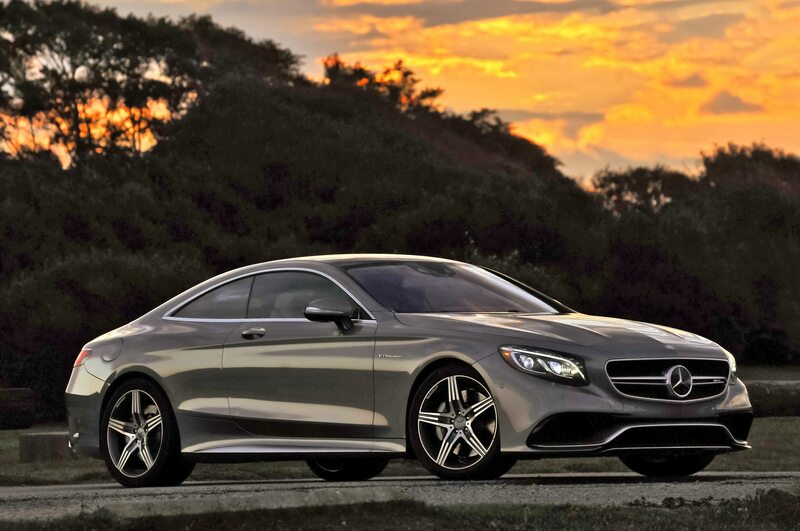 Or you can forget all that and enjoy pub food and drinks until 2 a.m.